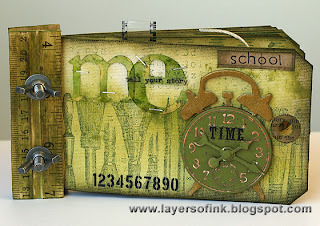 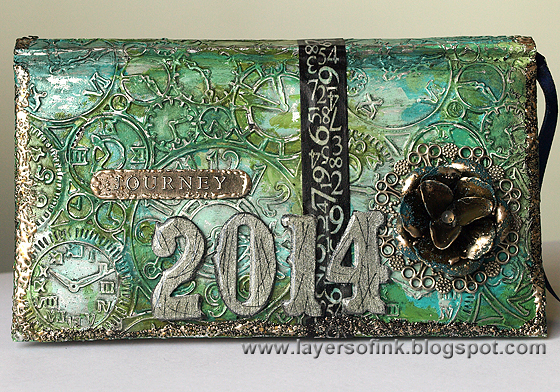 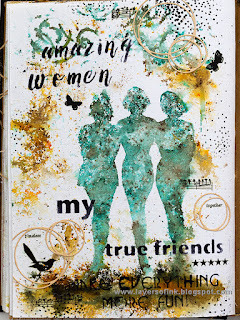 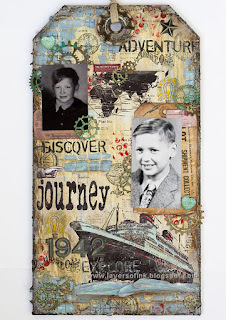 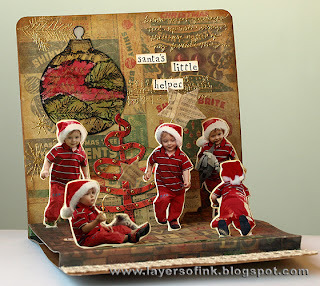 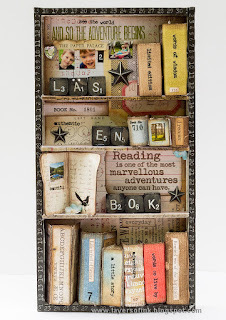 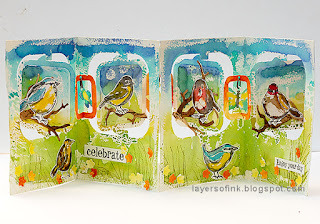 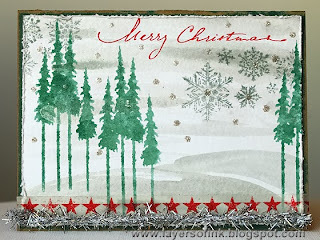 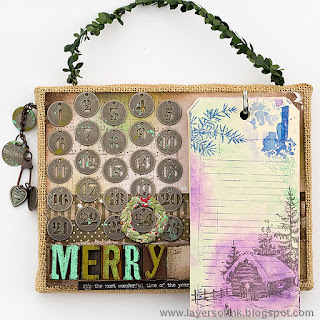 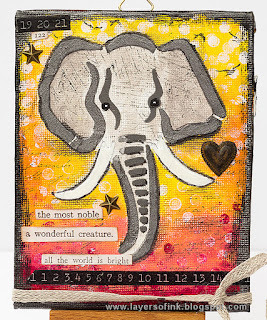 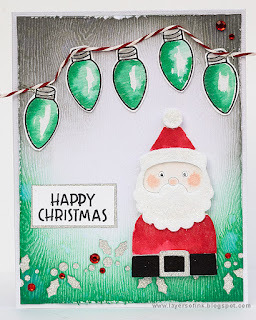 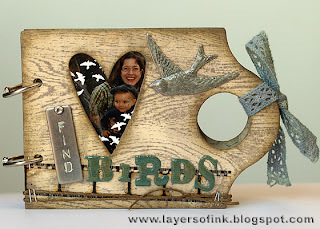 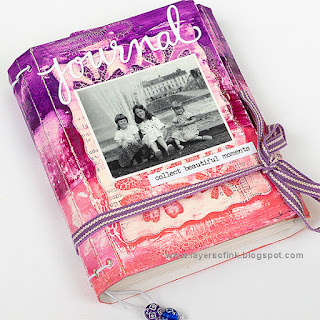 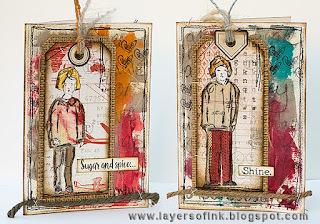 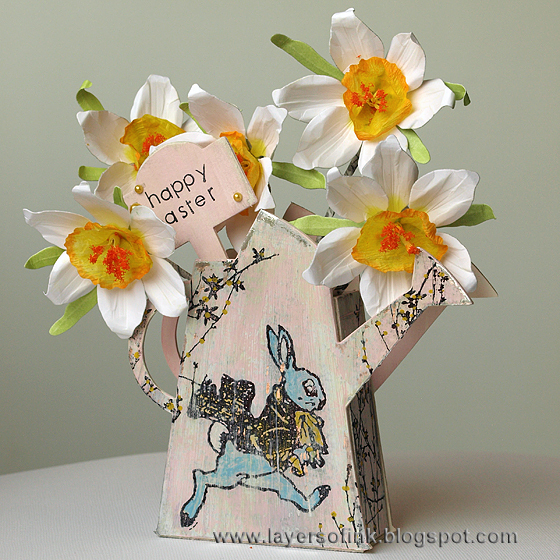 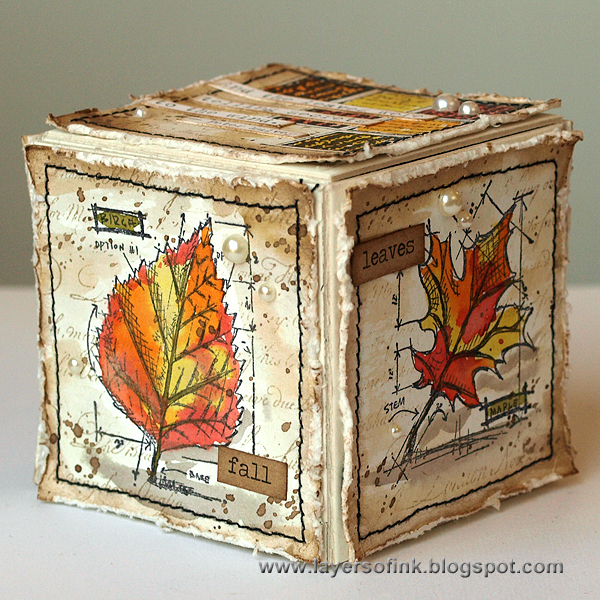 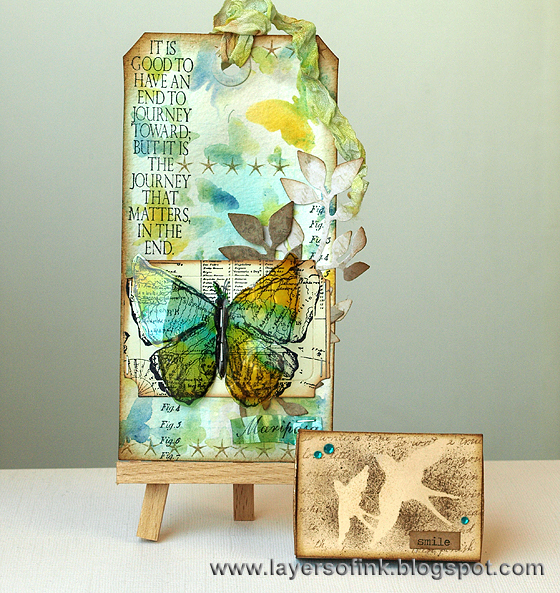 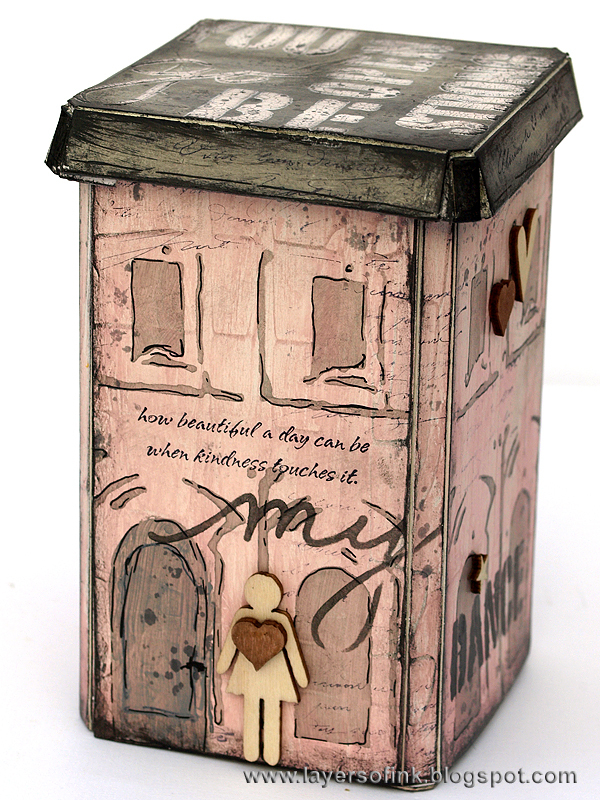 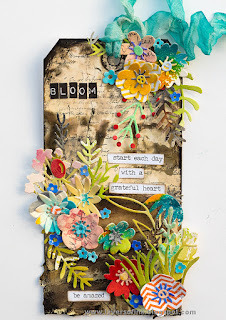 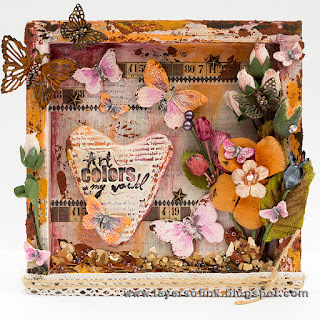 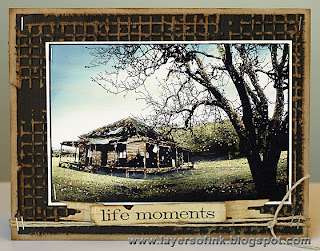 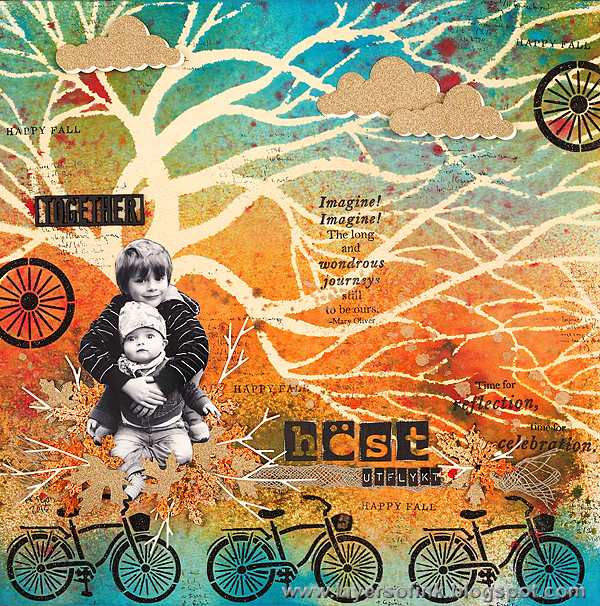 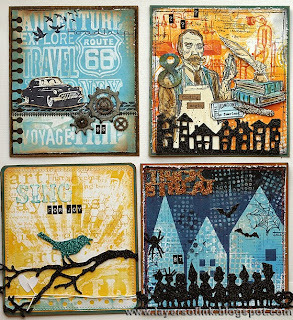 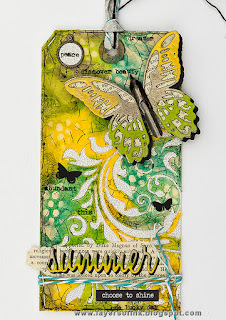 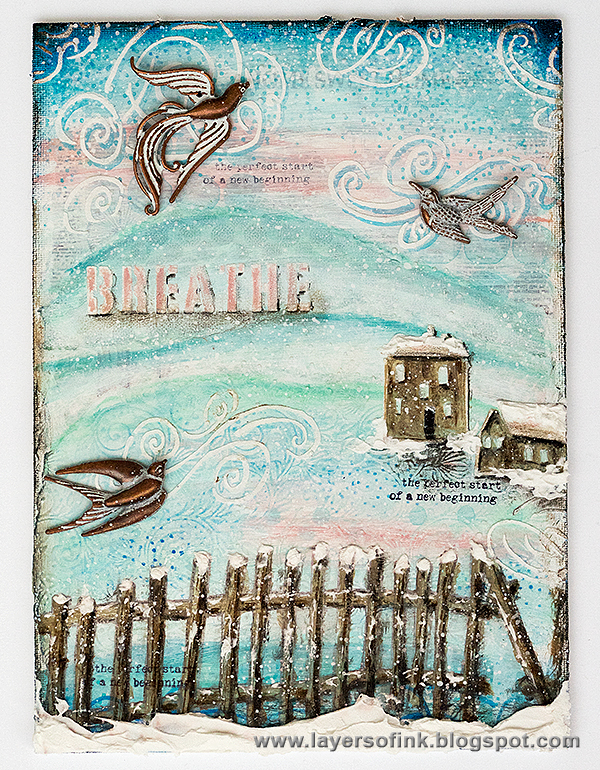 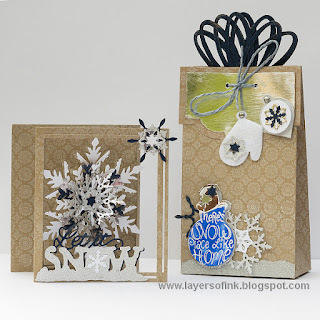 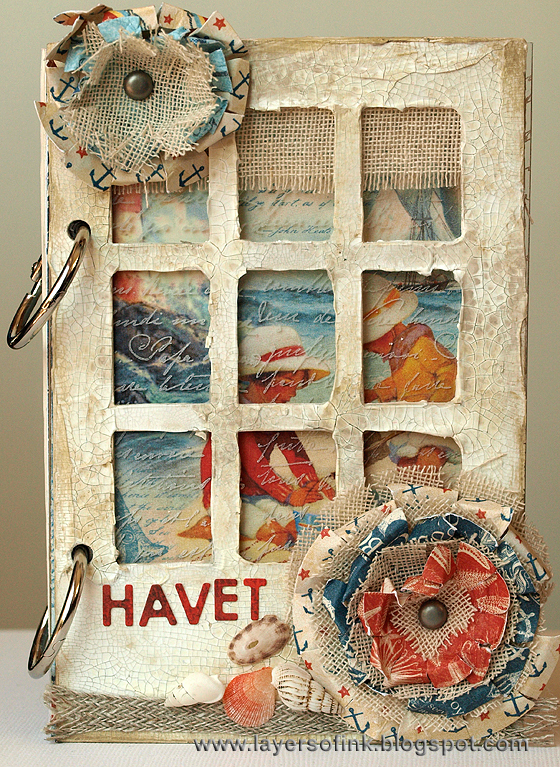 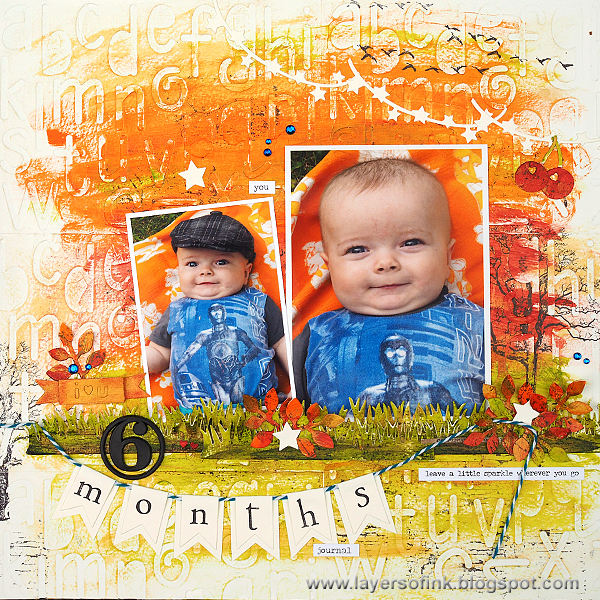 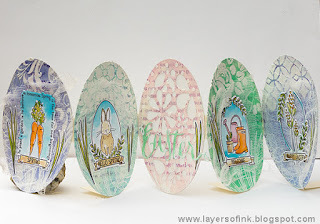 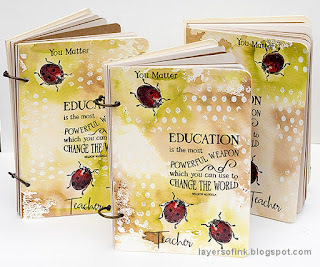 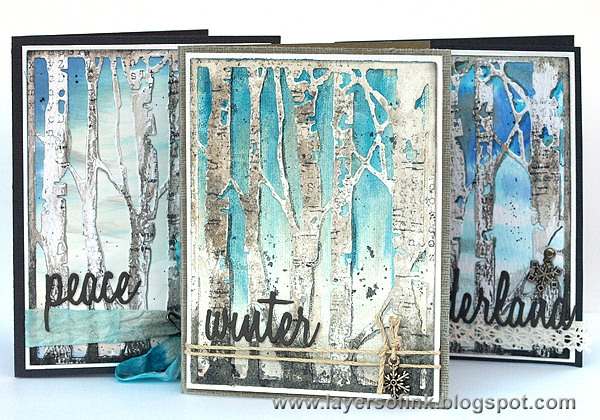 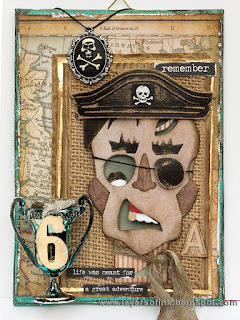 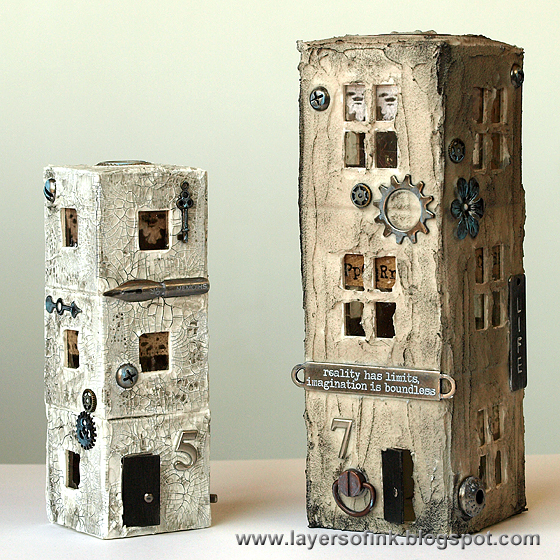 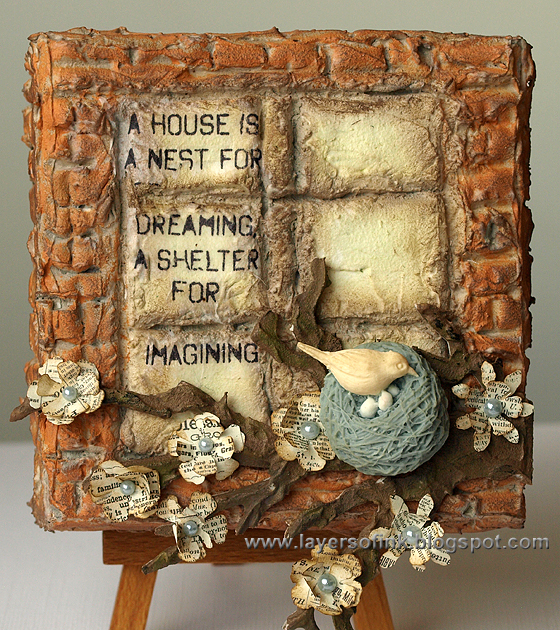 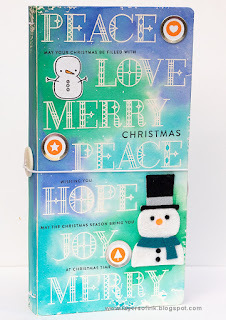 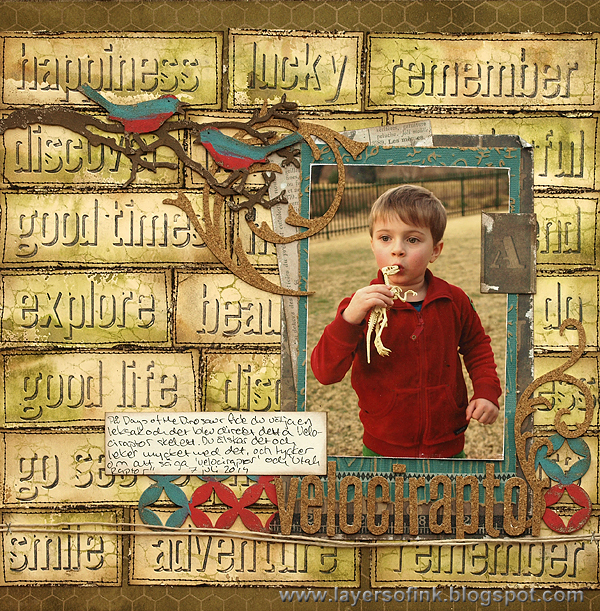 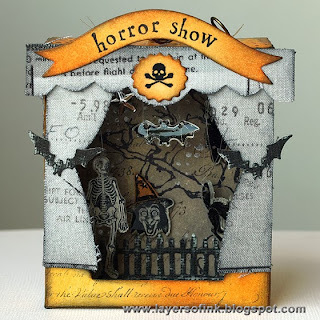 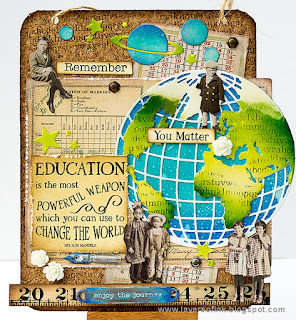 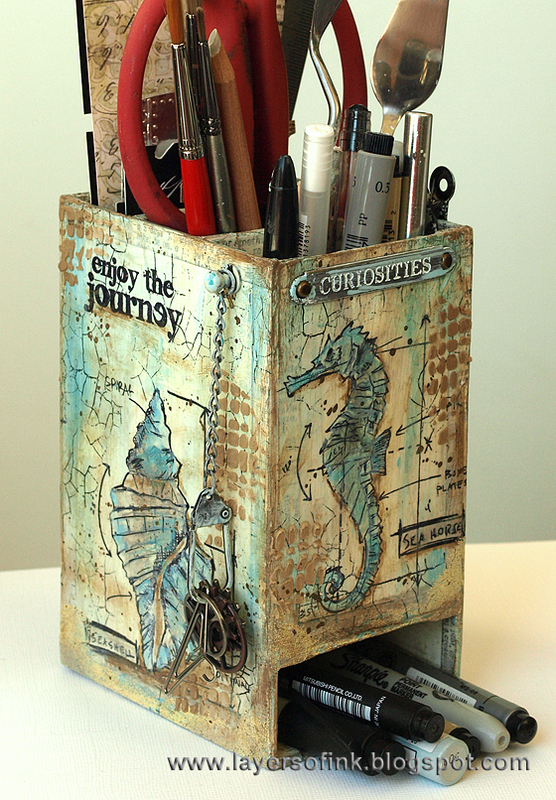 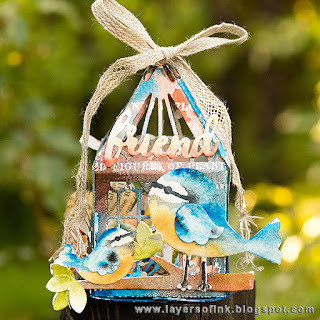 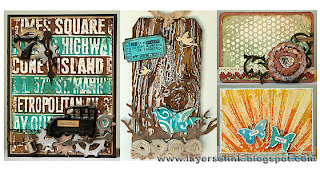 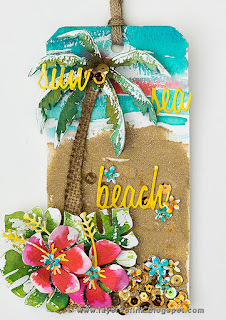 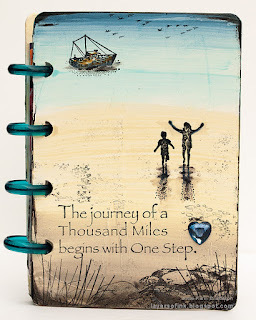 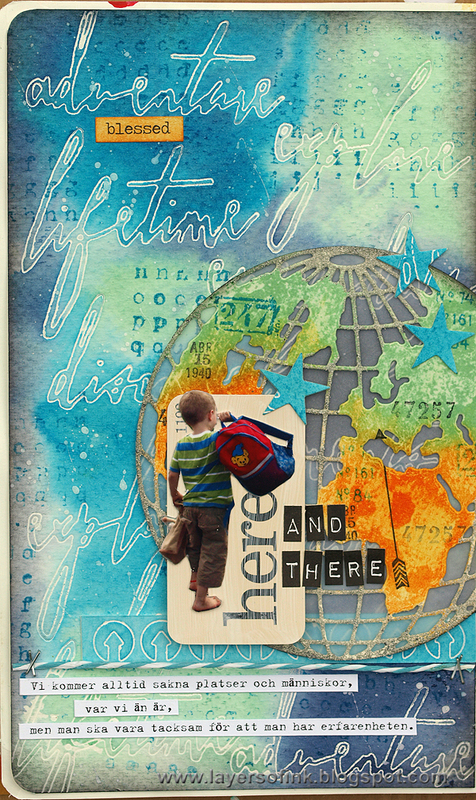 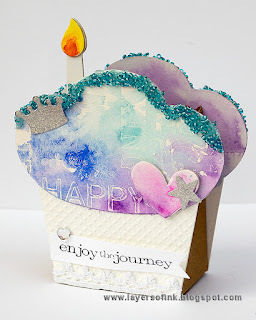 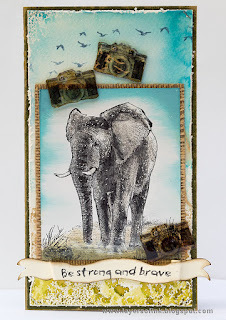 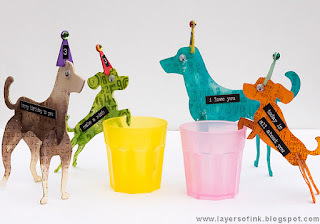 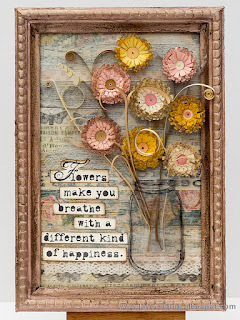 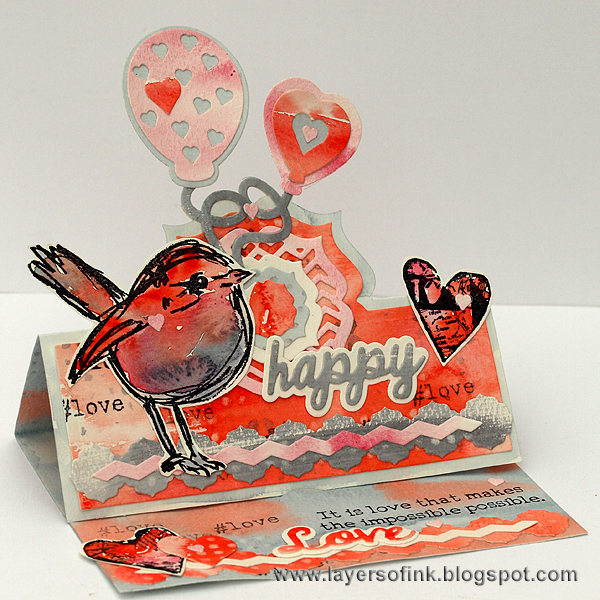 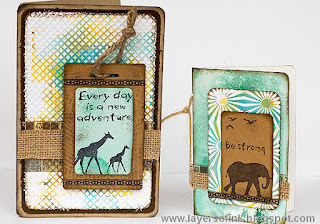 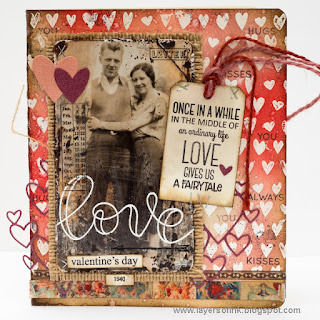 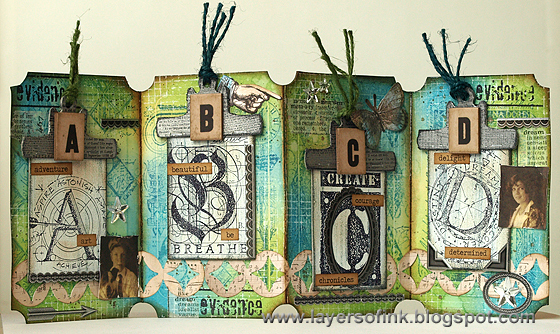 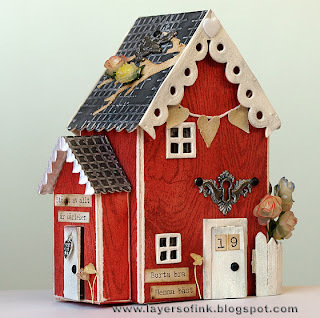 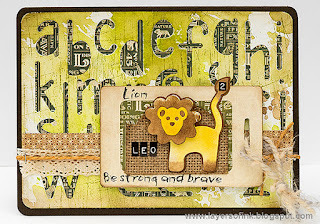 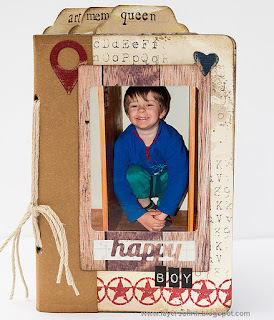 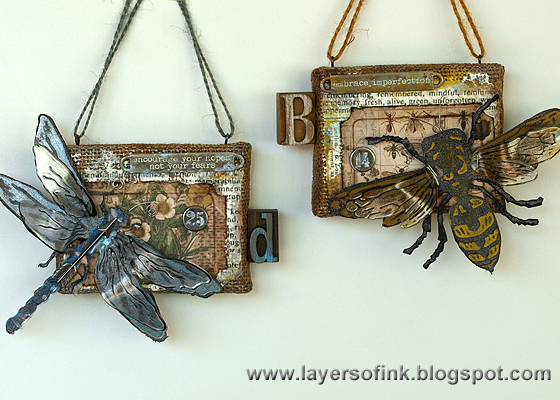 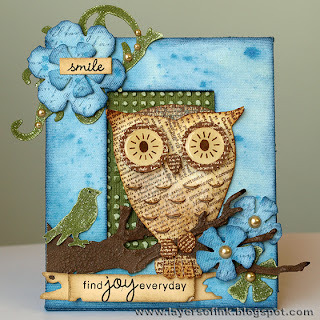 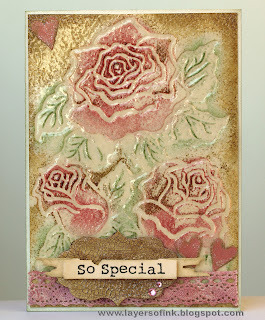 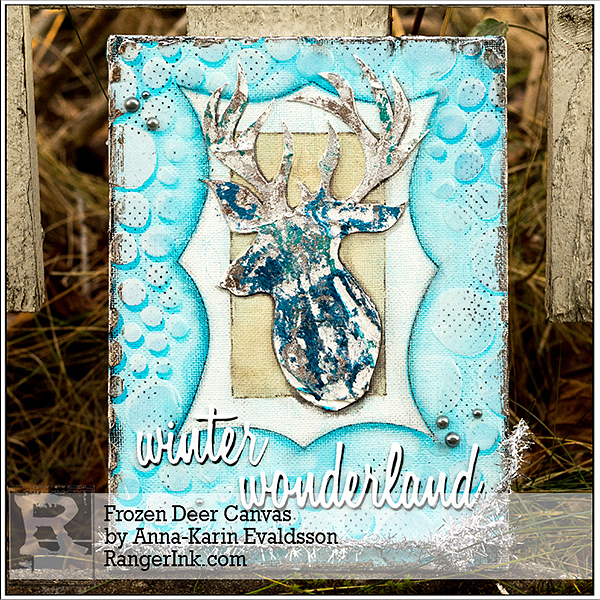 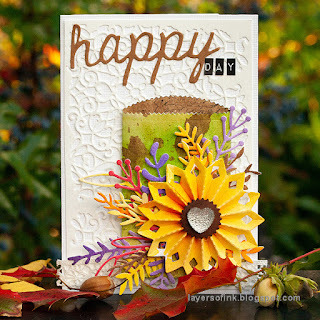 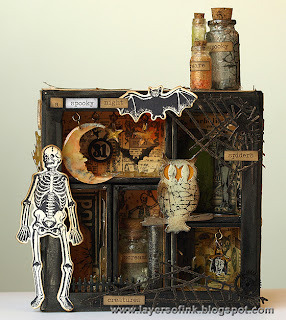 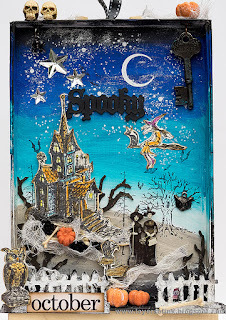 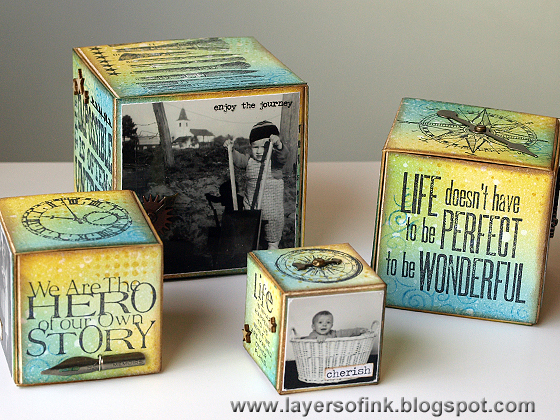 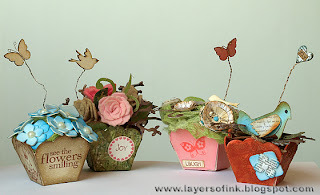 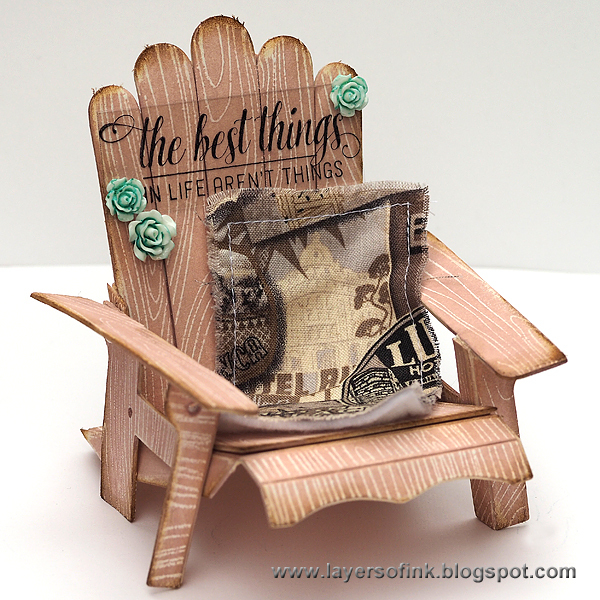 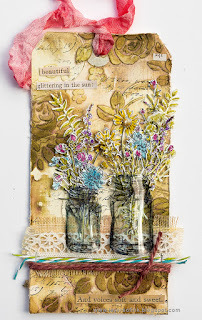 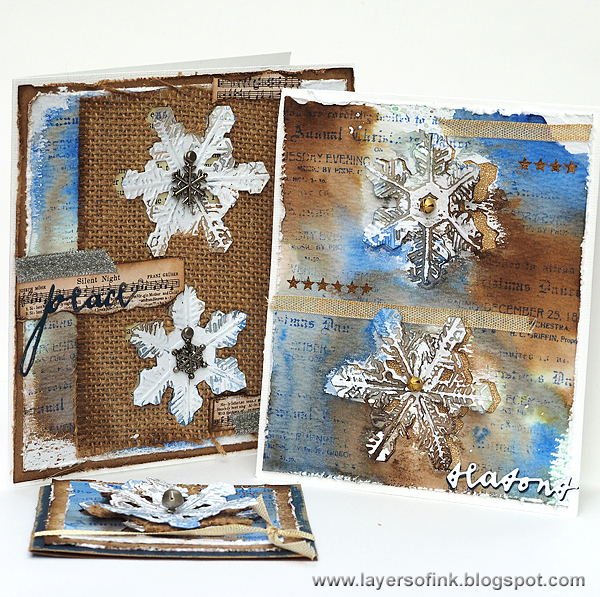 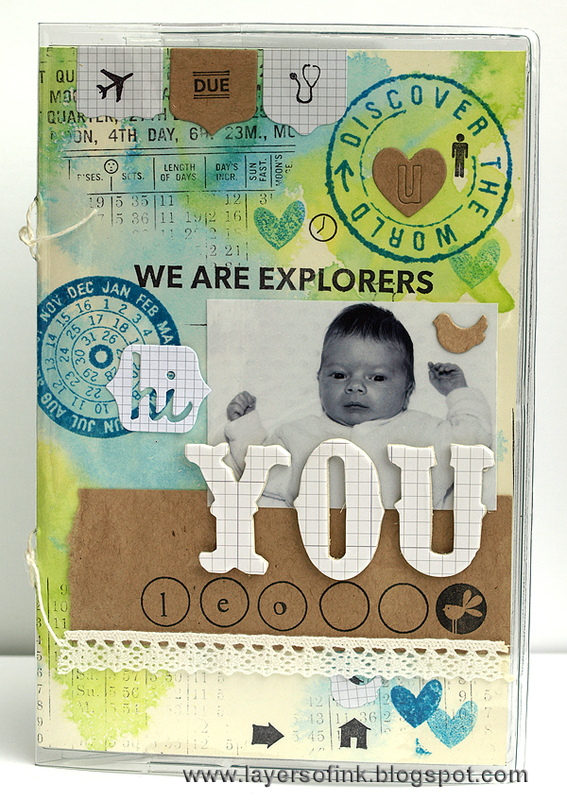 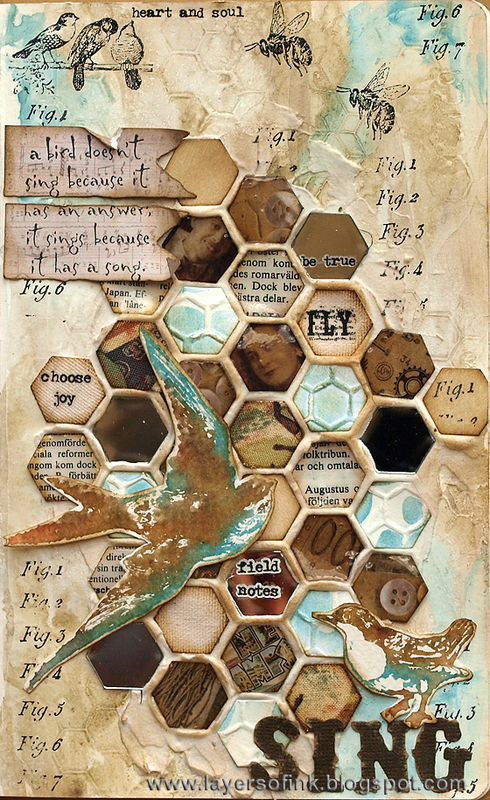 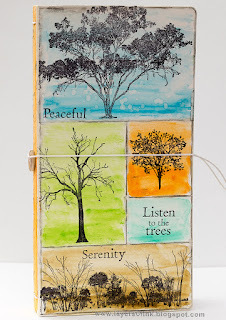 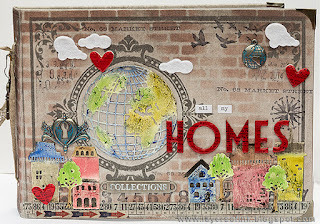 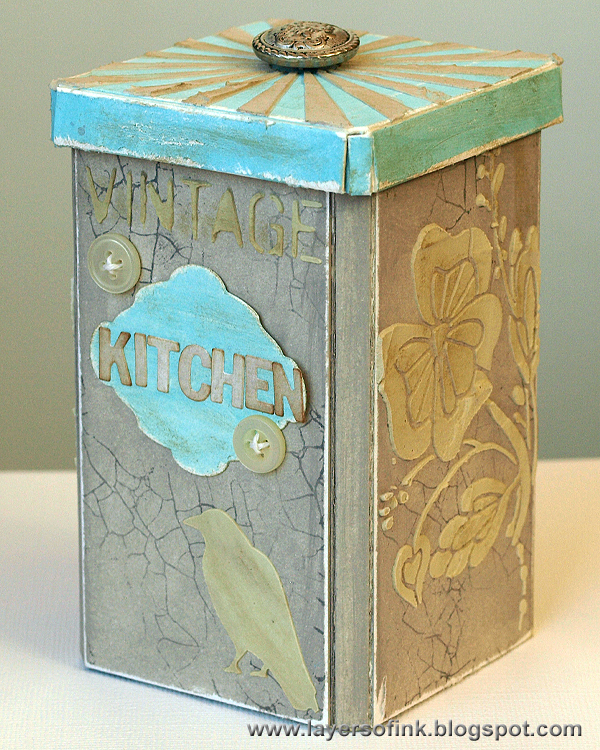 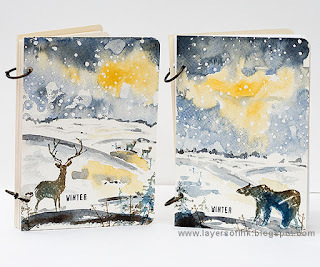 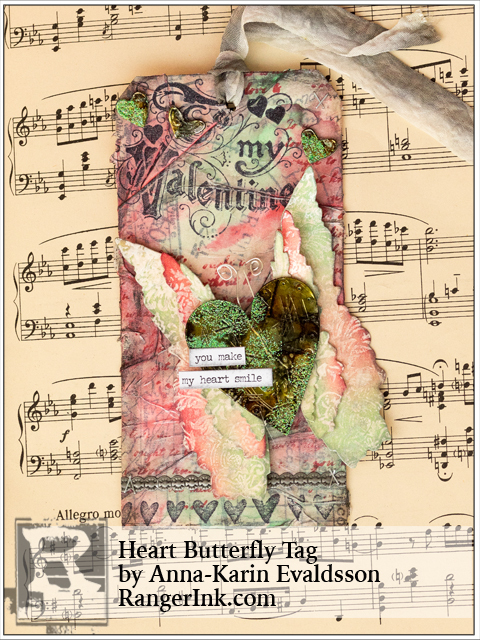 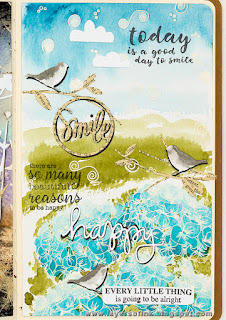 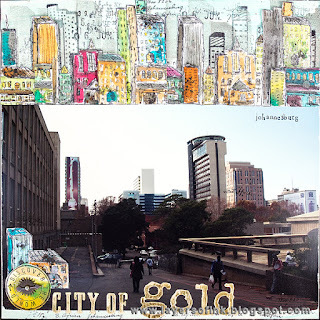 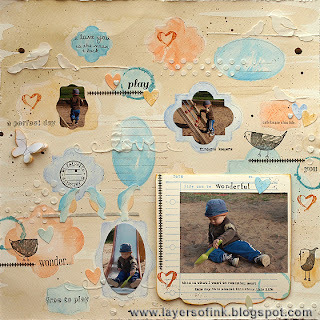 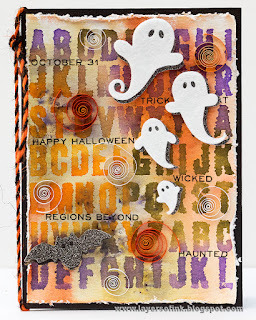 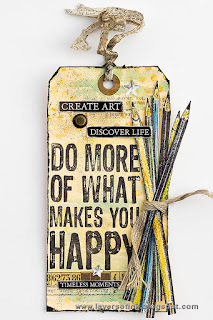 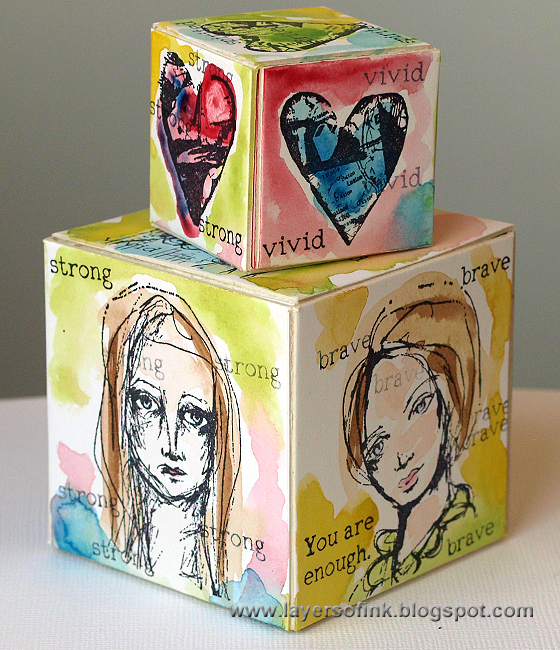 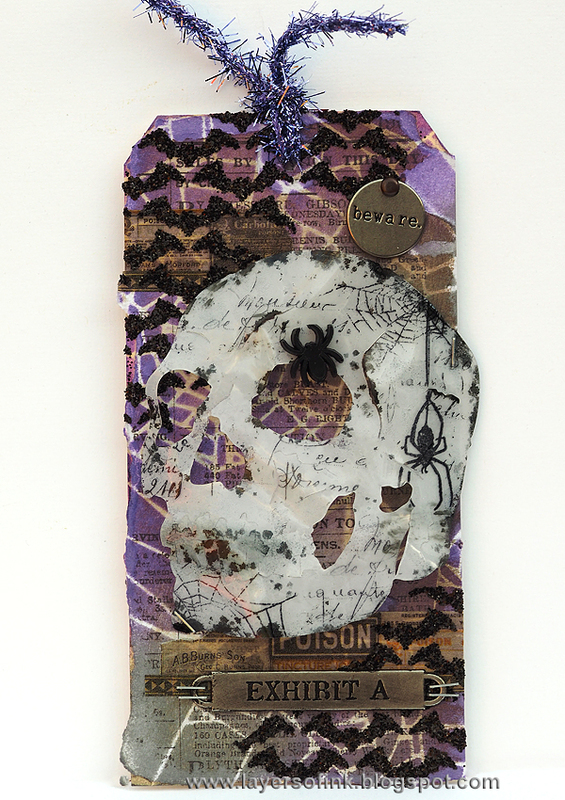 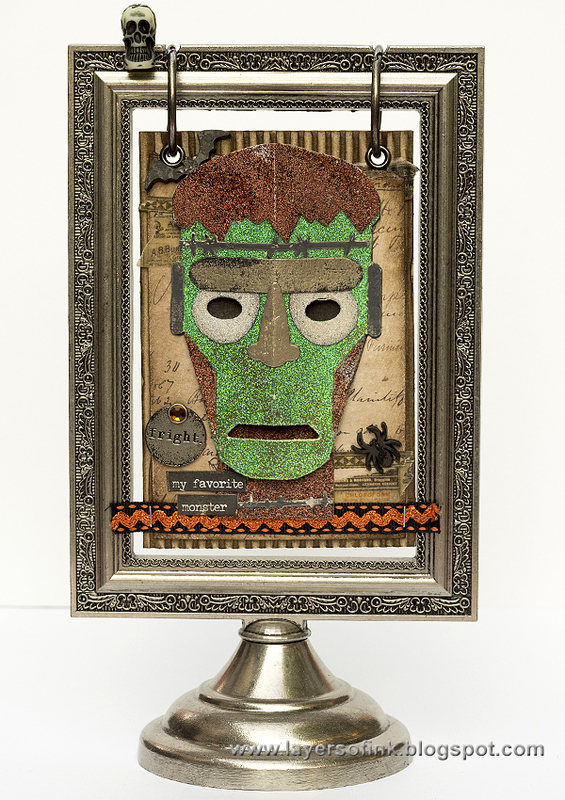 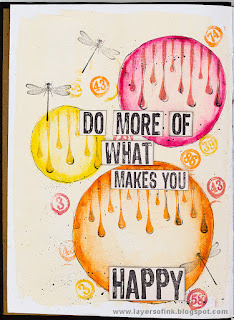 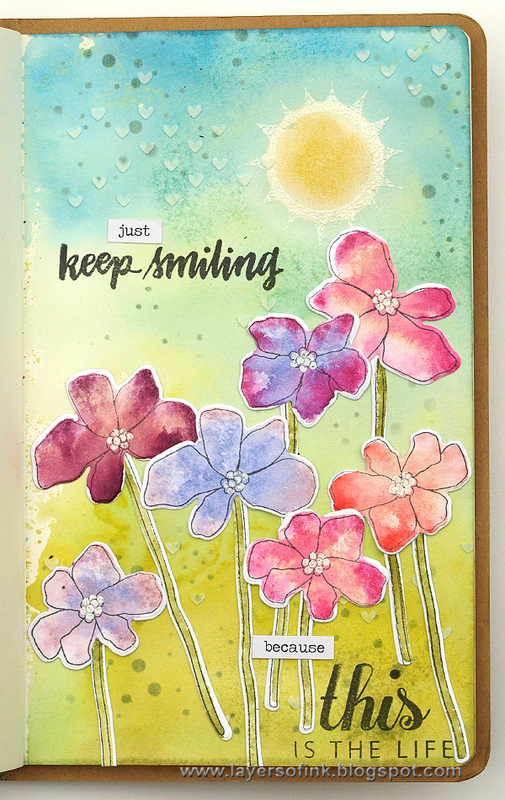 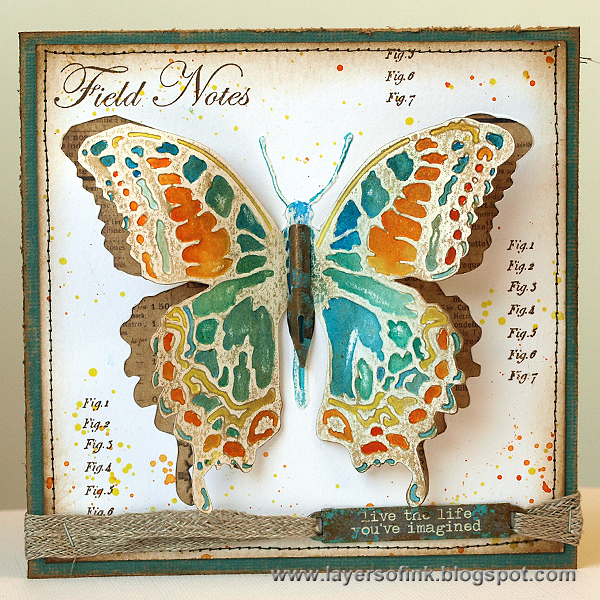 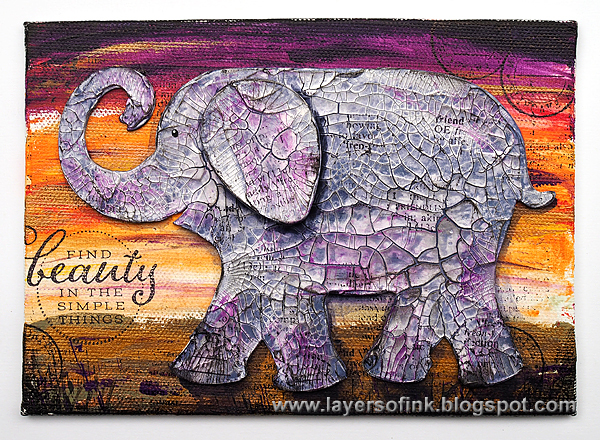 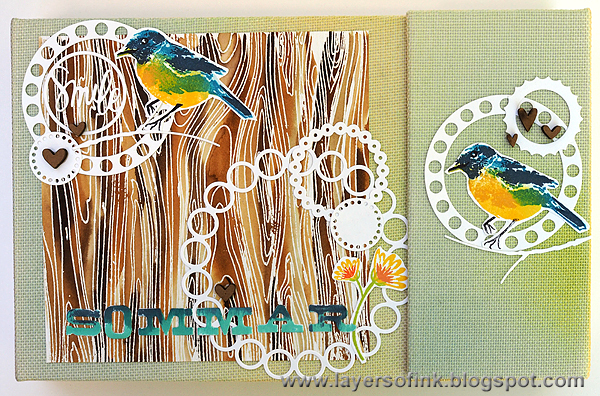 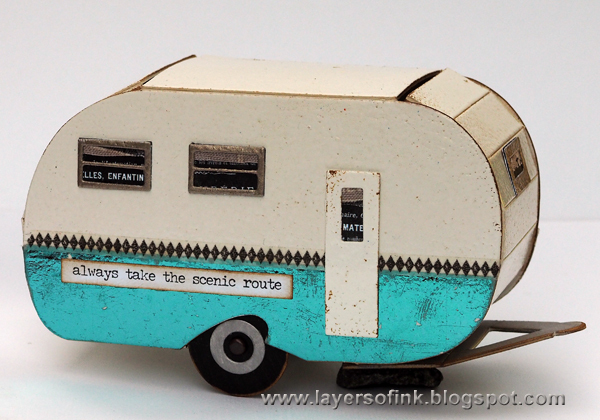 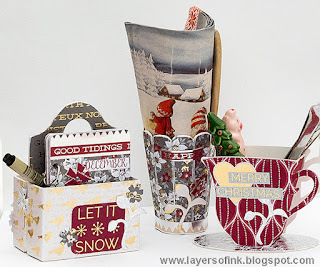 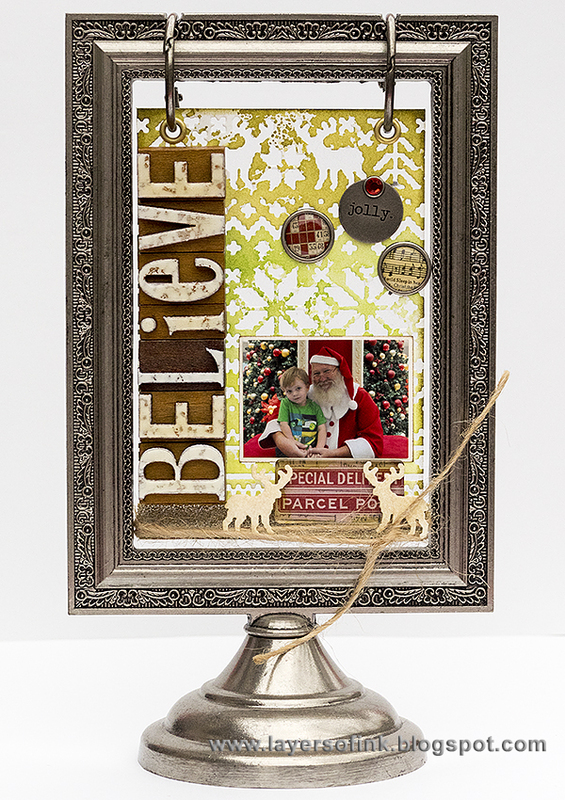 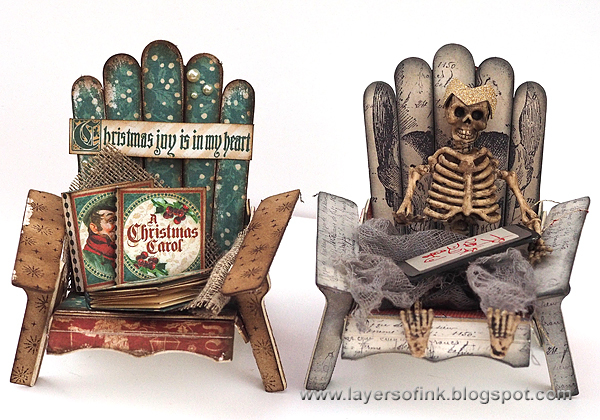 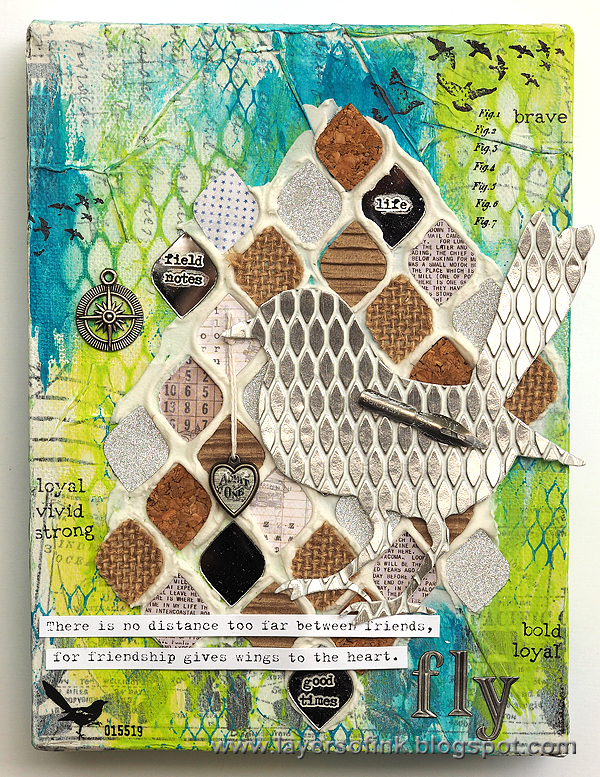 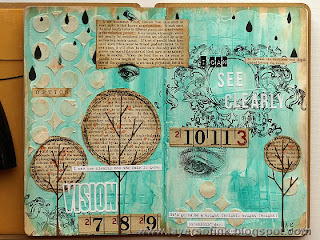 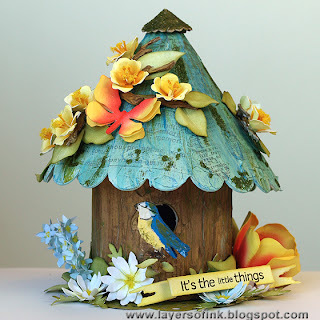 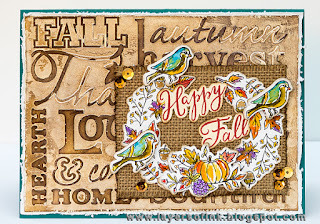 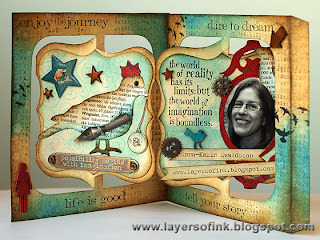 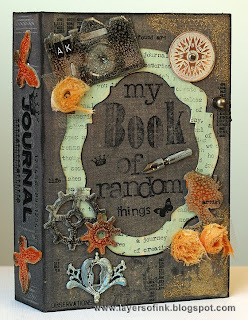 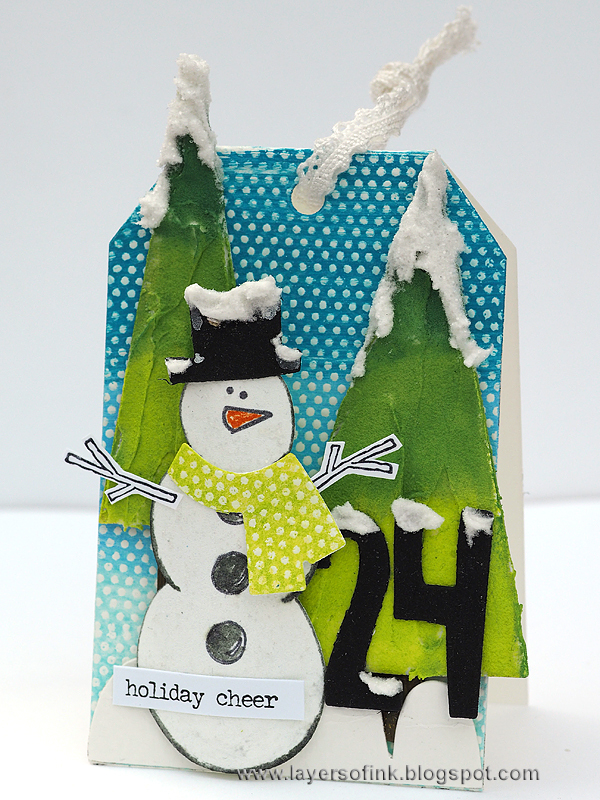 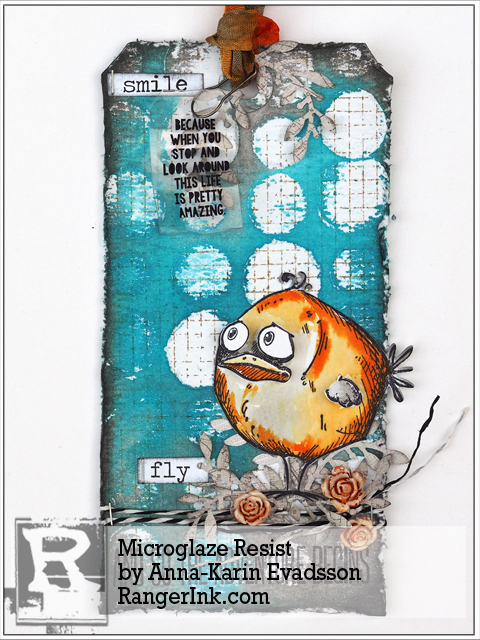 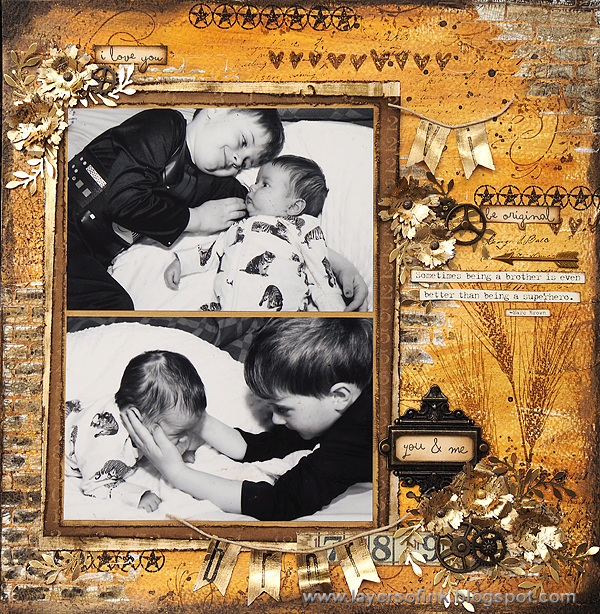 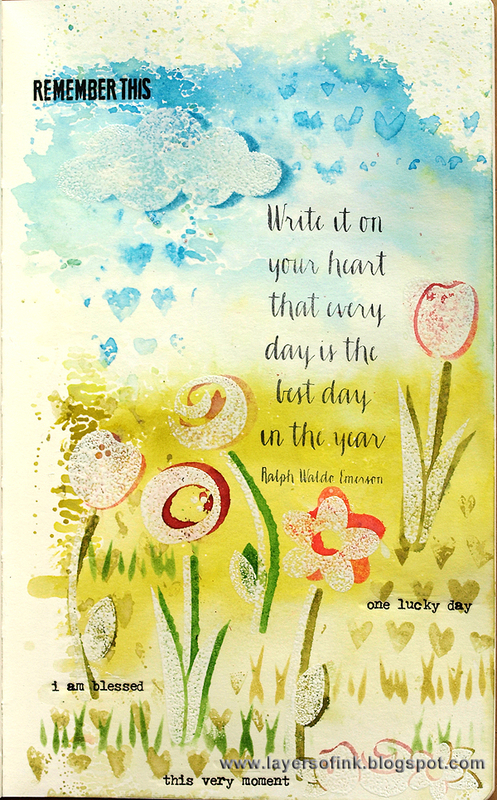 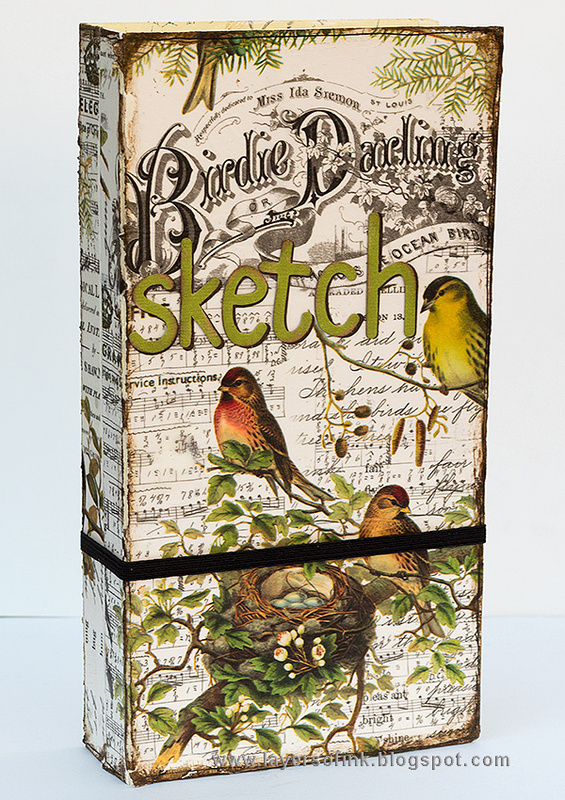 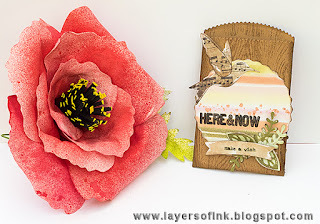 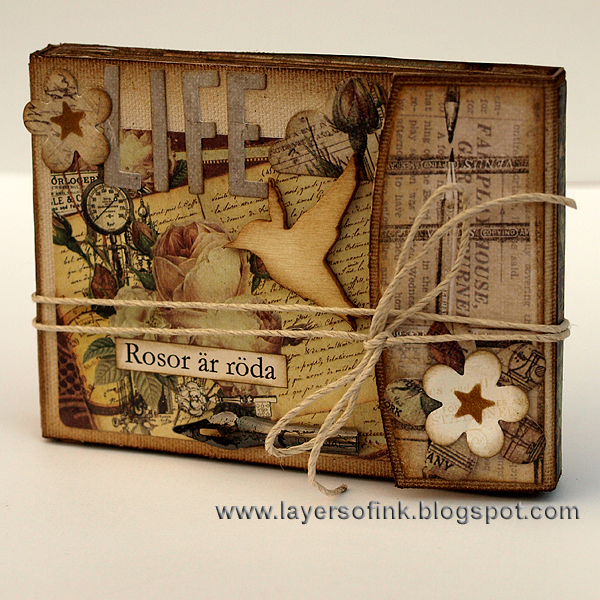 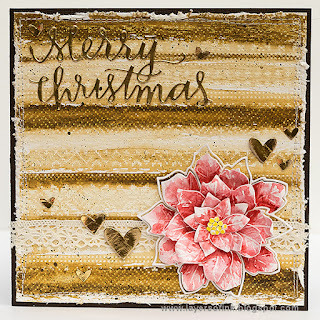 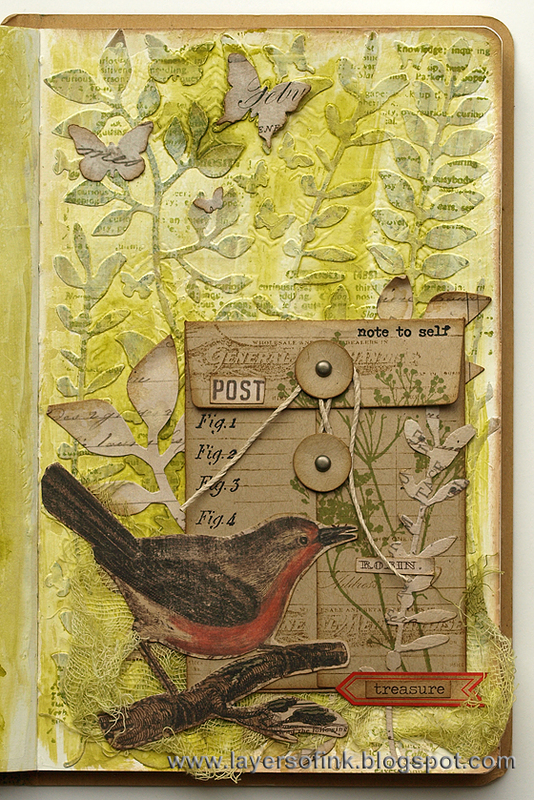 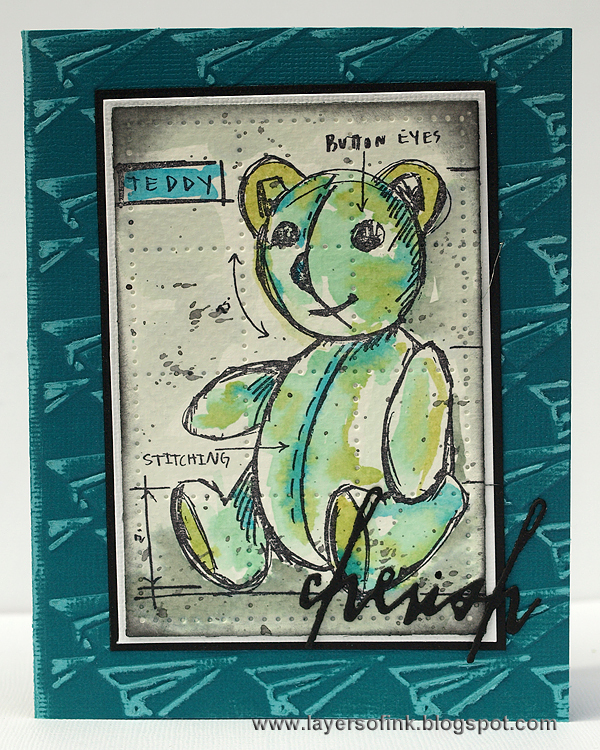 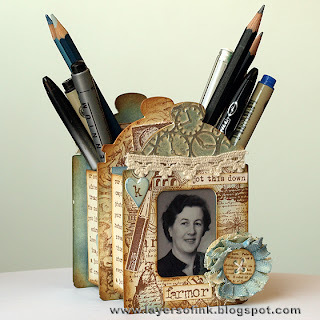 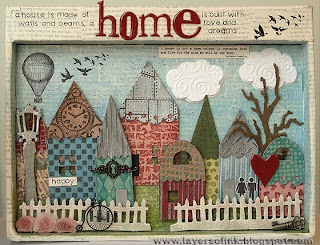 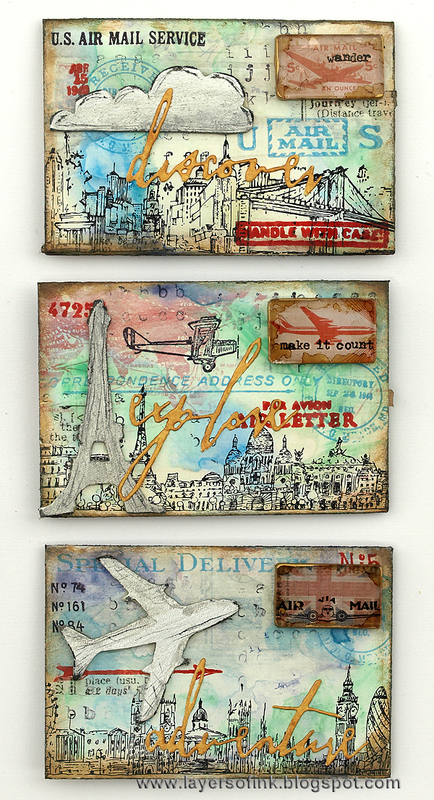 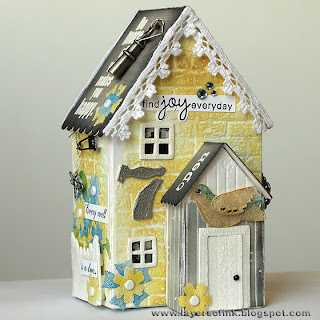 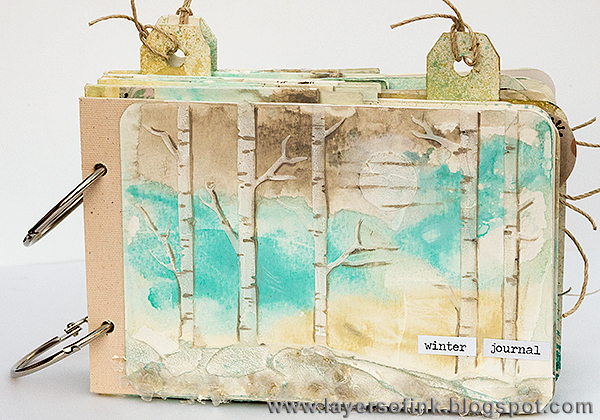 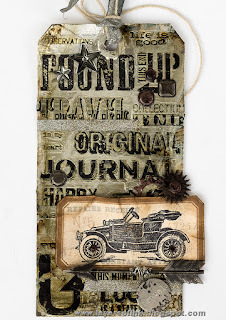 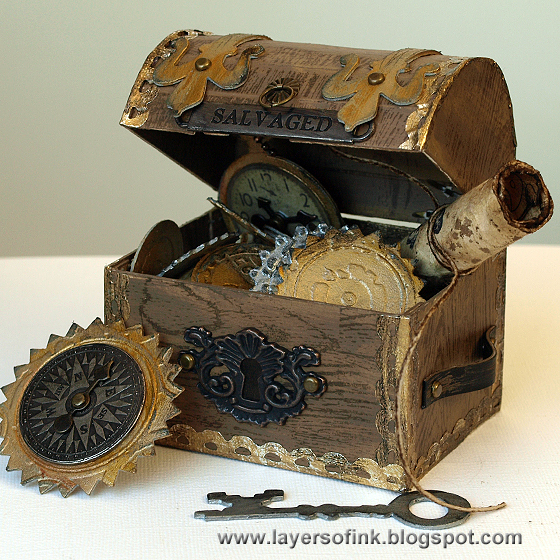 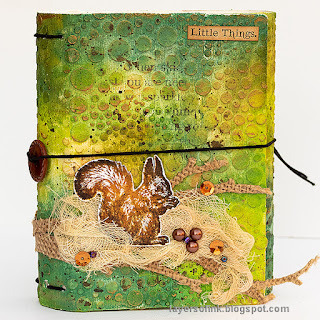 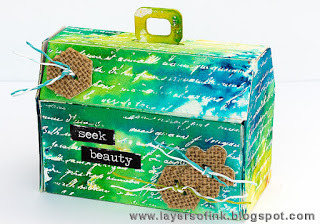 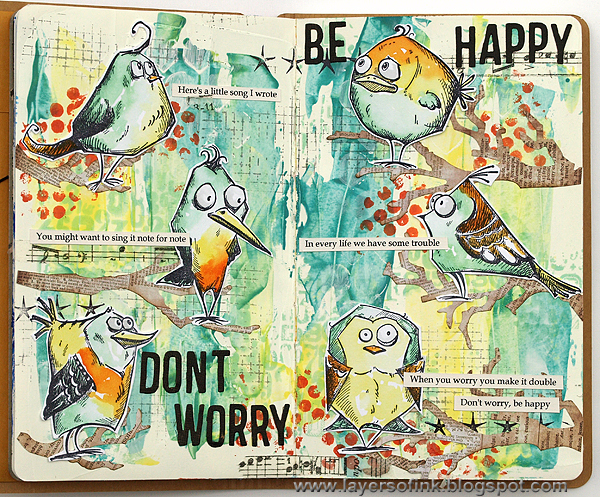 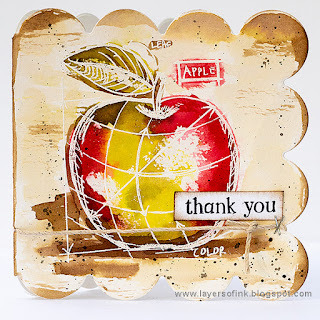 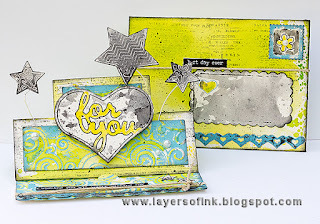 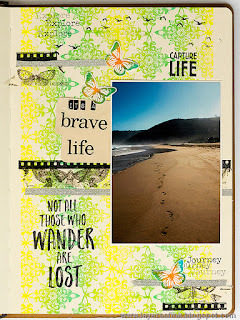 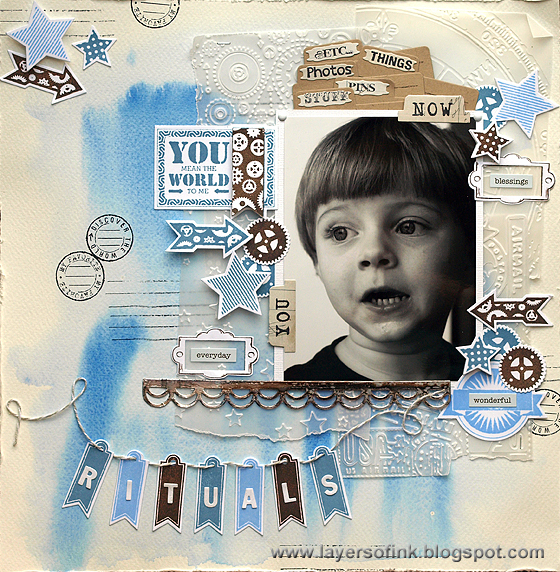 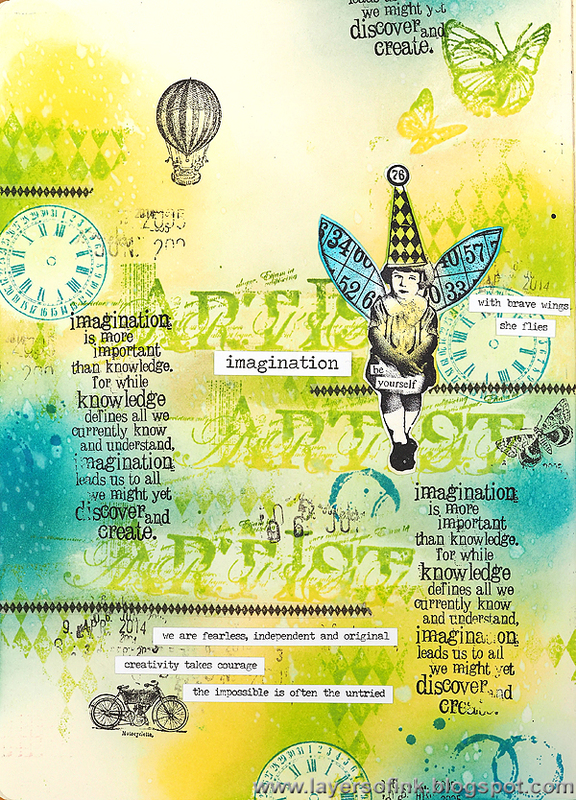 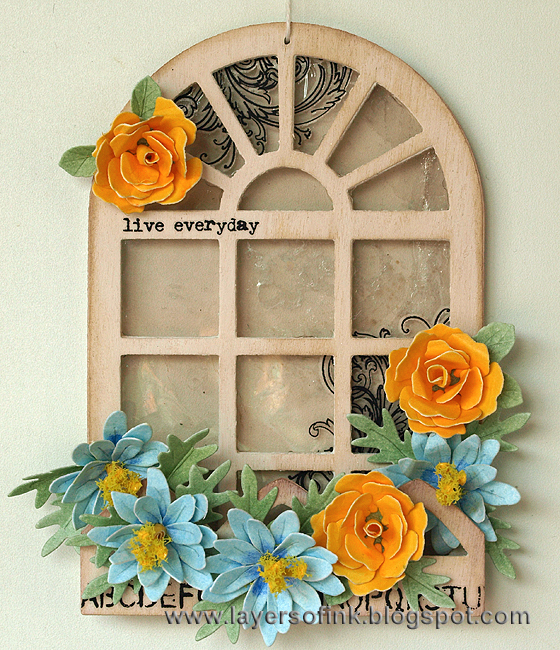 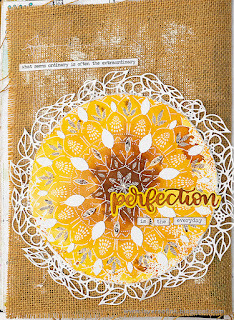 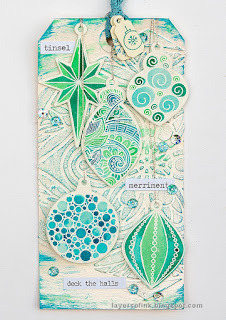 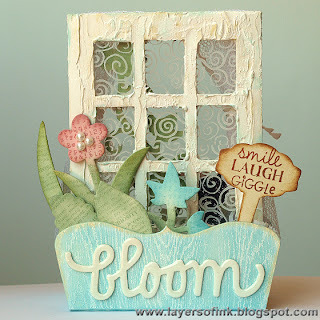 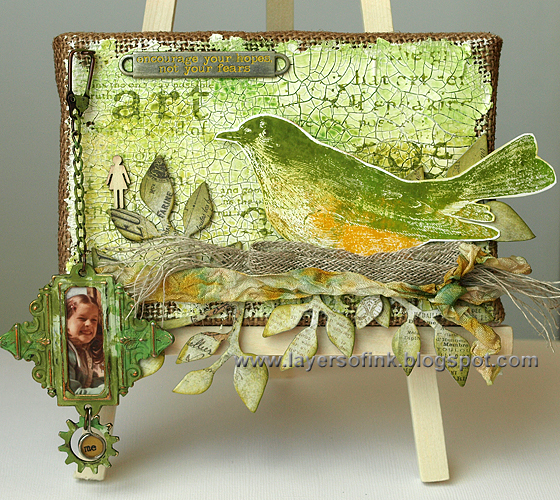 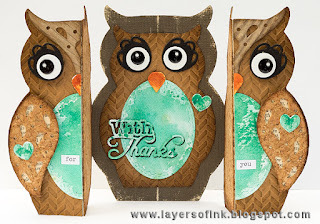 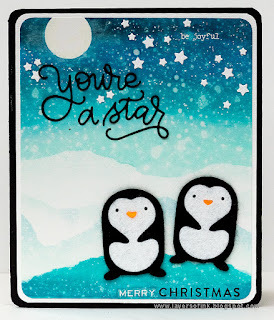 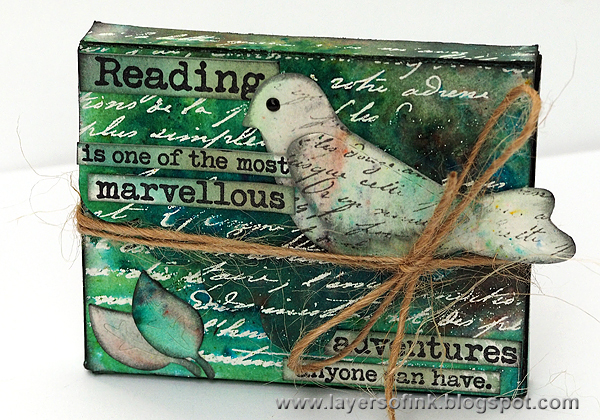 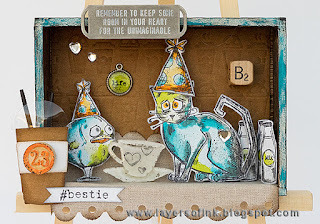 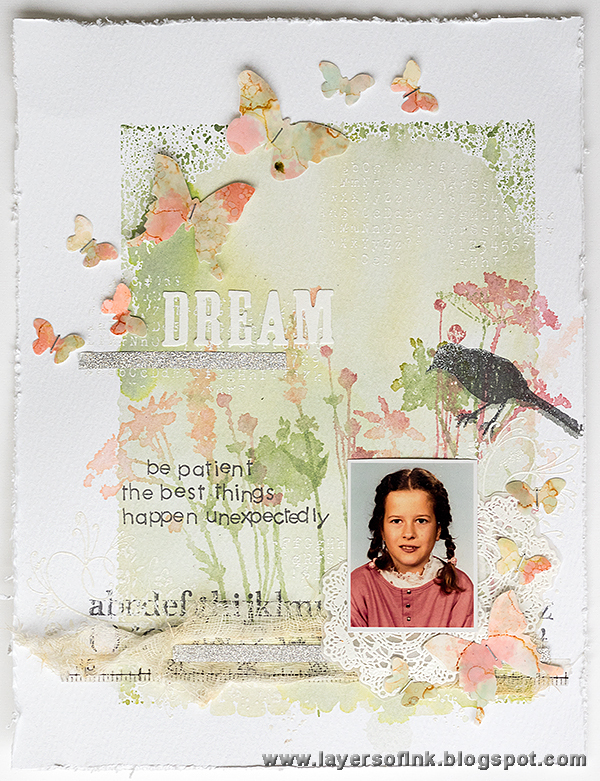 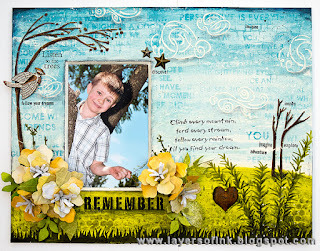 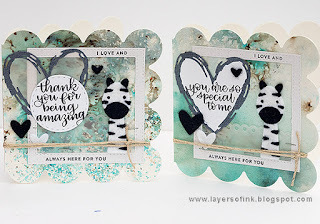 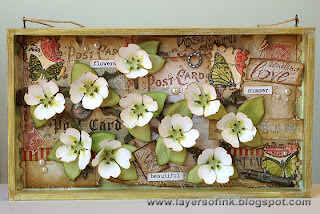 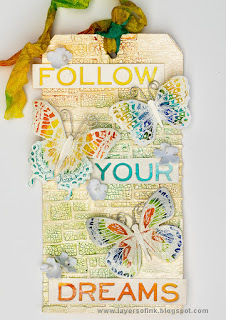 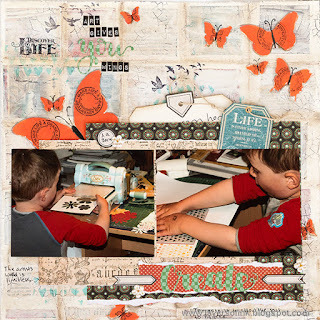 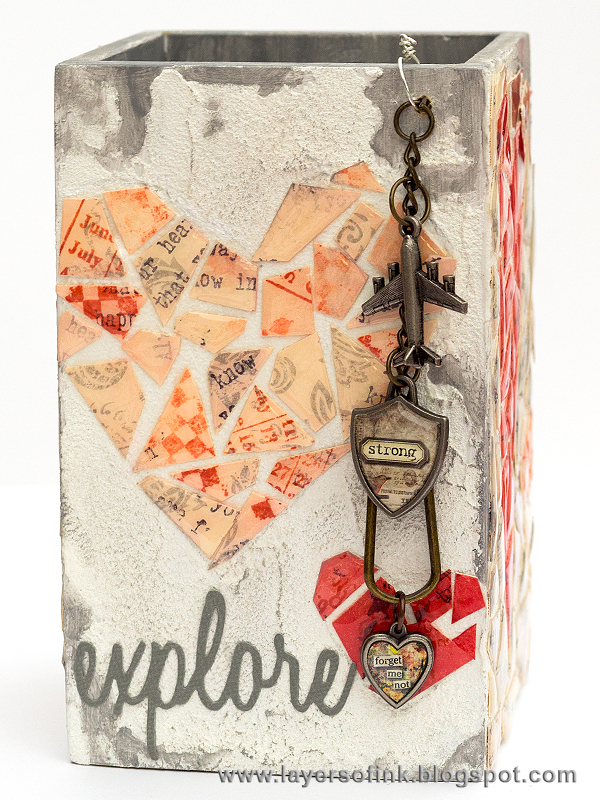 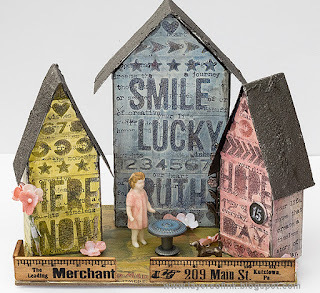 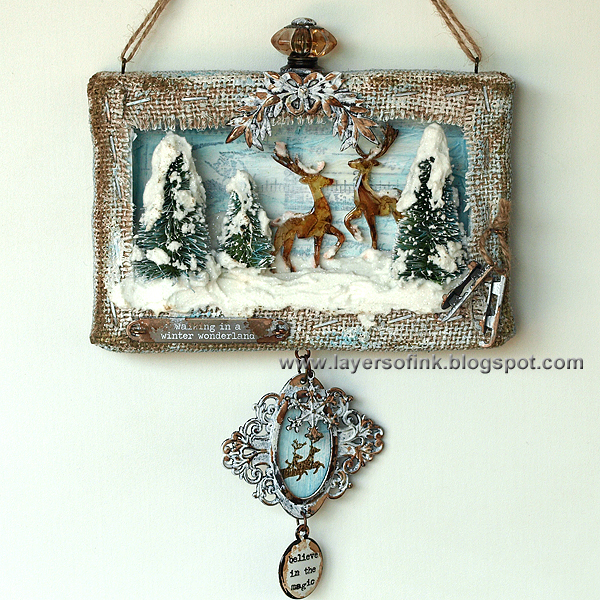 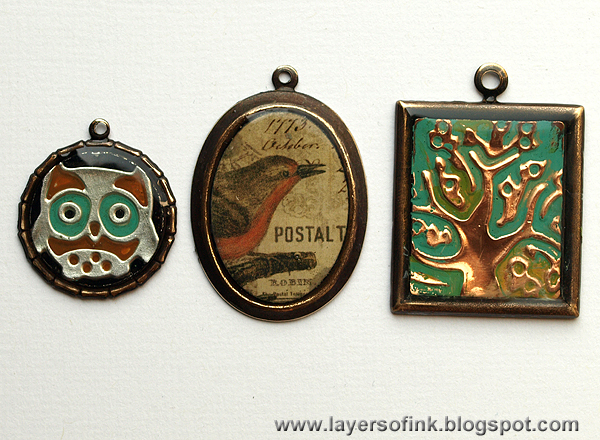 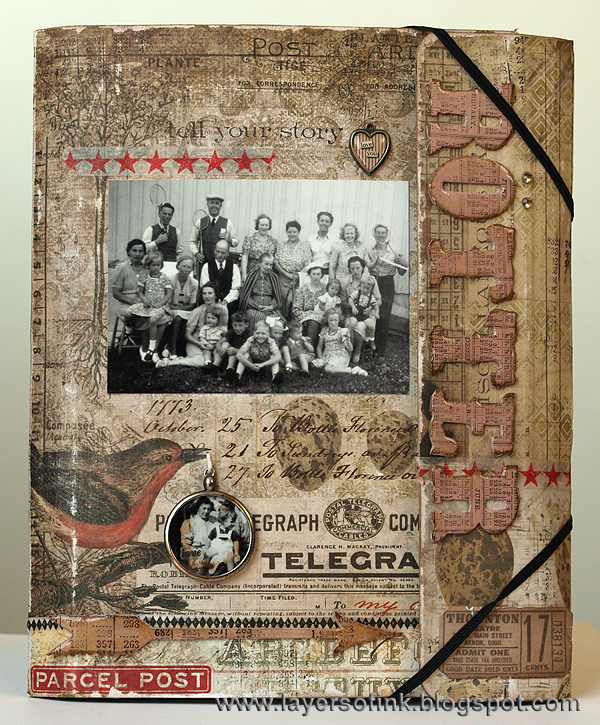 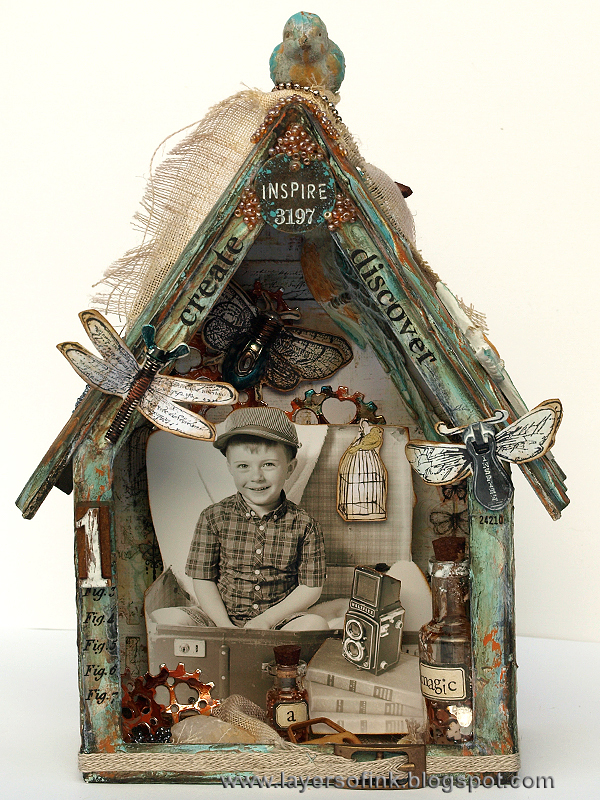 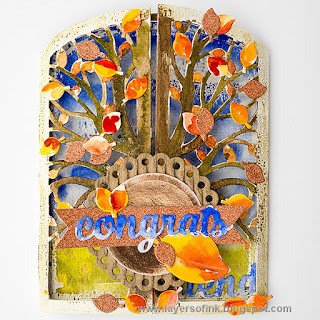 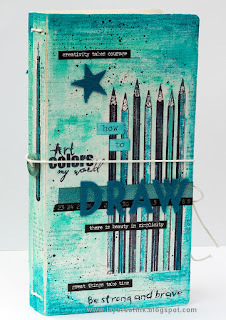 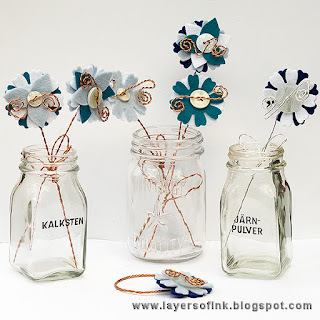 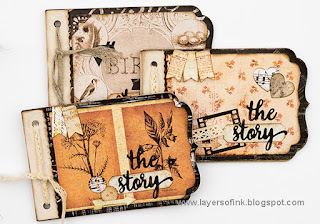 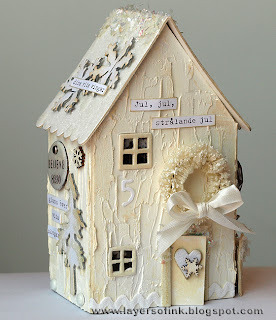 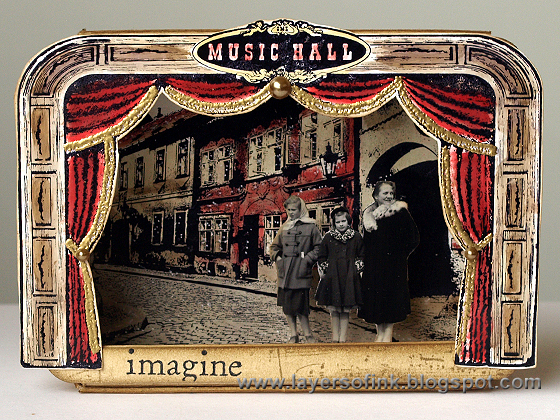 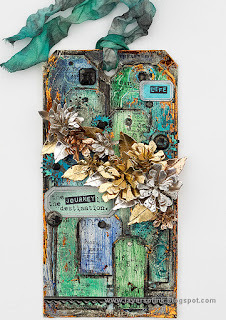 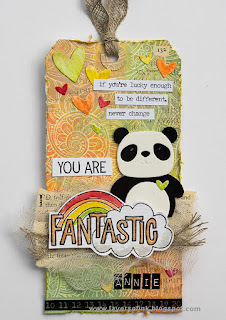 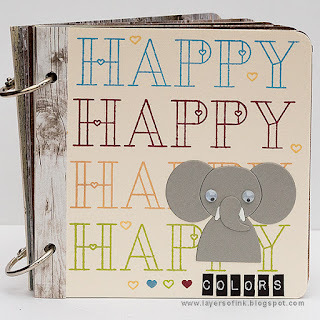 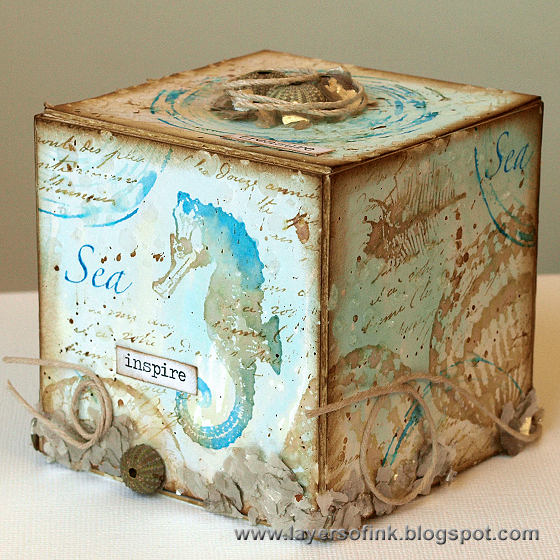 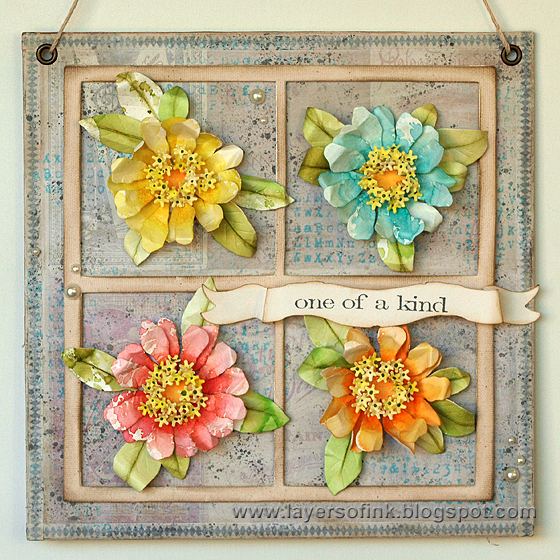 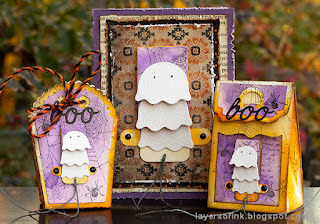 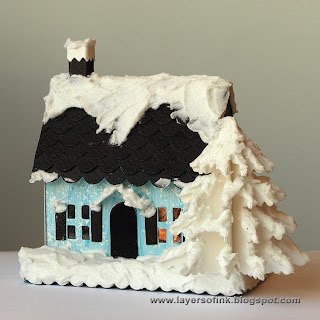 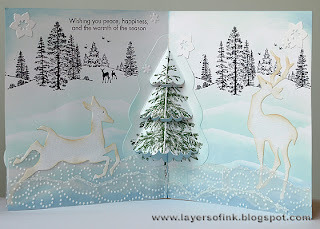 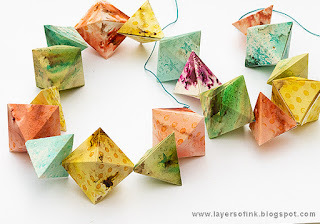 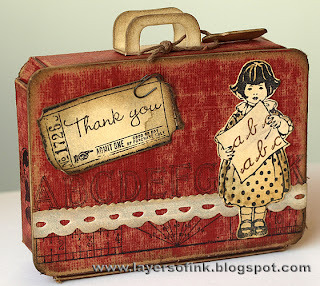 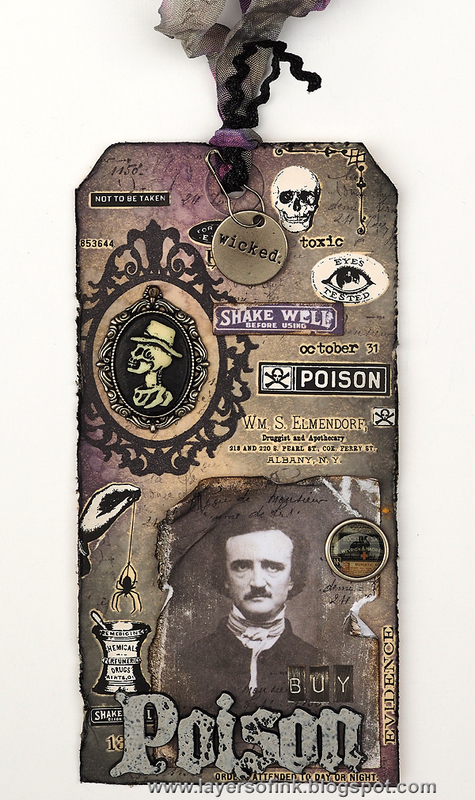 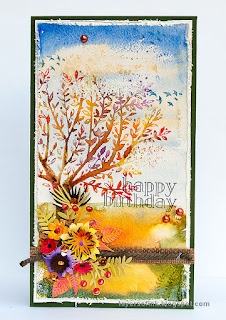 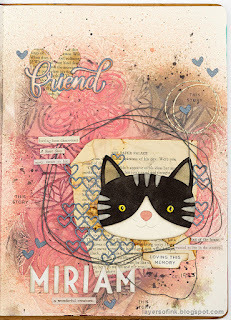 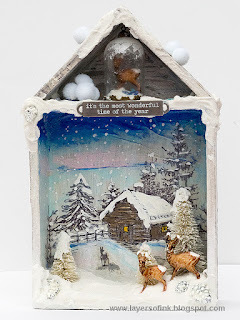 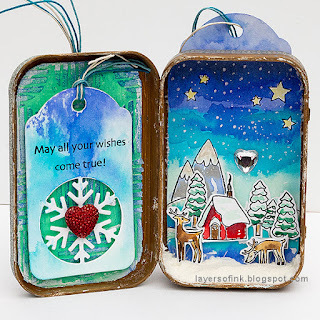 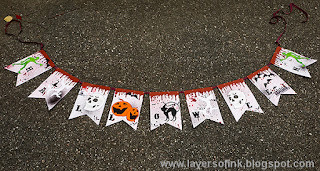 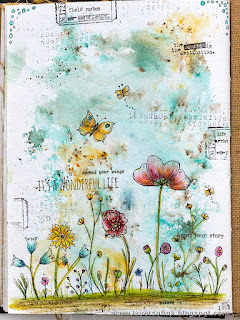 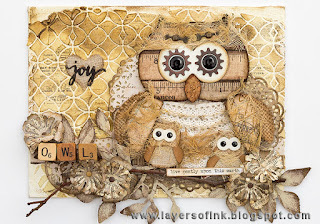 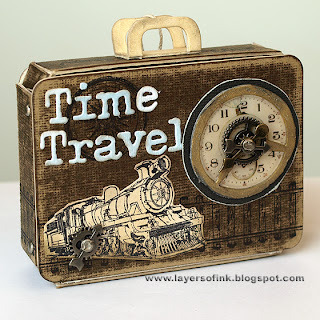 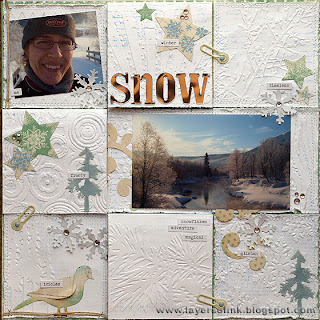 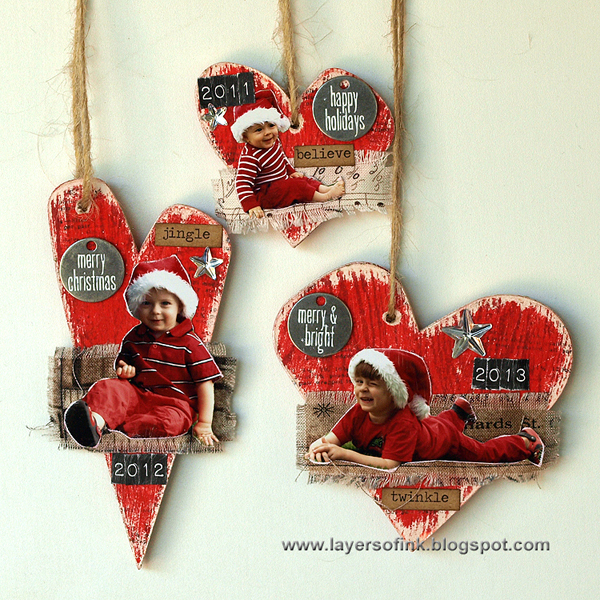 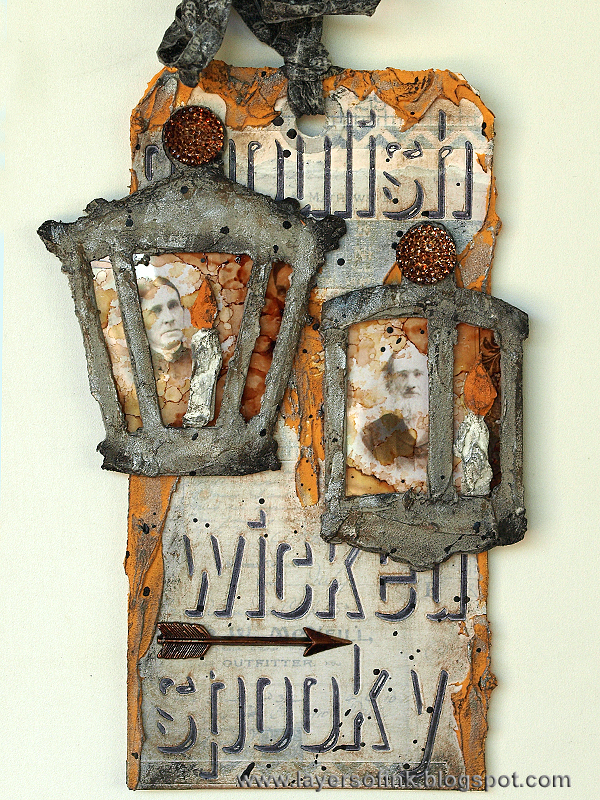 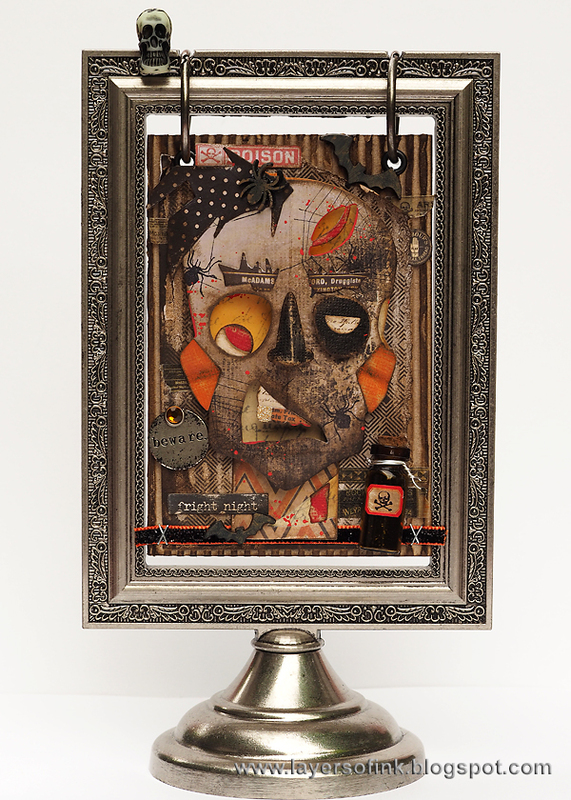 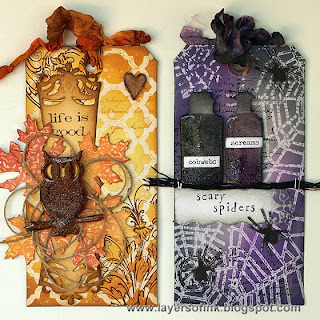 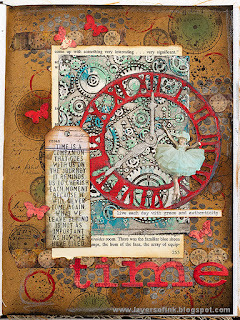 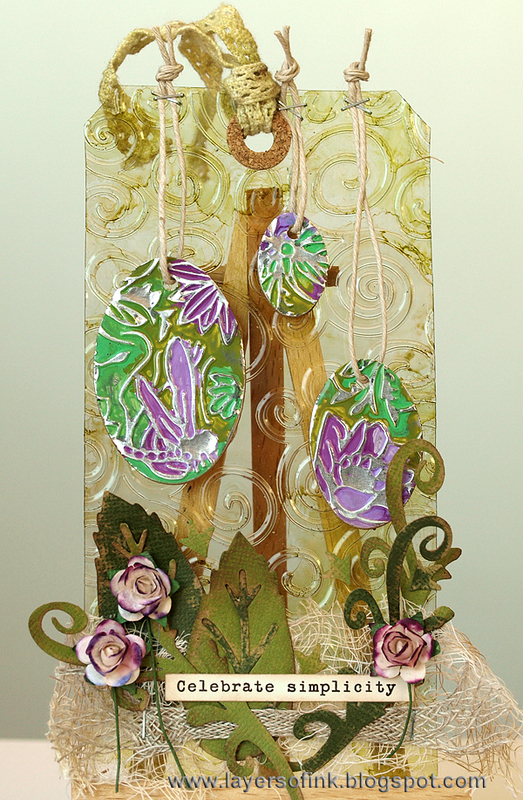 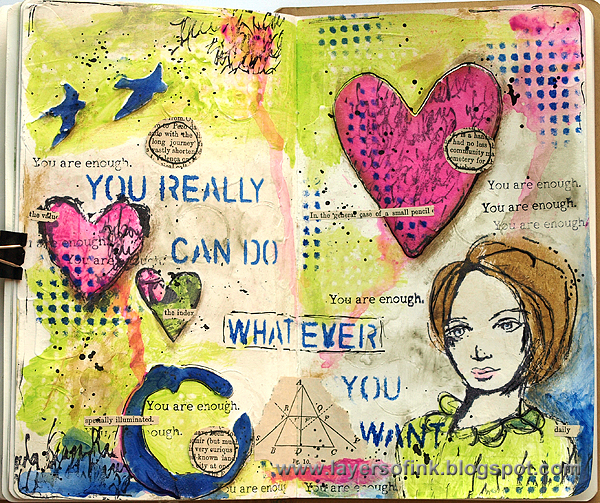 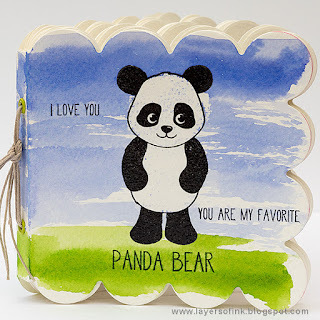 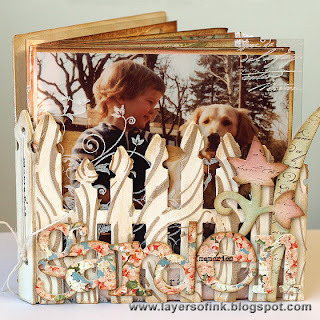 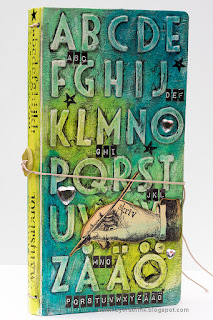 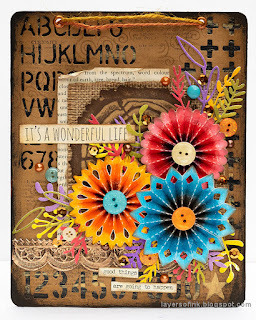 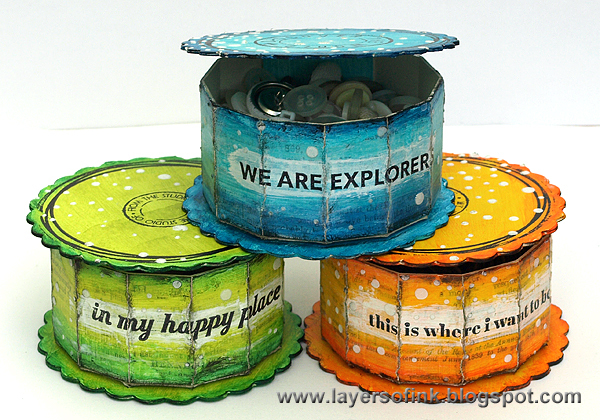 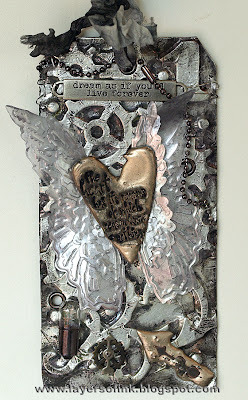 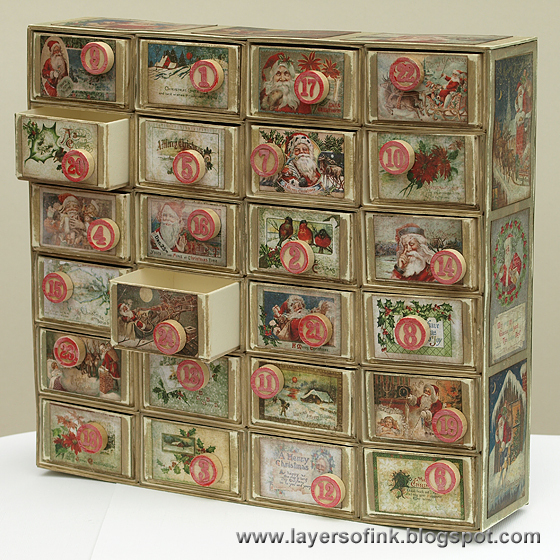 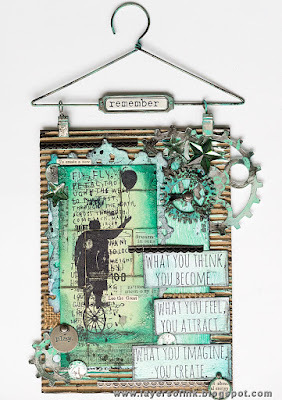 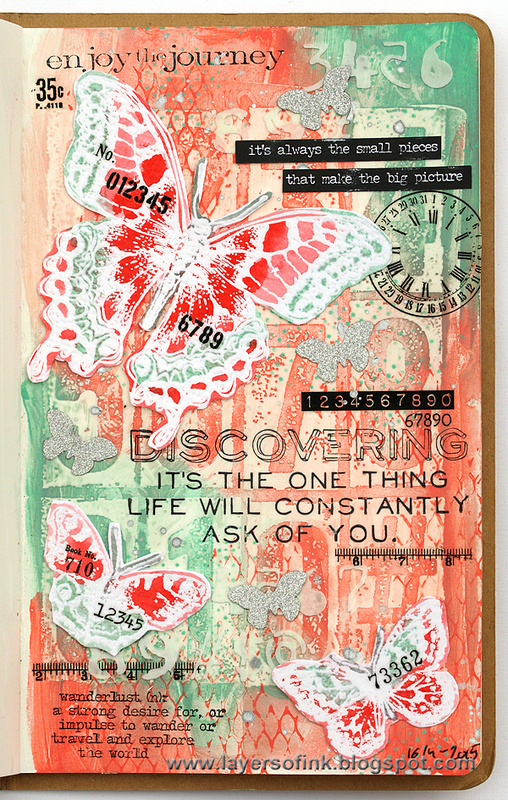 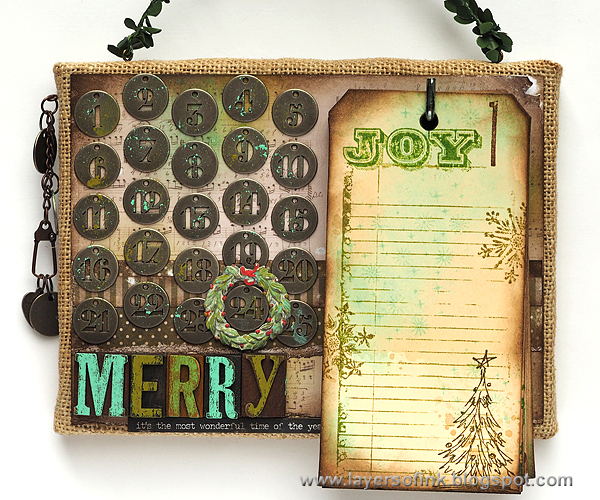 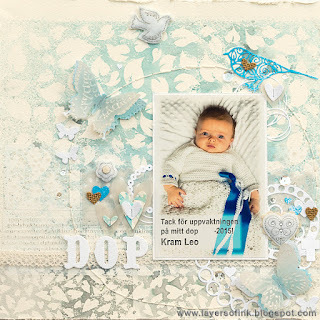 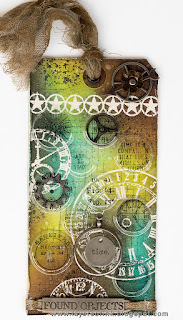 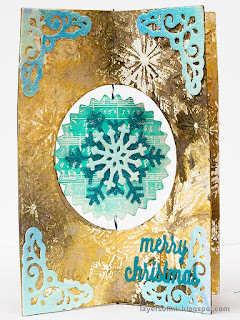 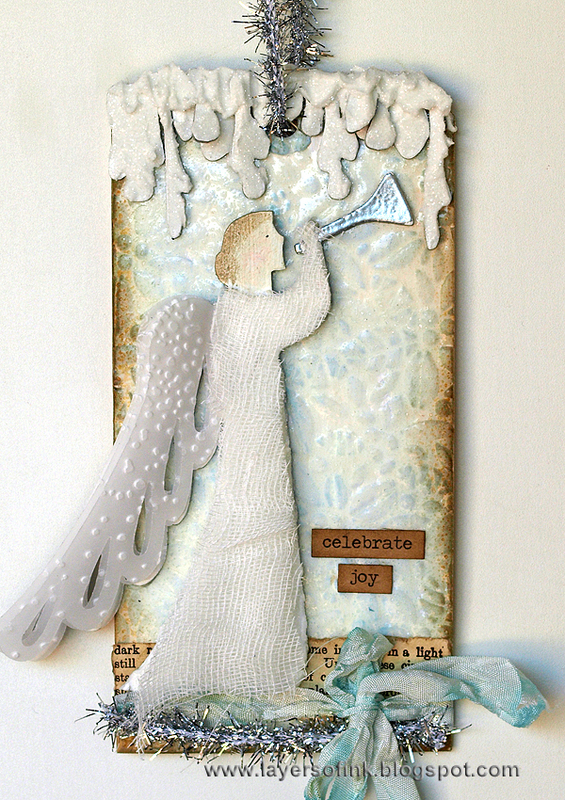 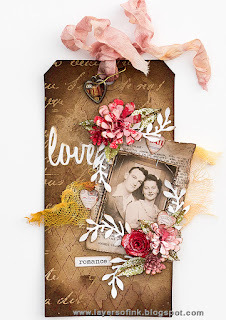 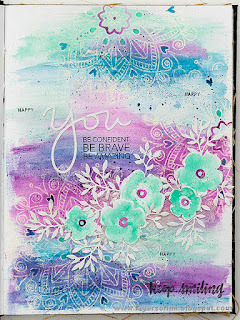 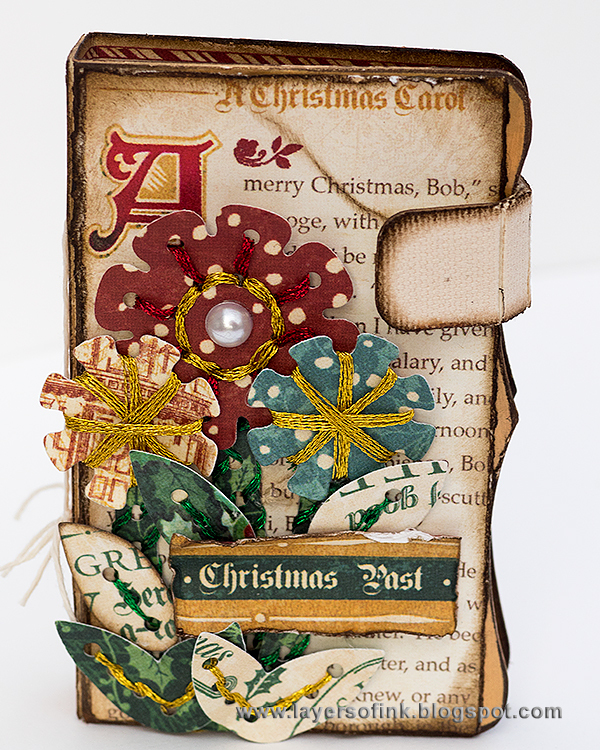 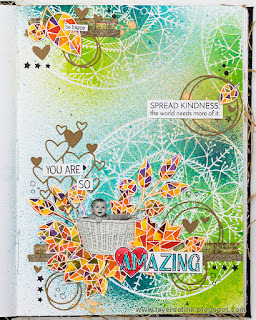 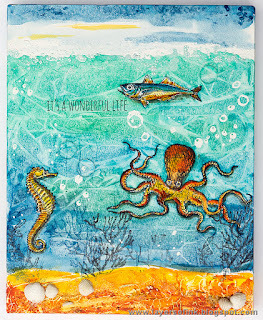 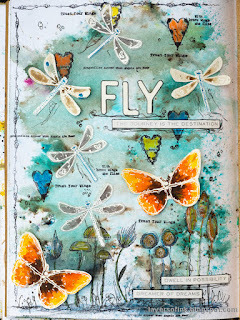 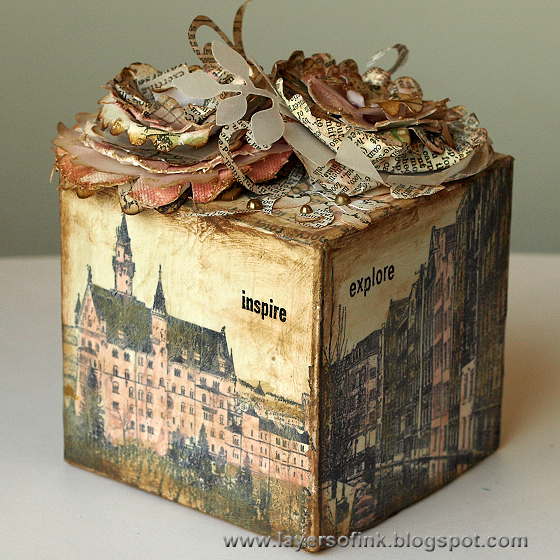 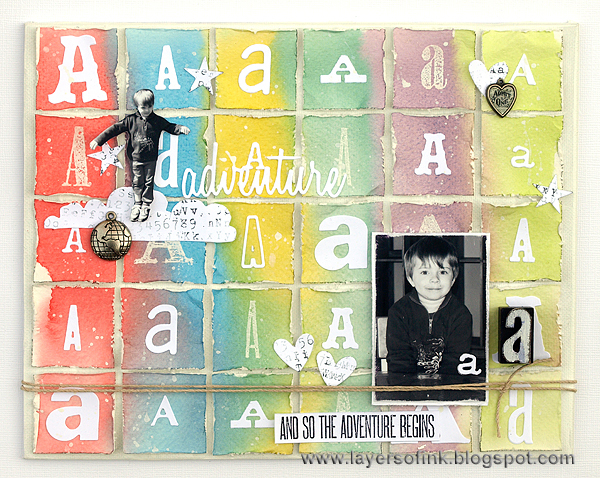 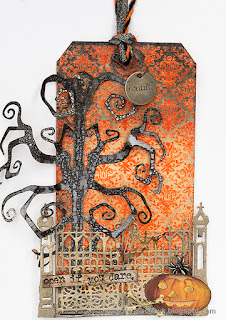 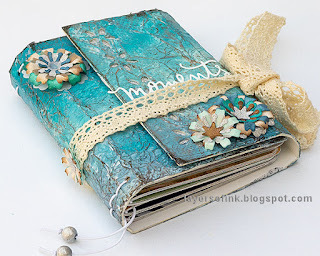 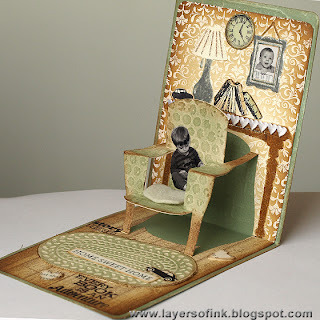 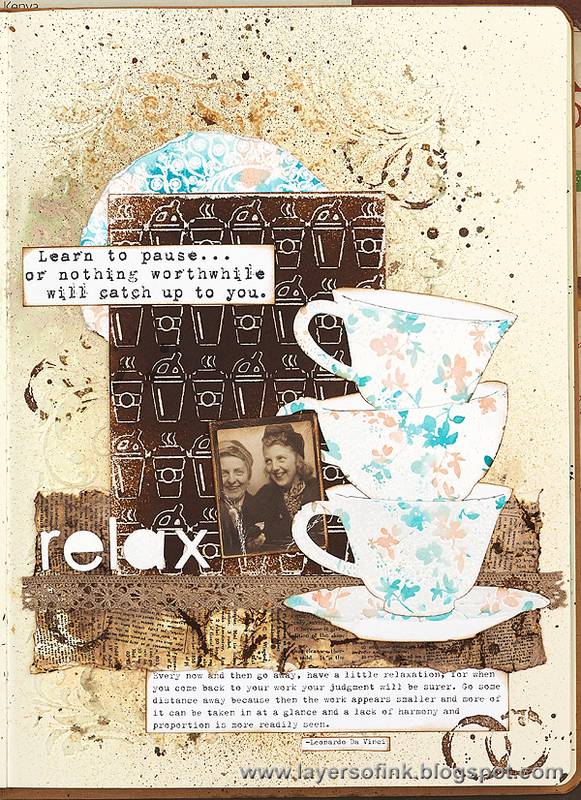 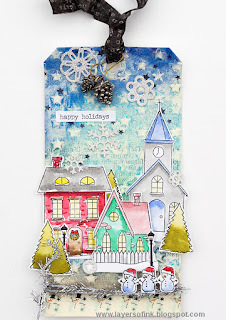 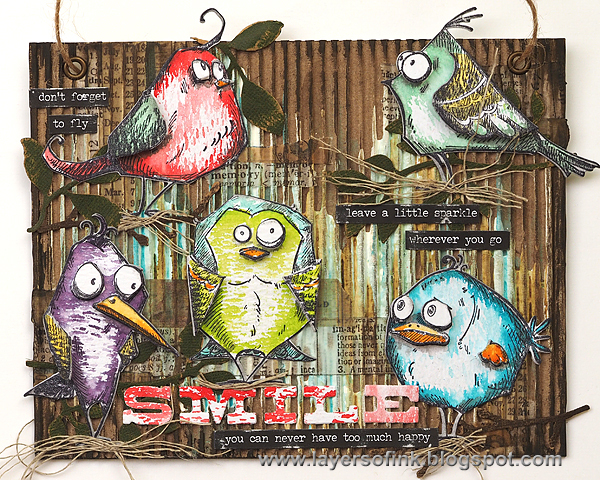 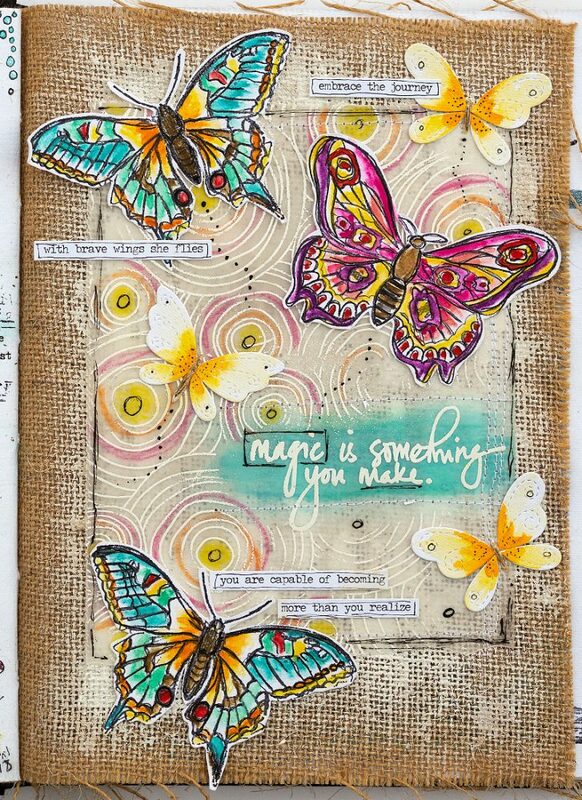 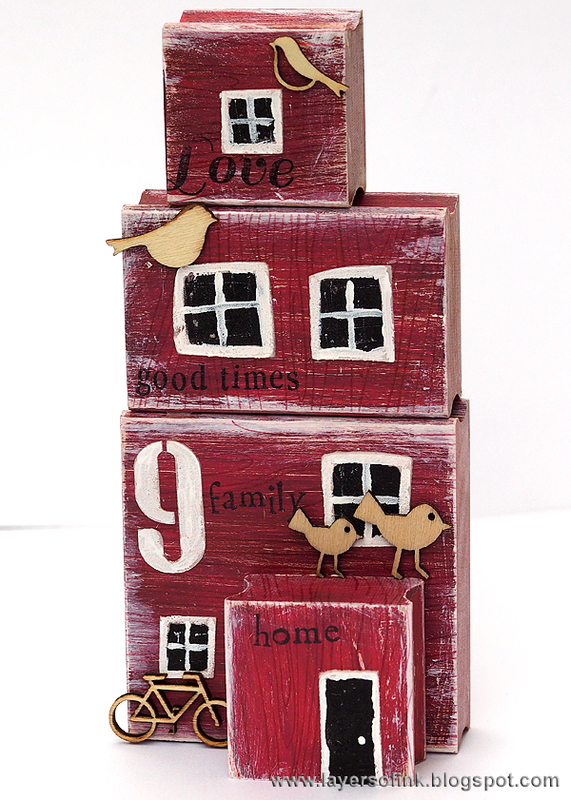 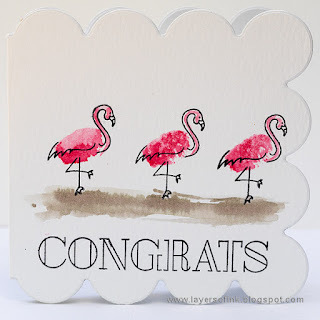 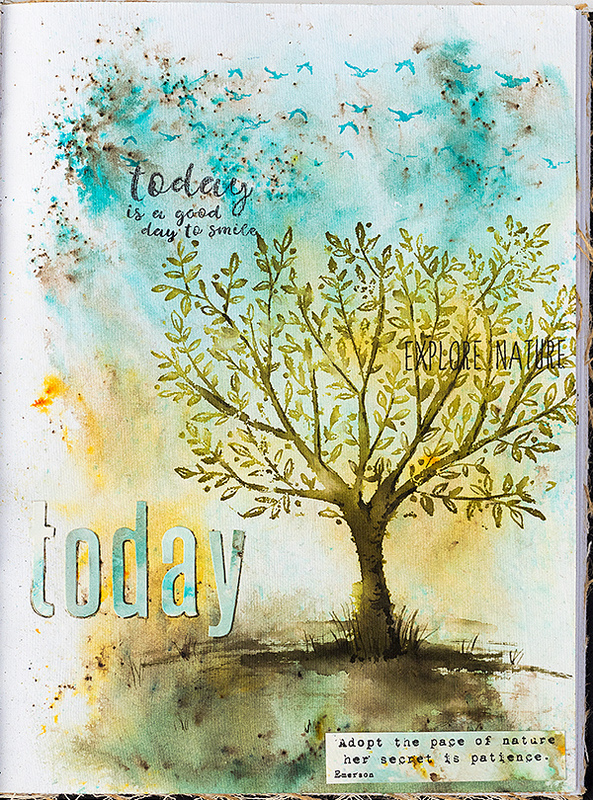 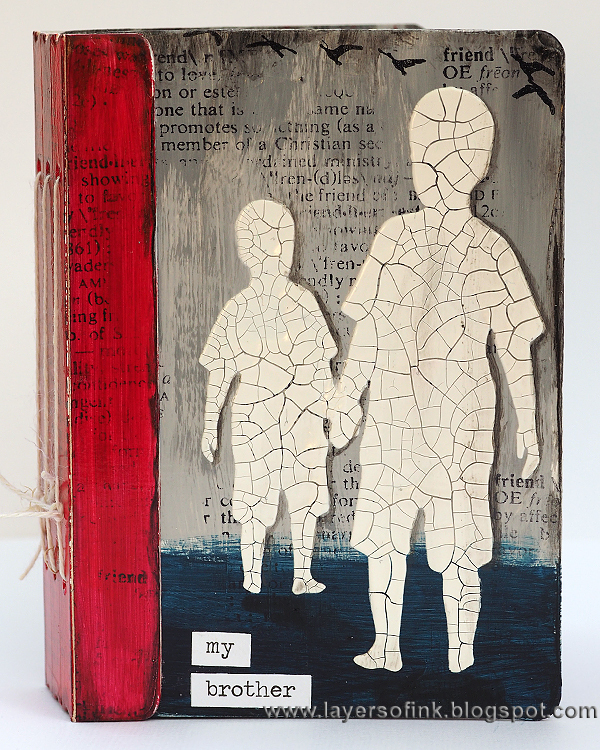 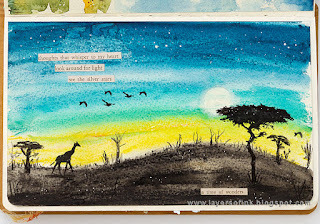 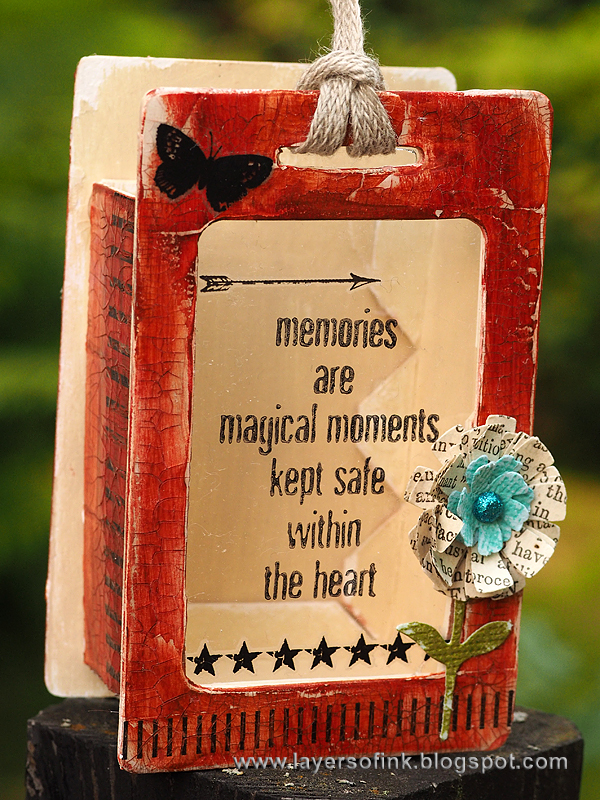 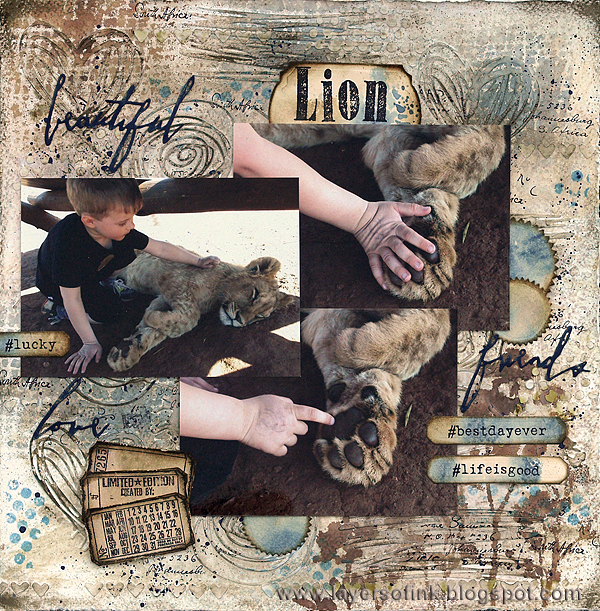 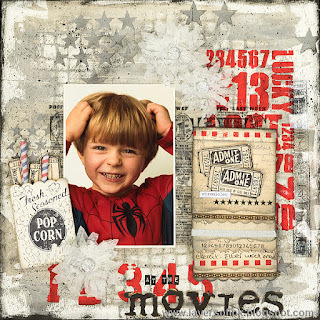 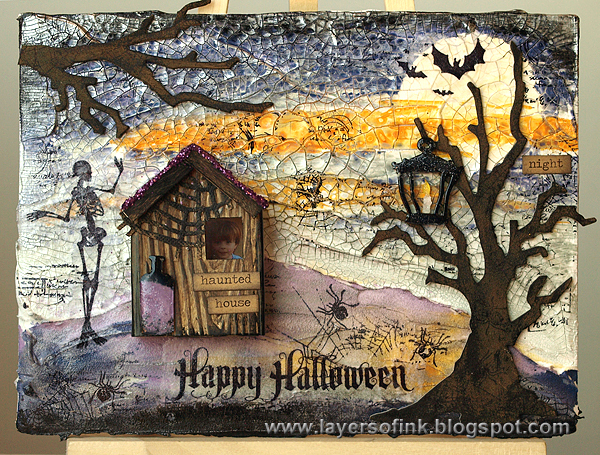 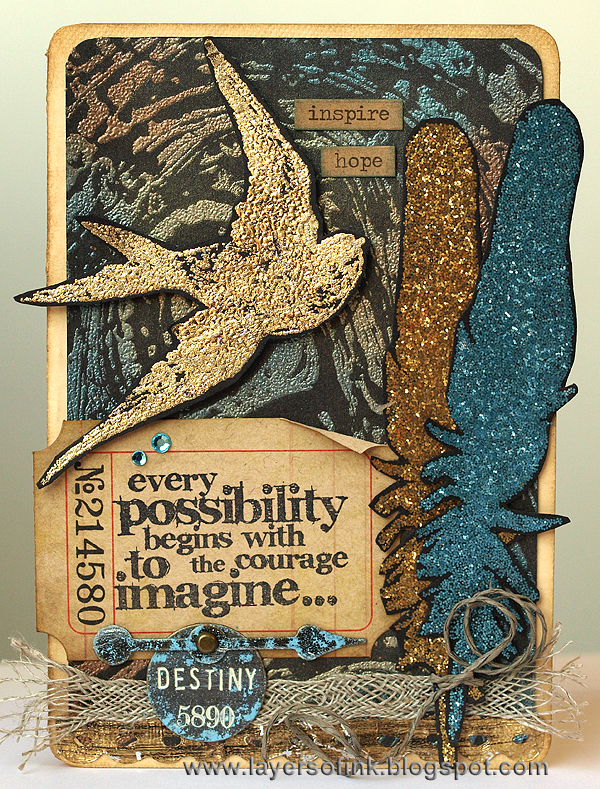 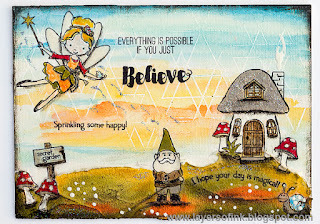 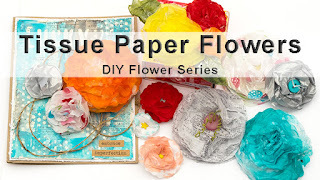 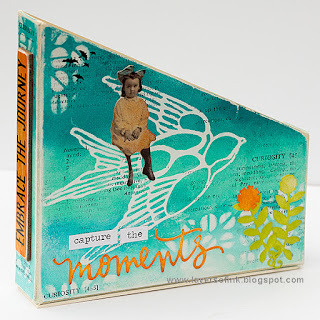 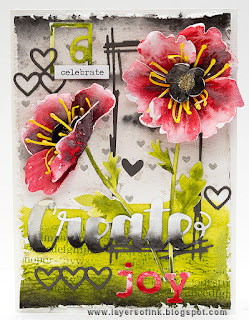 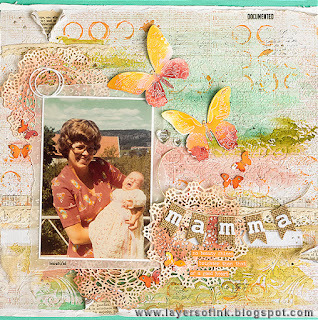 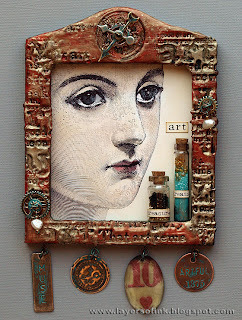 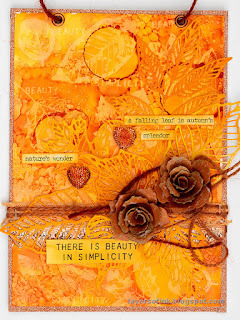 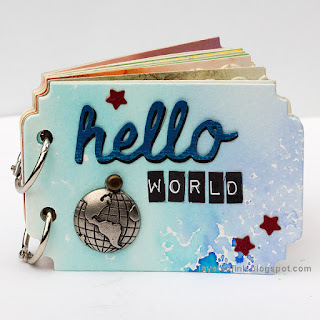 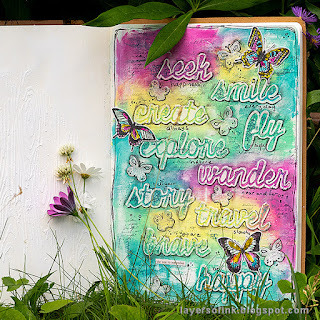 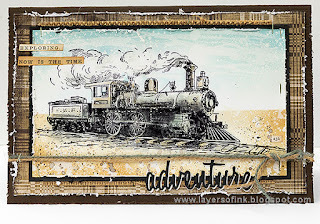 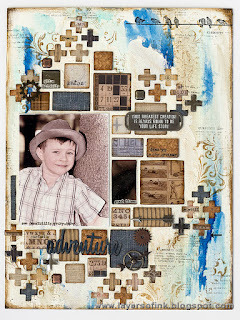 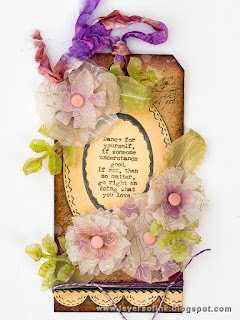 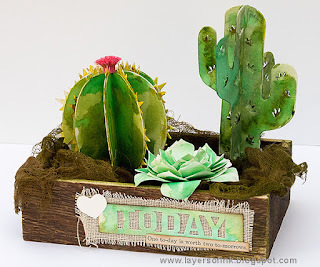 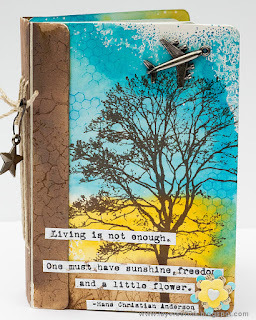 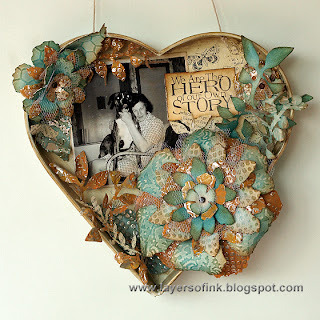 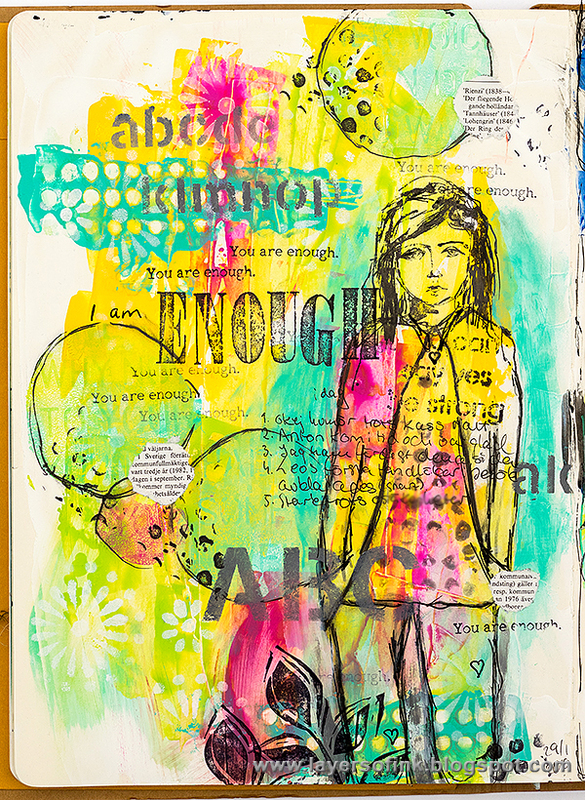 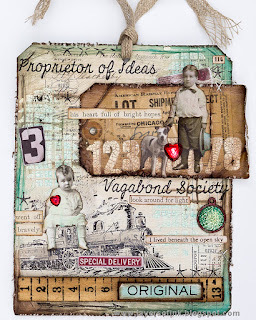 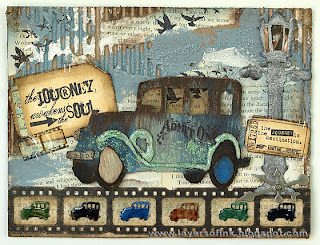 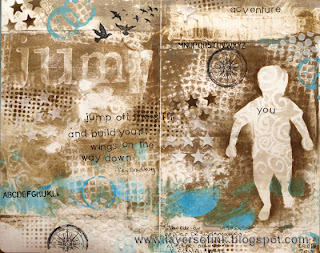 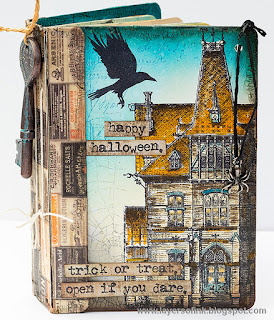 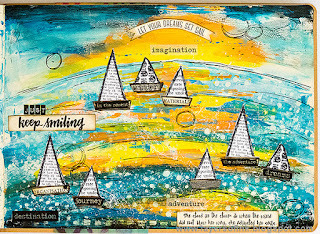 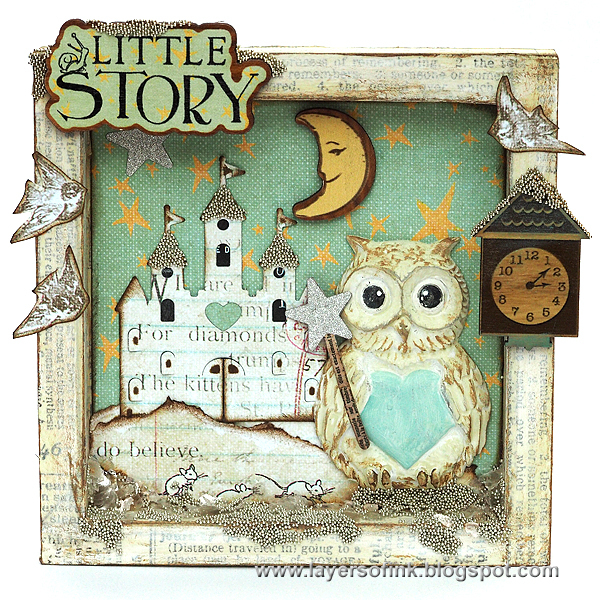 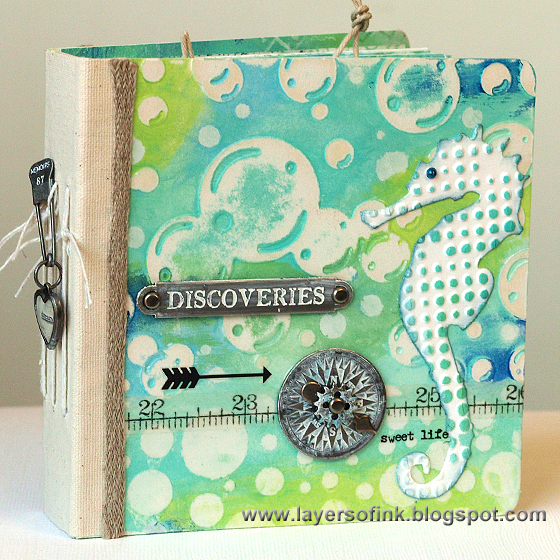 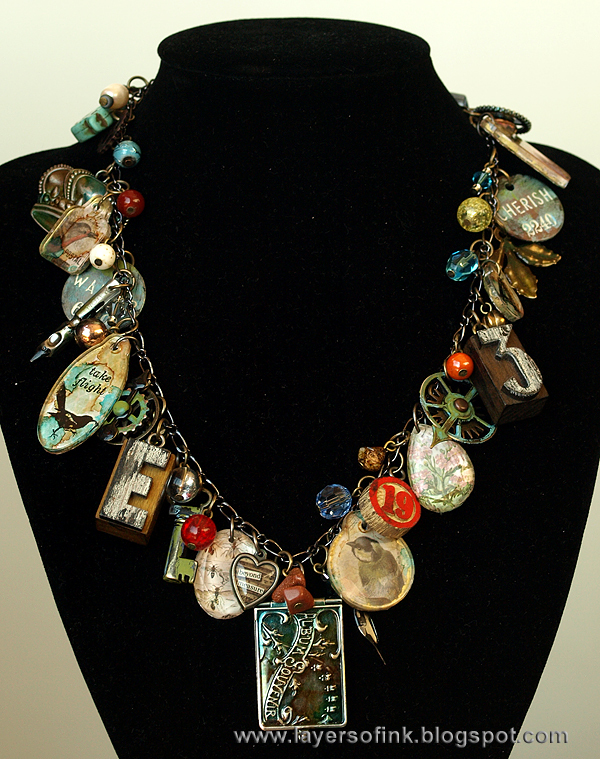 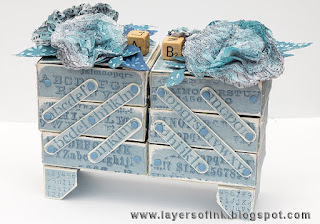 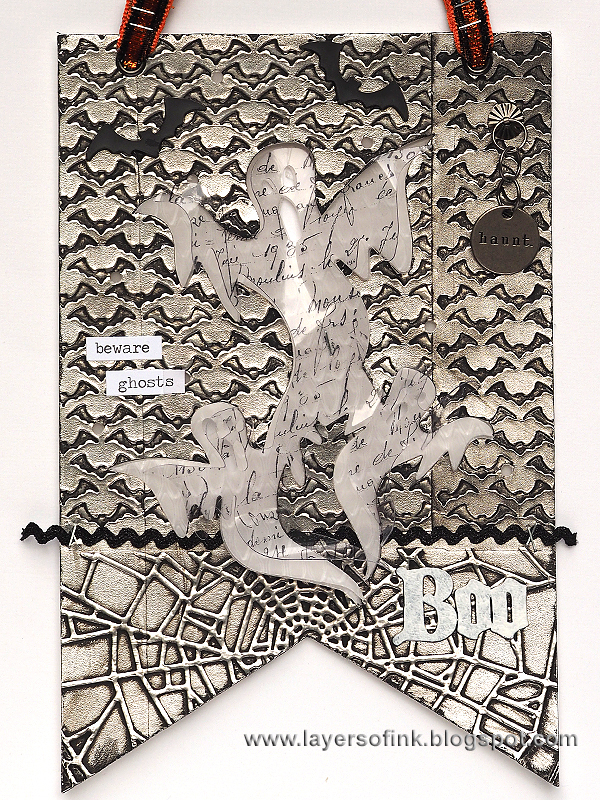 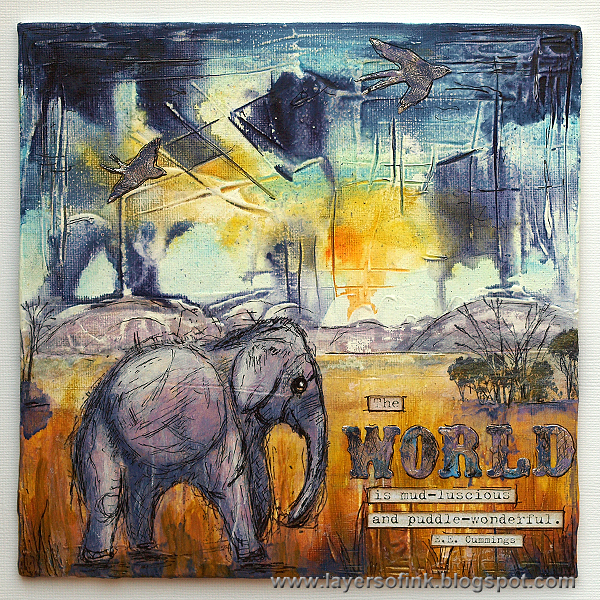 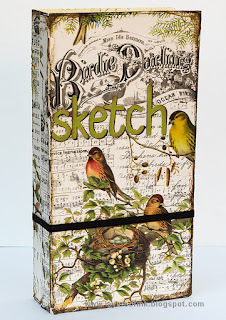 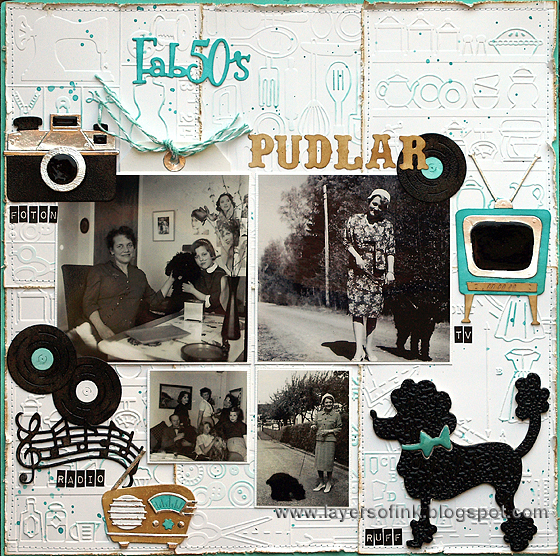 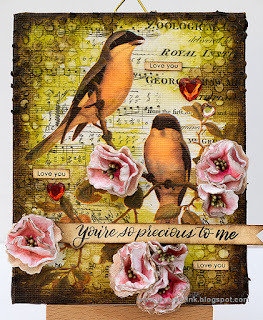 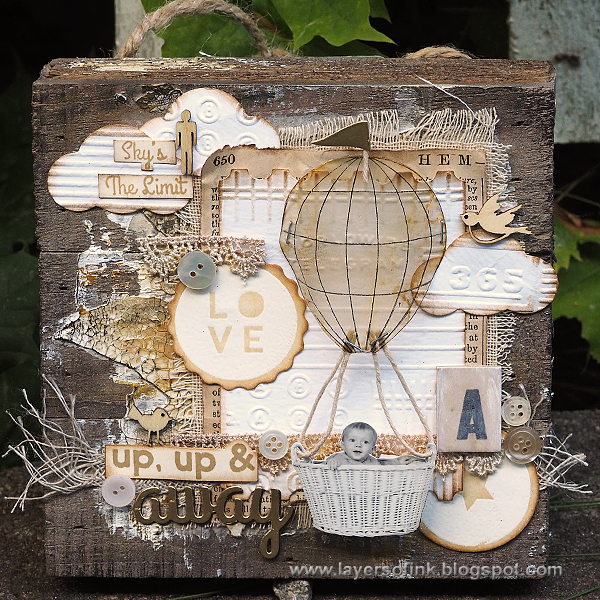 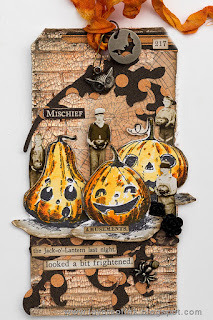 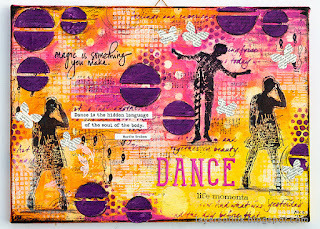 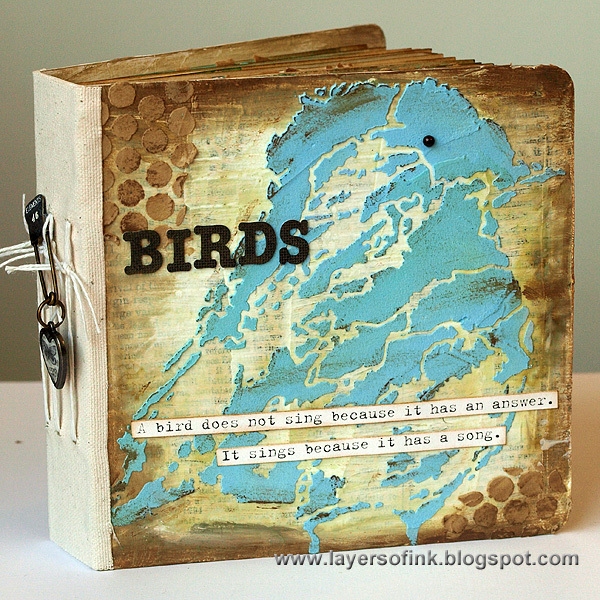 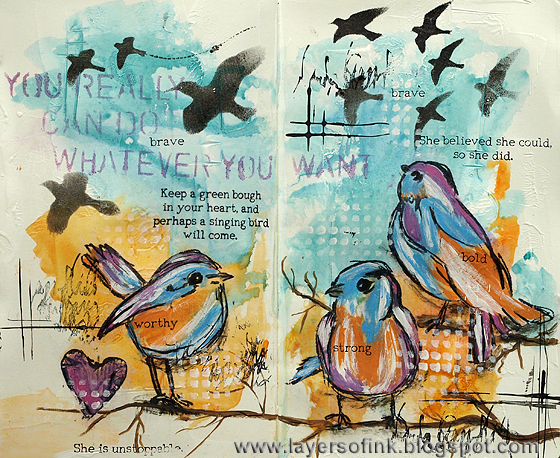 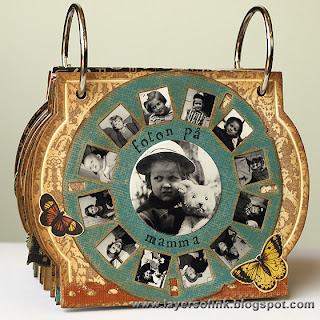 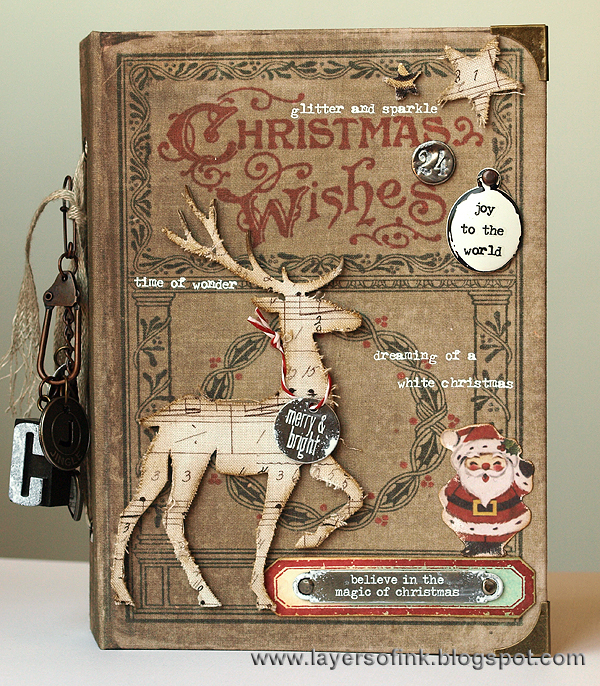 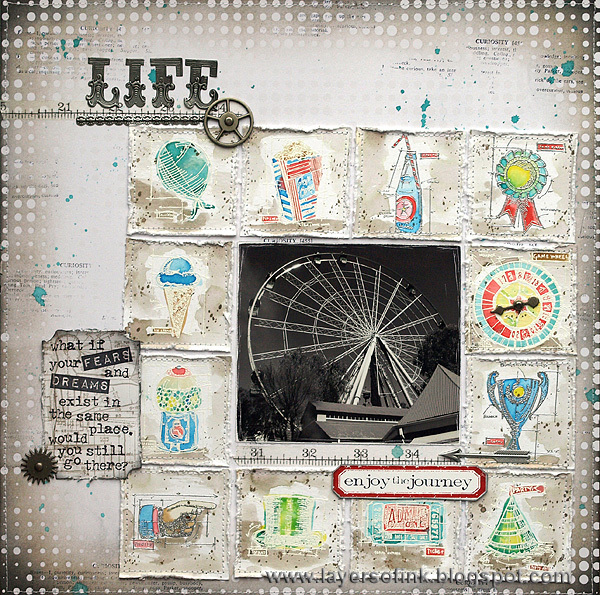 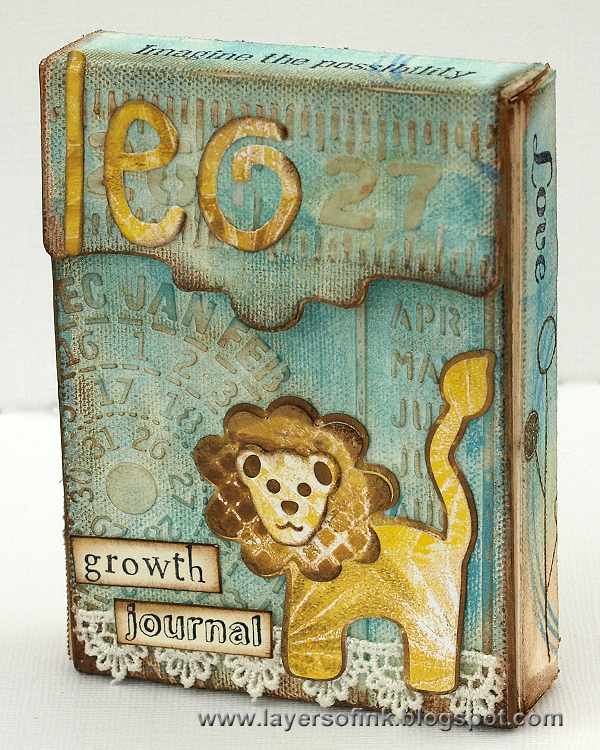 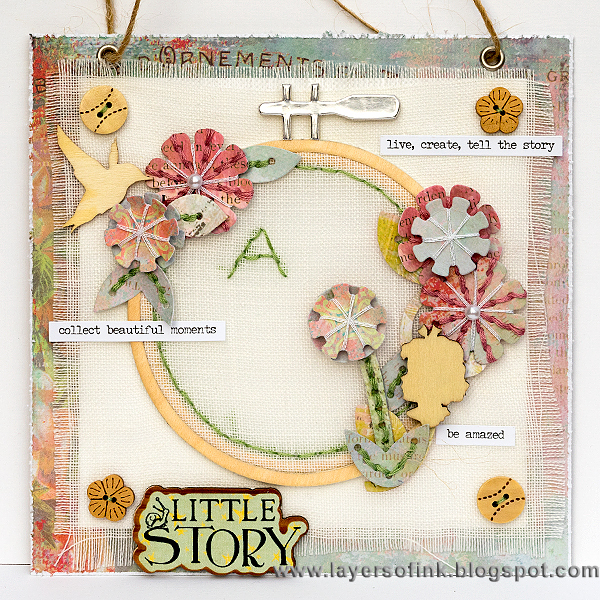 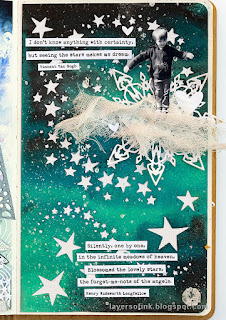 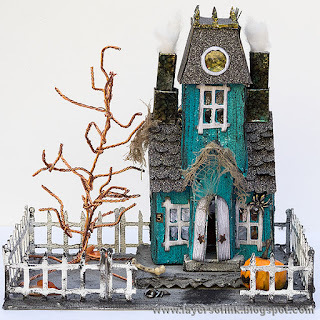 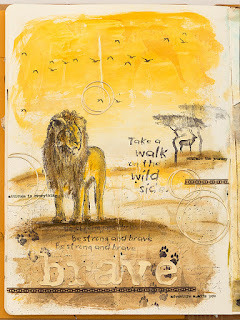 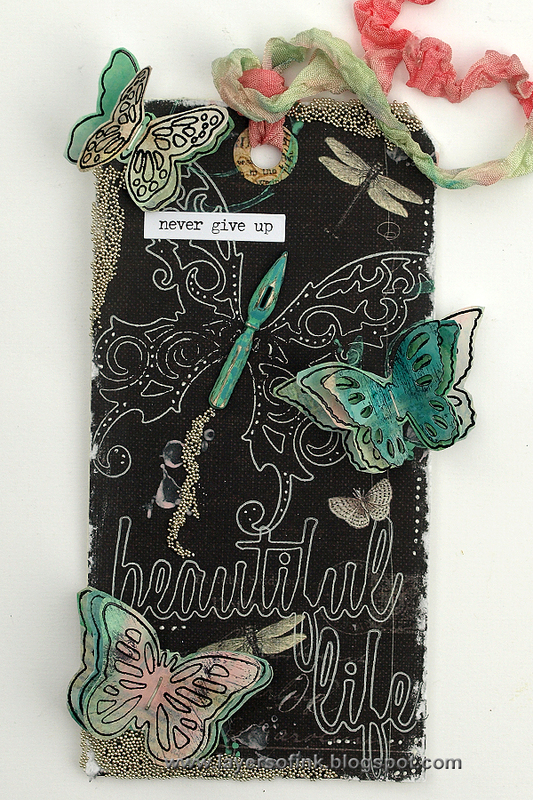 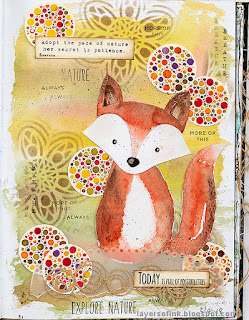 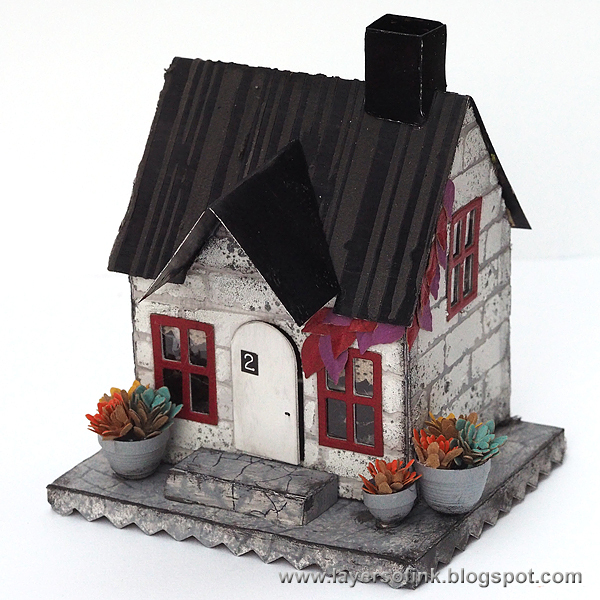 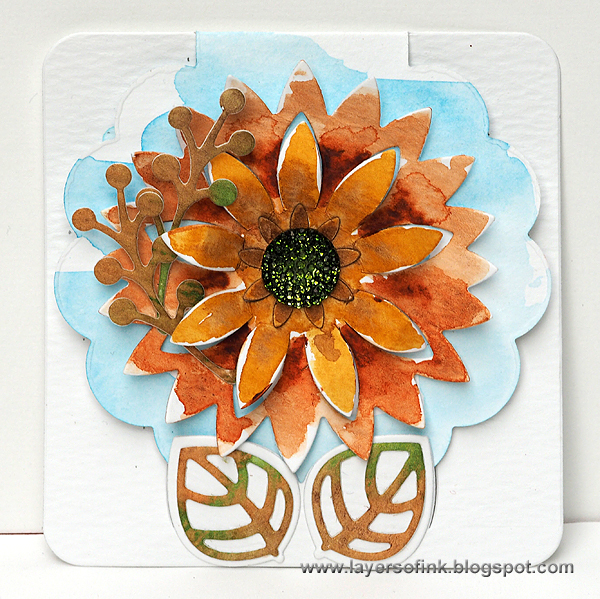 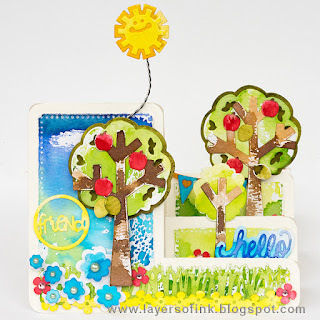 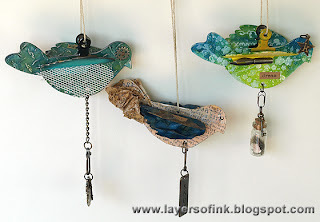 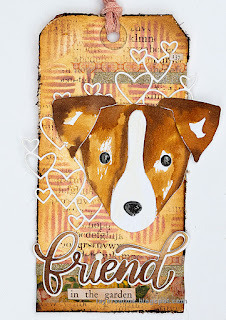 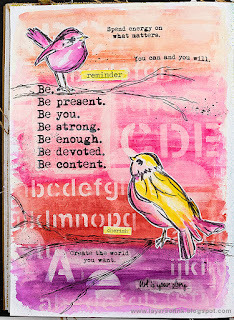 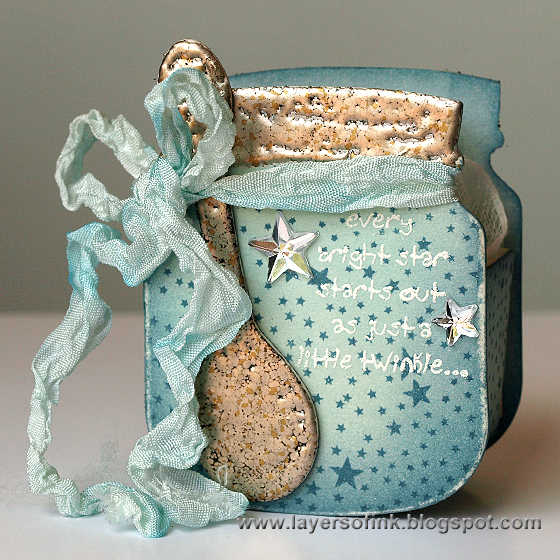 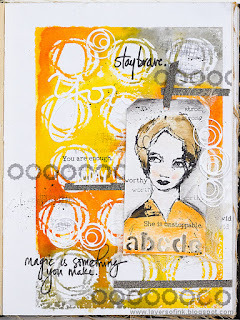 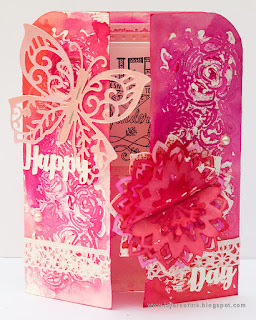 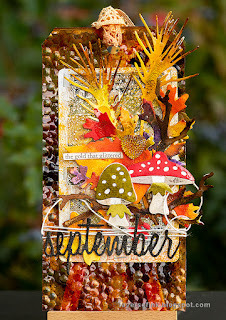 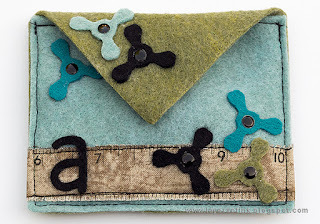 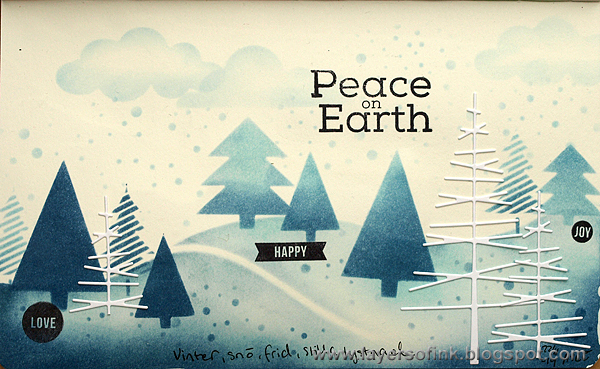 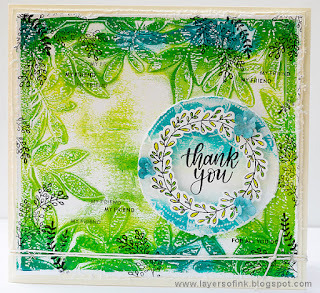 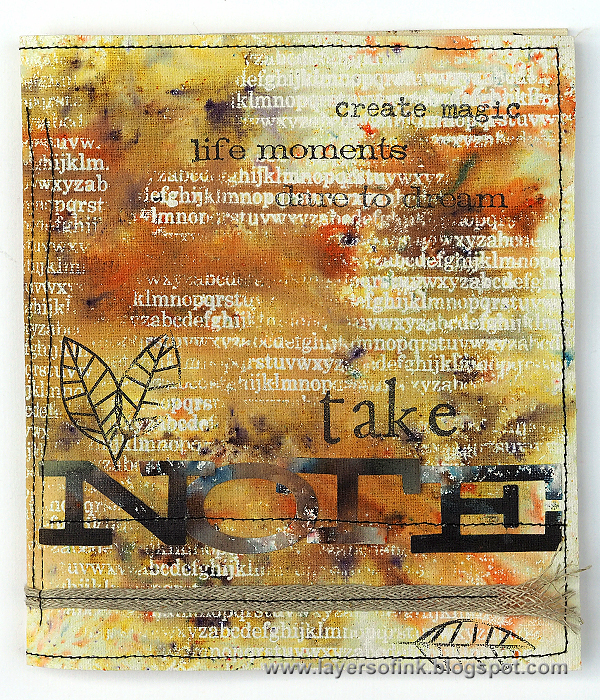 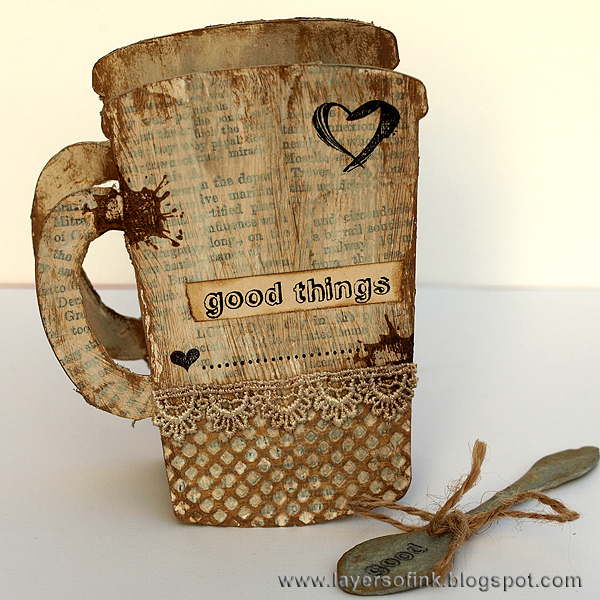 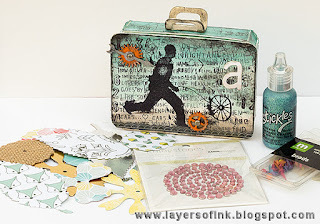 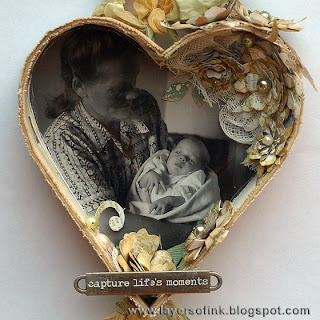 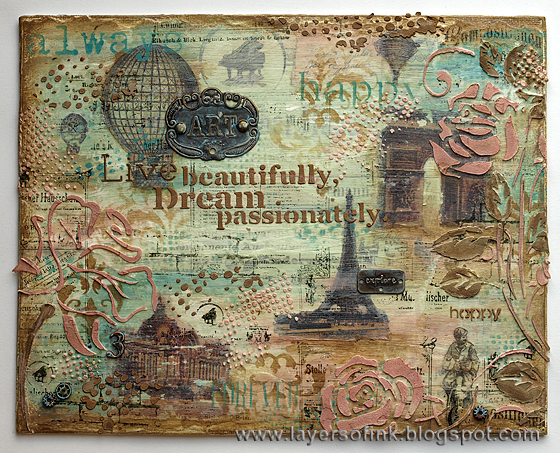 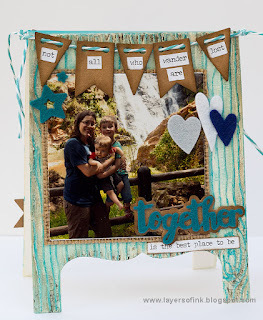 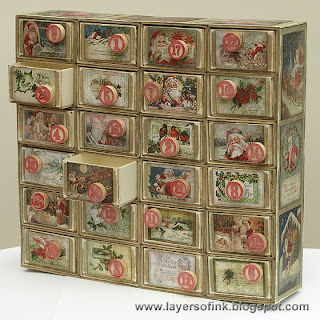 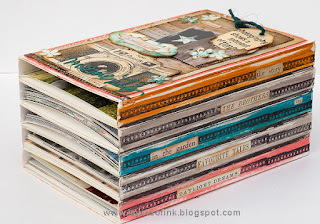 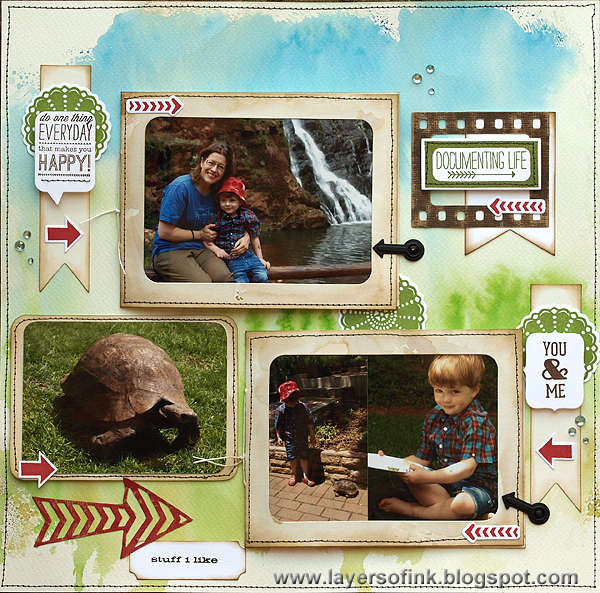 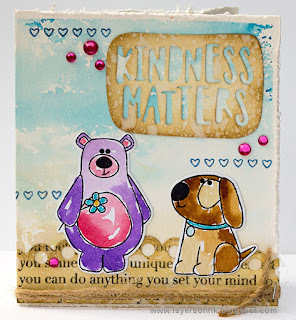 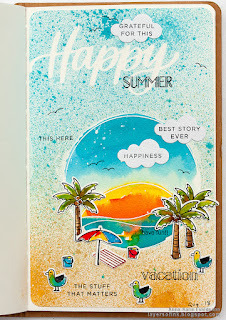 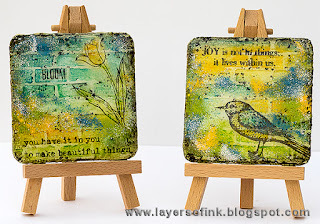 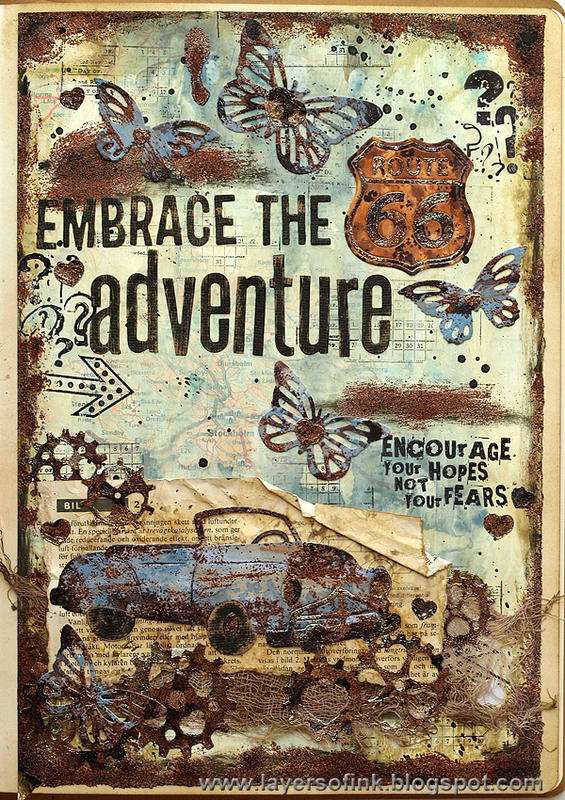 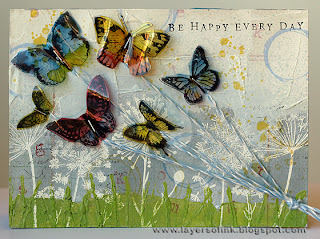 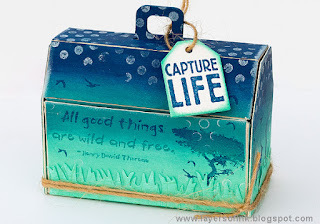 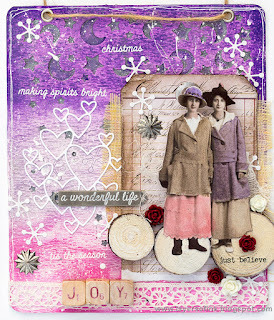 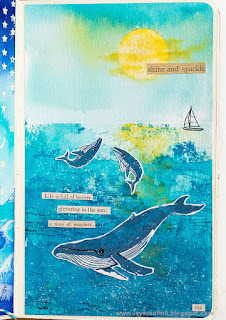 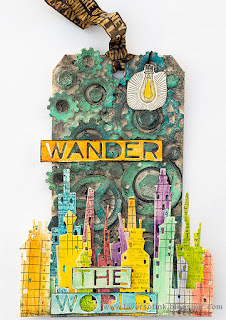 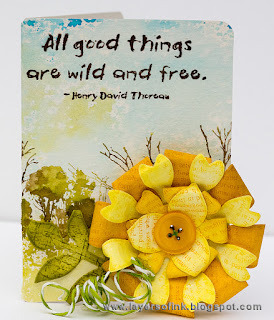 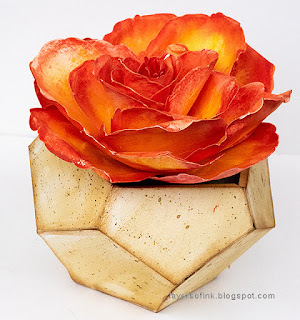 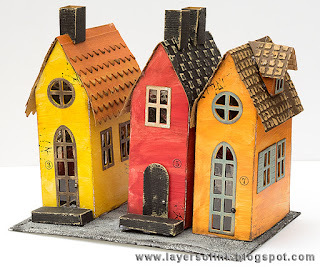 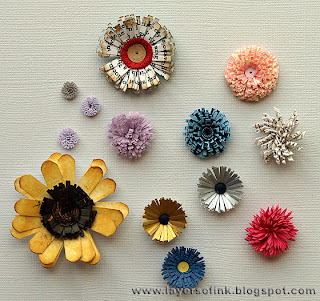 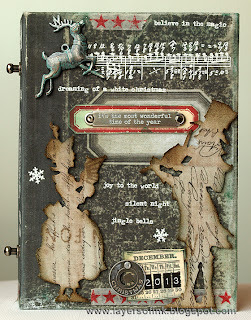 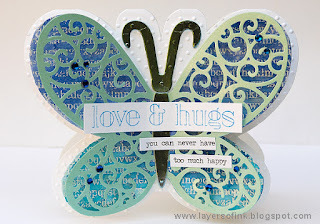 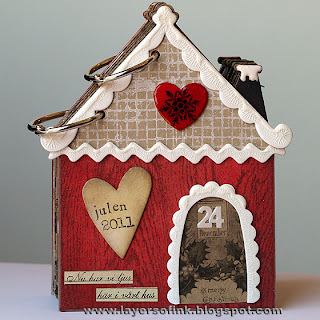 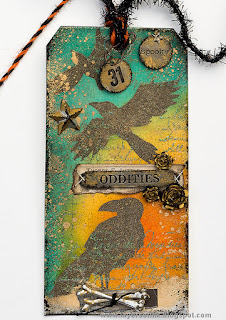 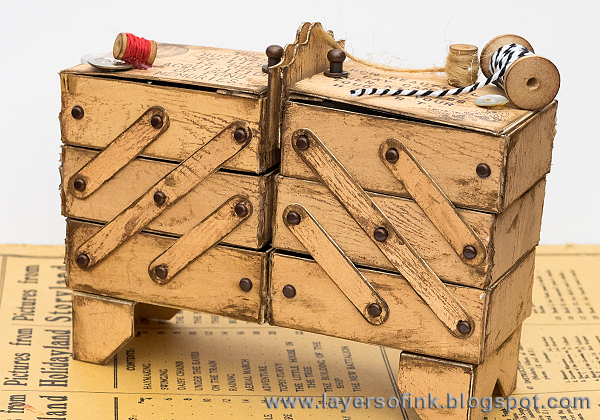 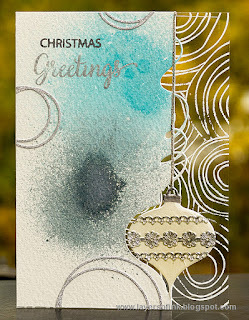 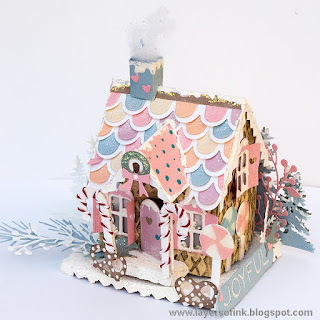 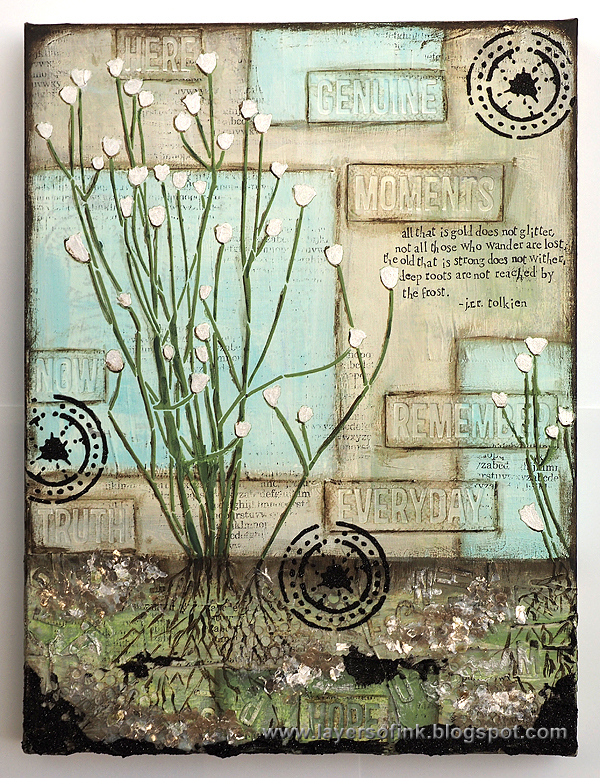 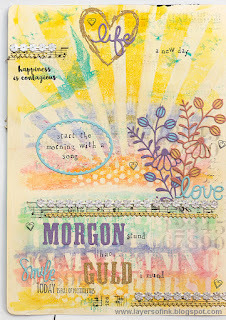 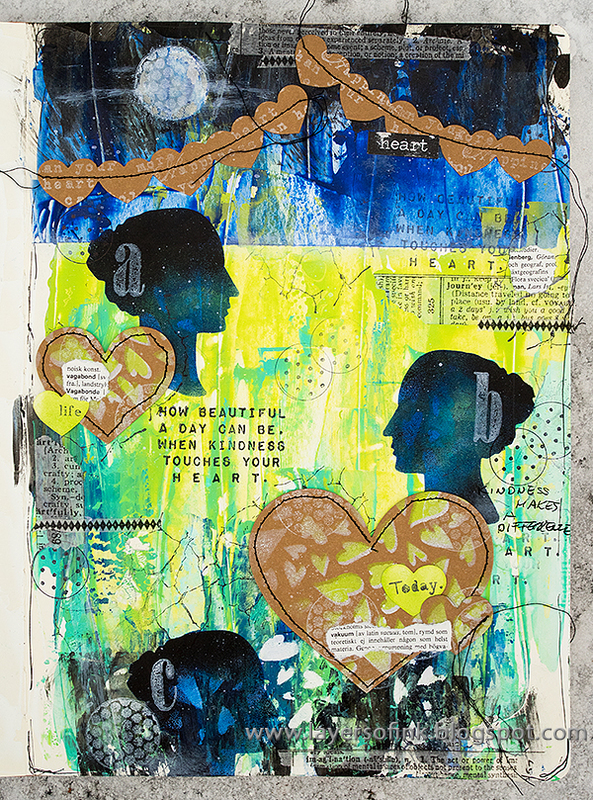 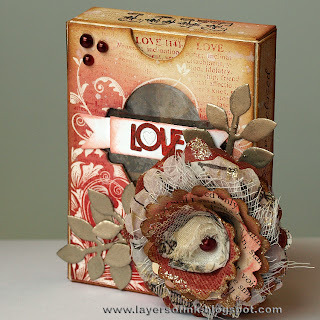 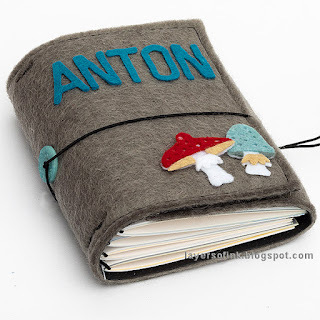 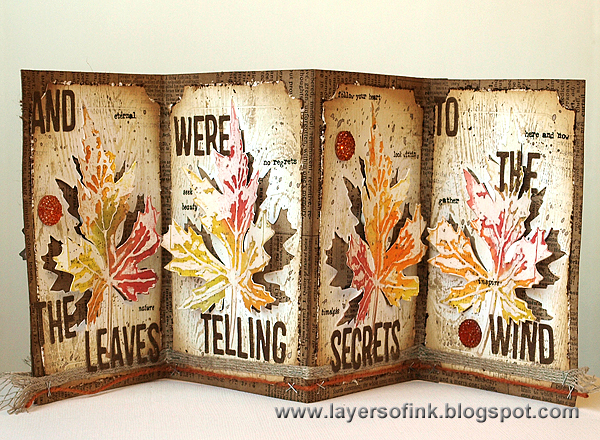 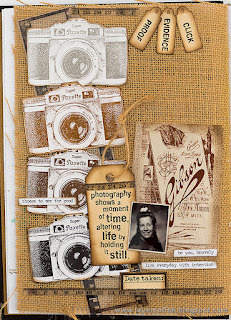 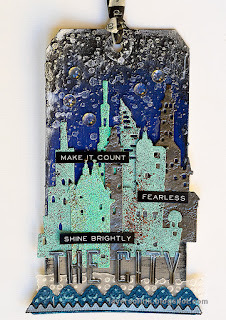 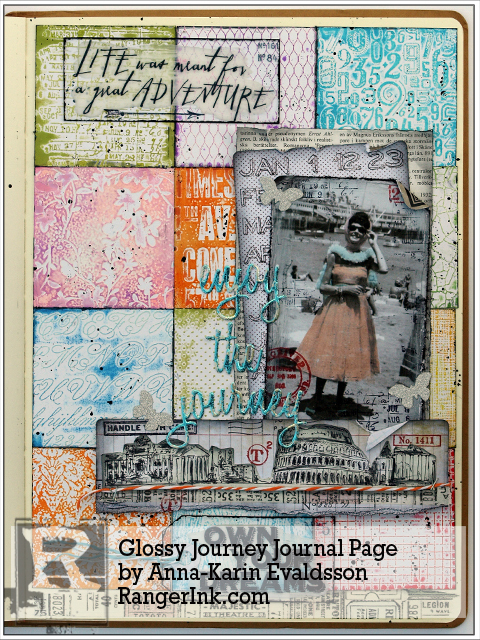 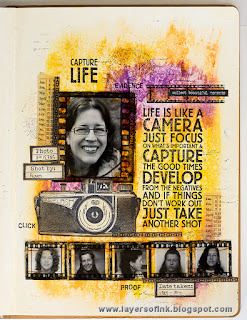 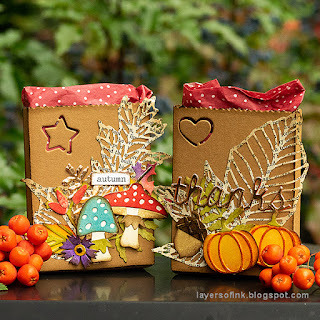 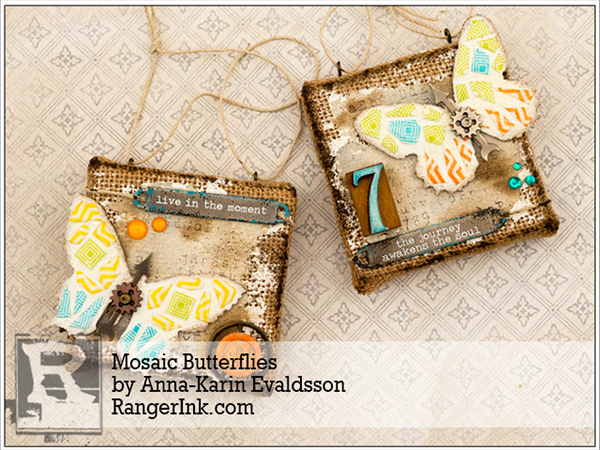 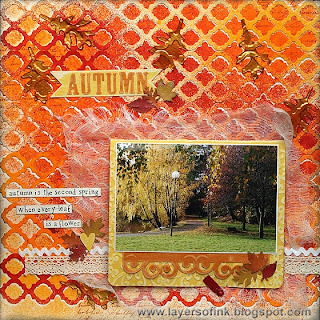 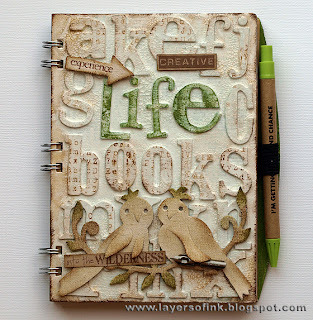 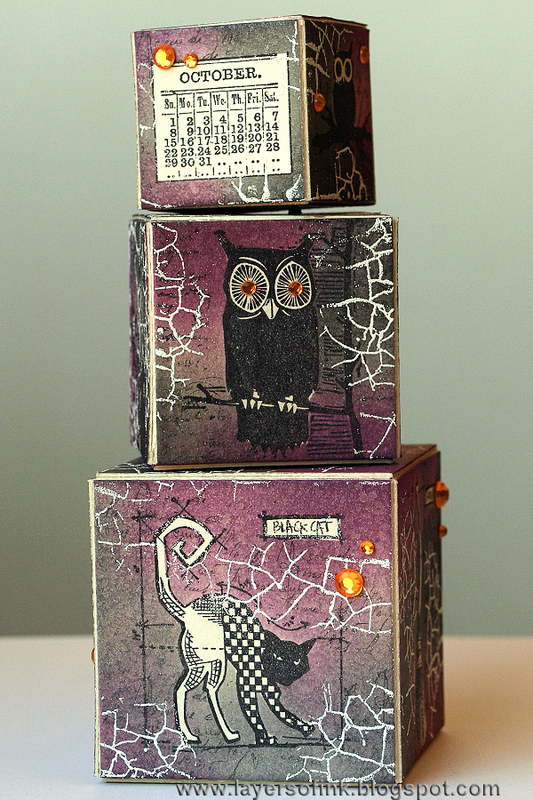 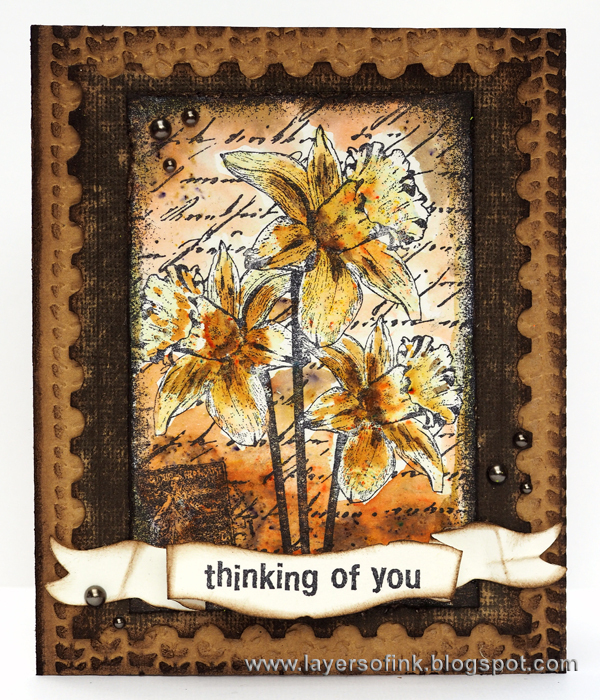 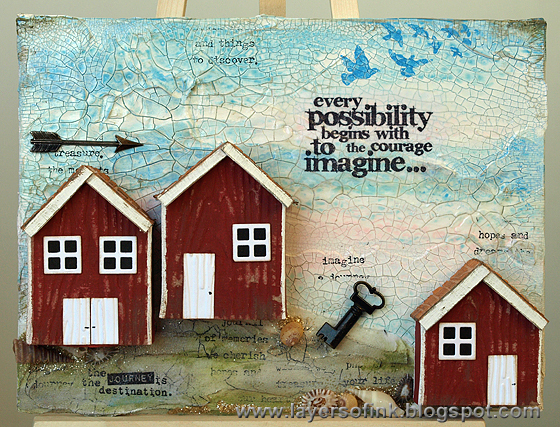 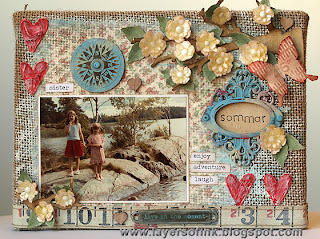 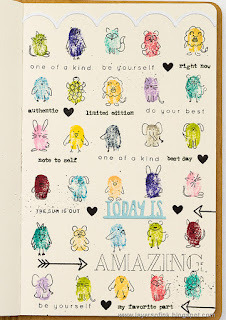 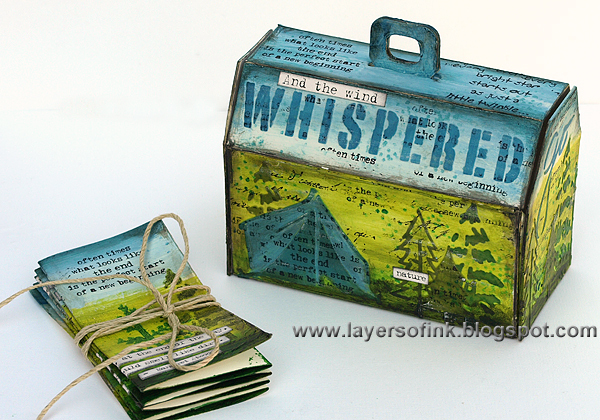 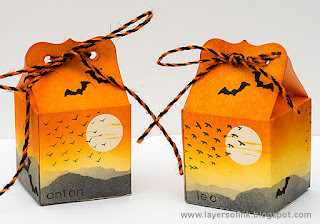 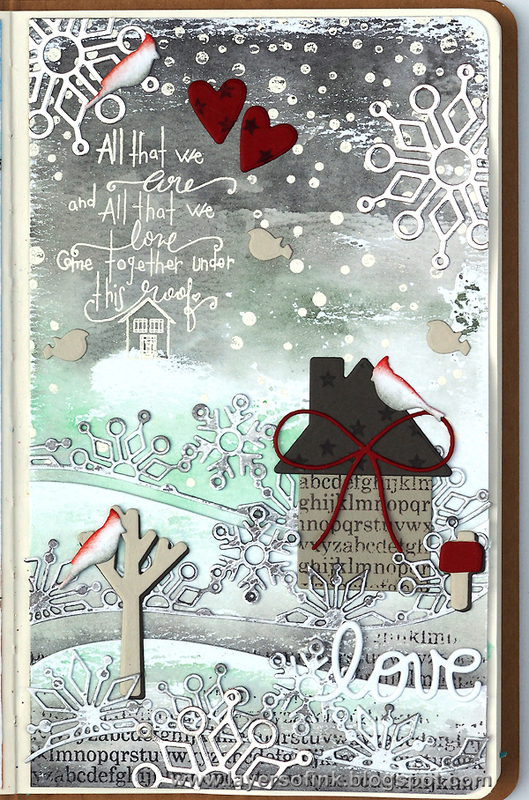 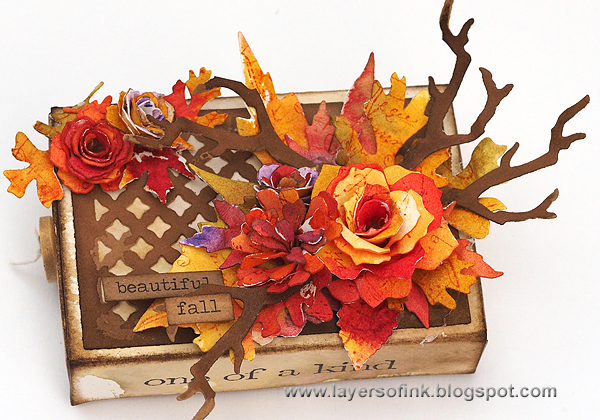 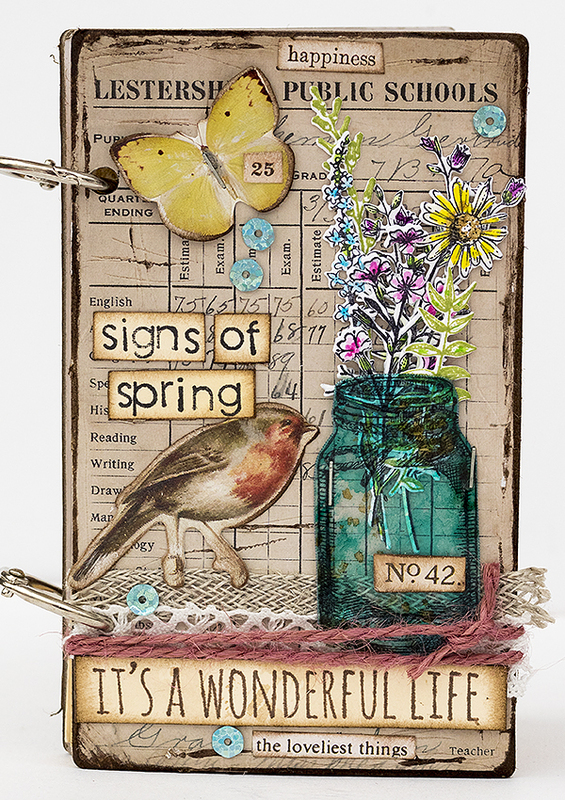 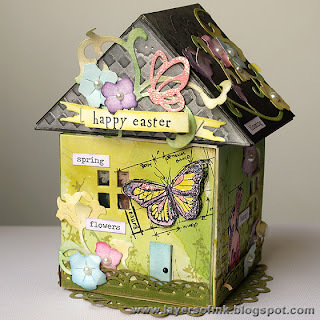 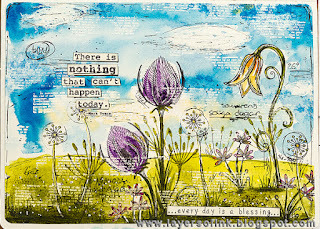 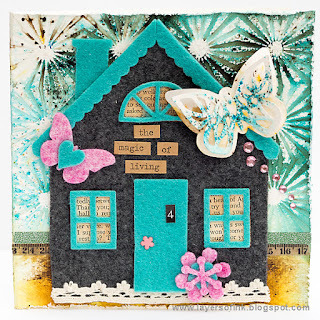 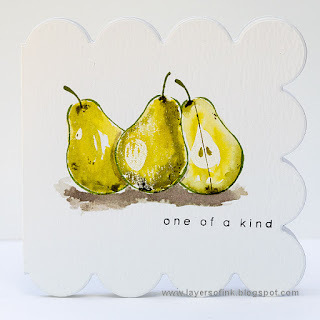 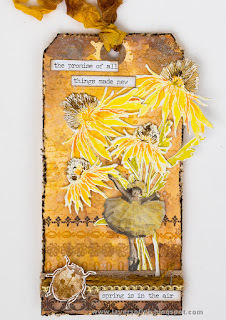 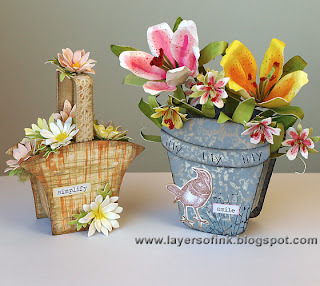 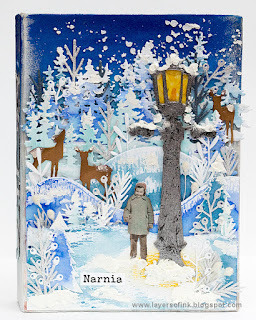 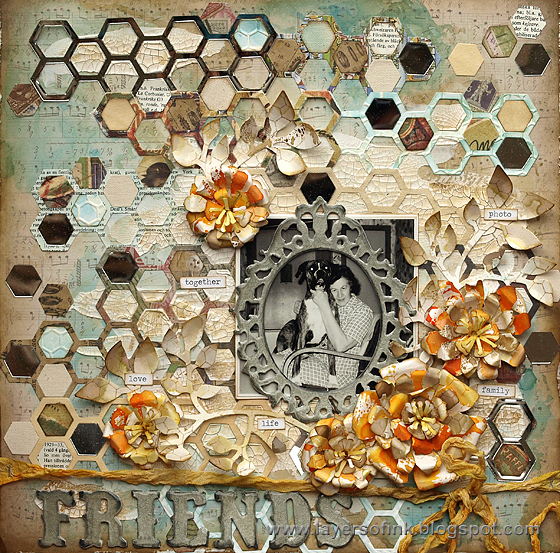 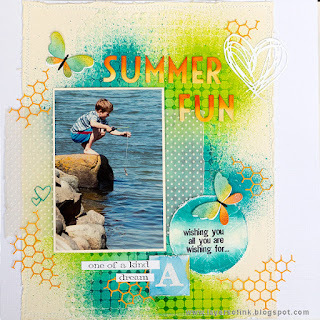 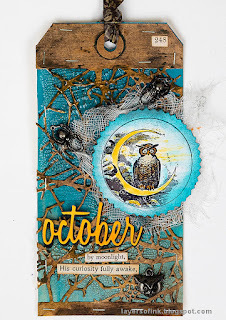 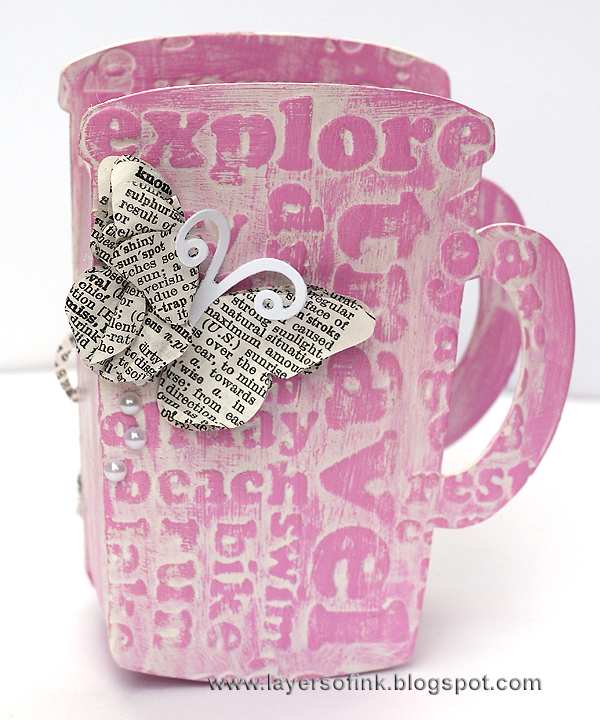 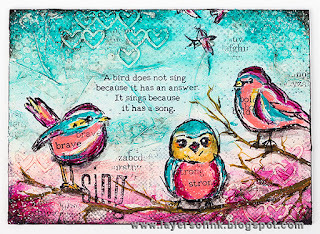 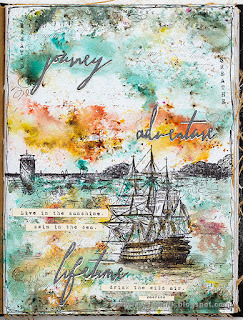 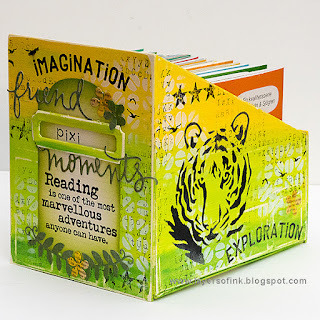 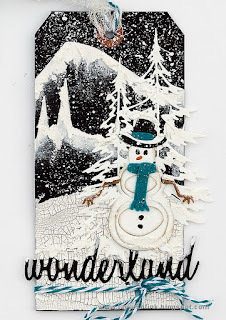 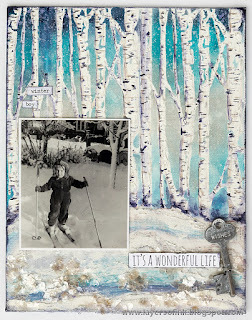 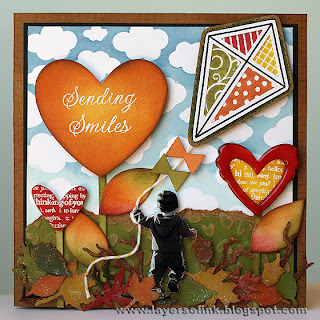 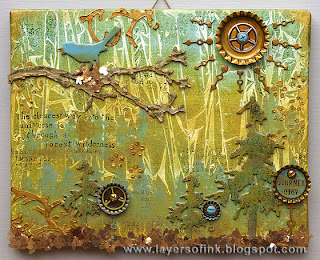 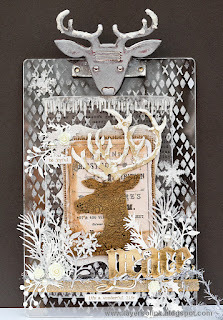 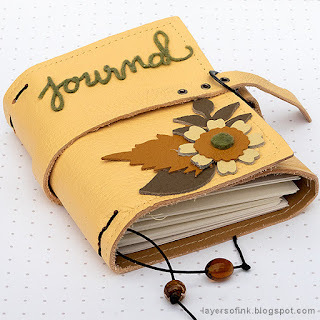 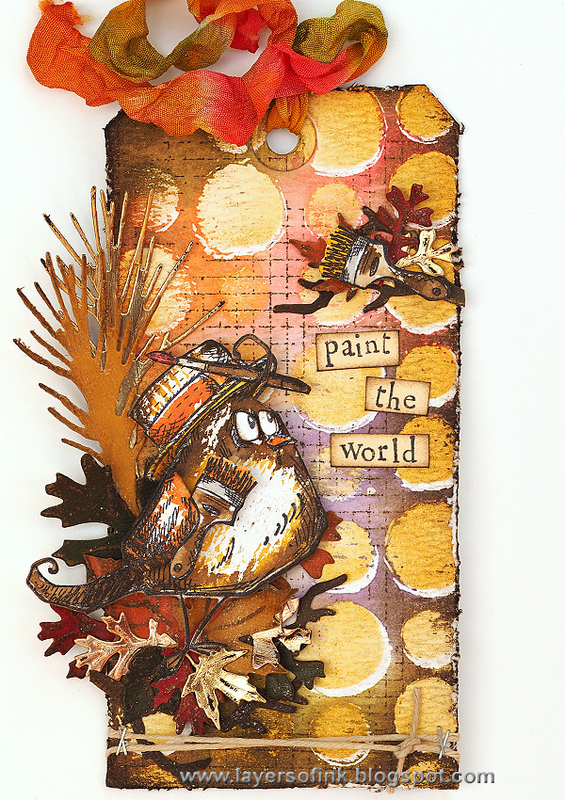 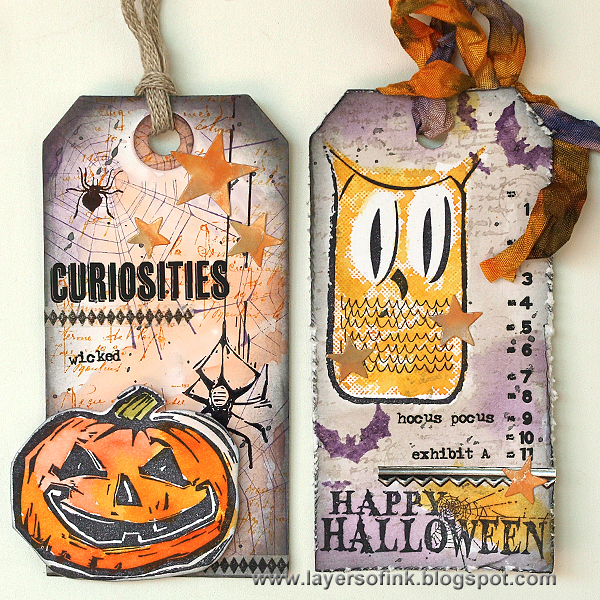 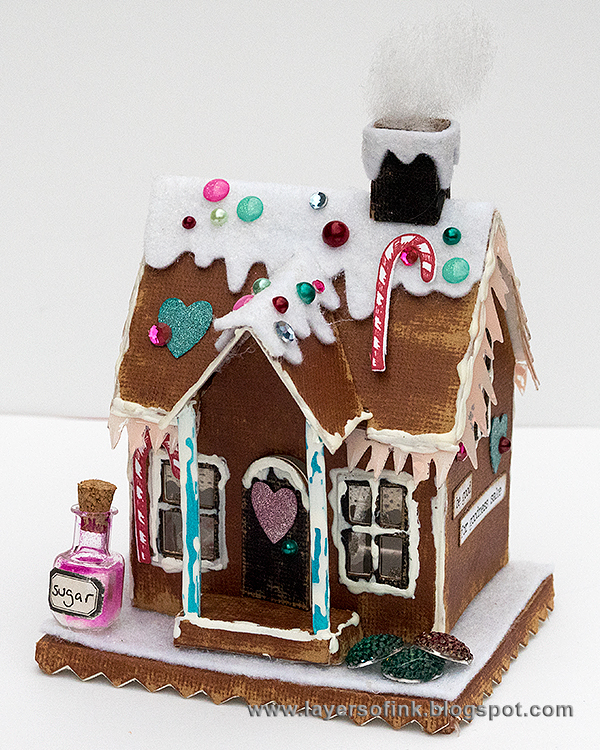 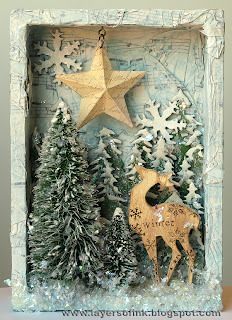 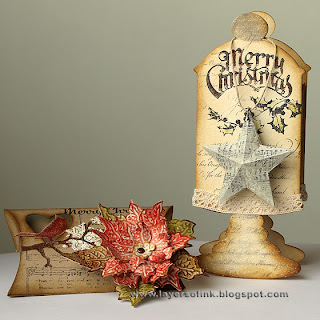 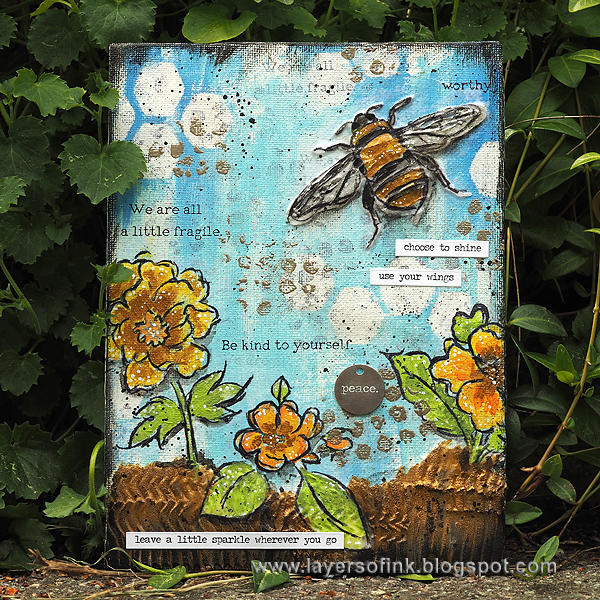 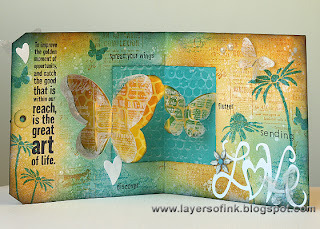 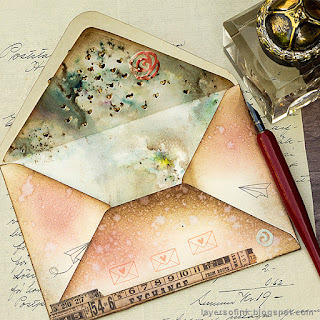 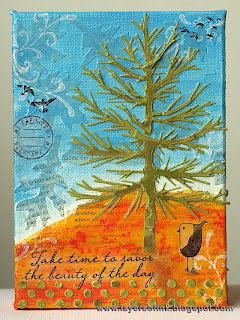 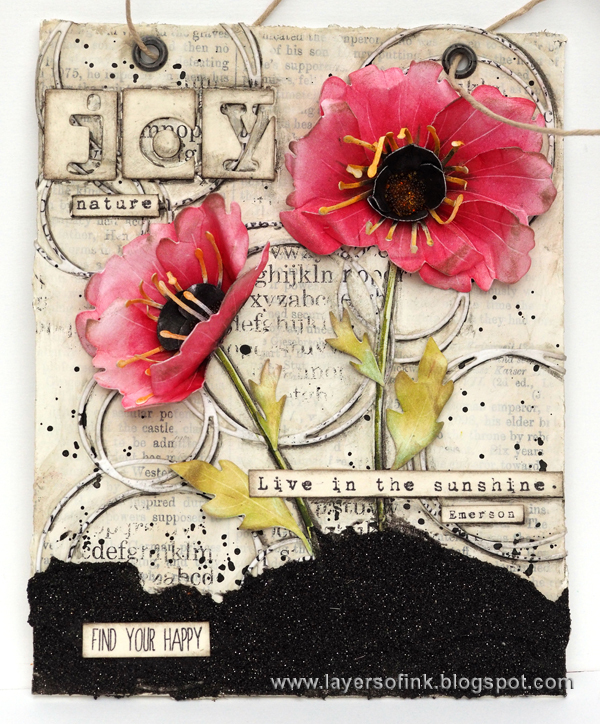 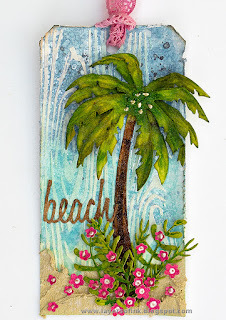 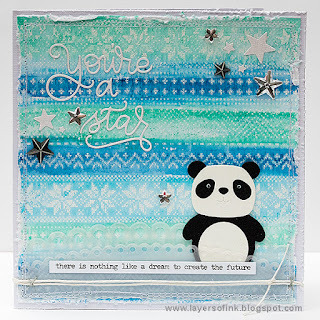 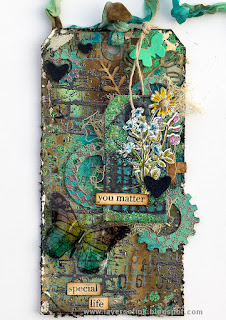 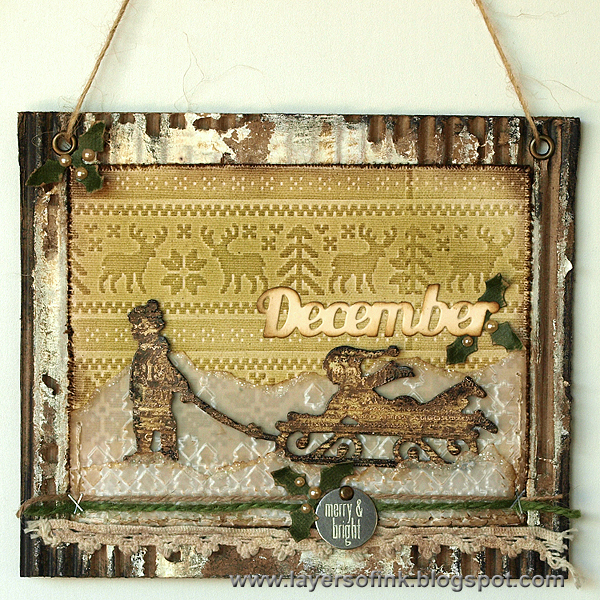 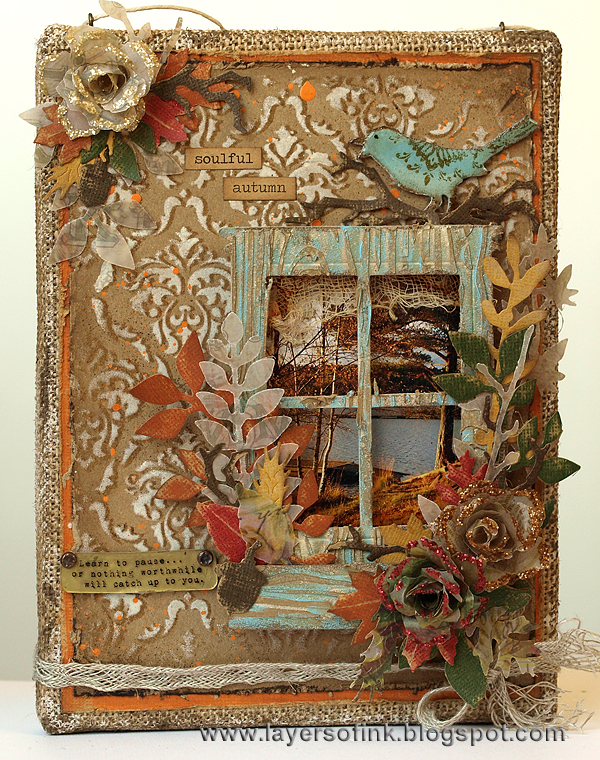 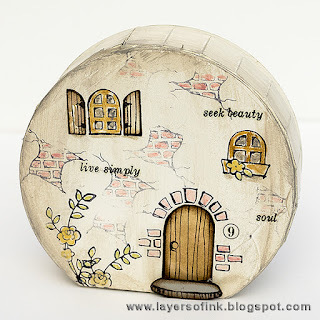 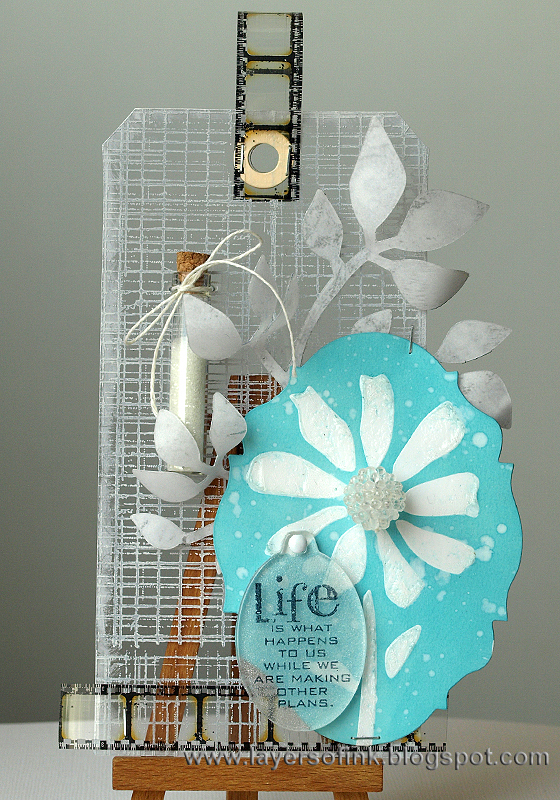 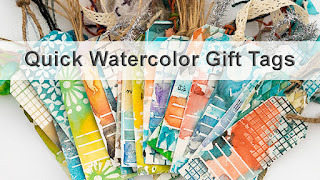 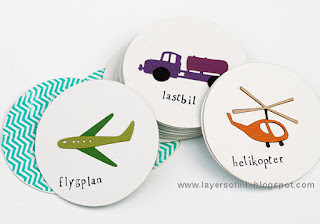 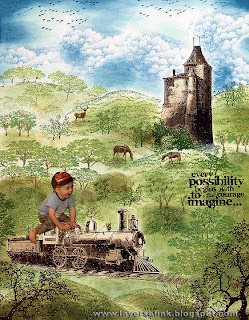 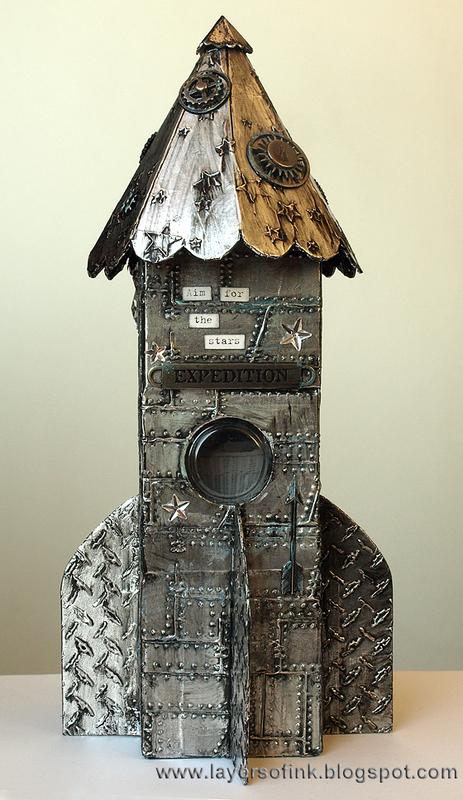 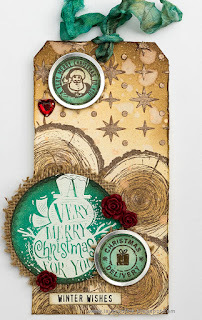 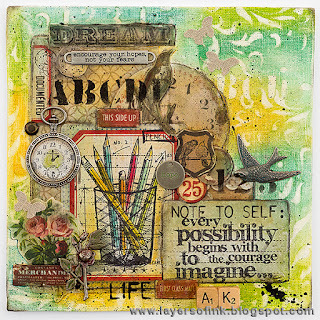 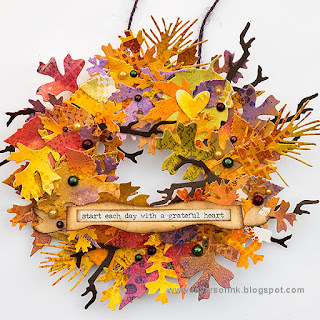 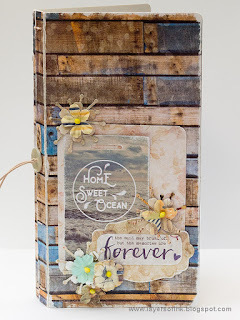 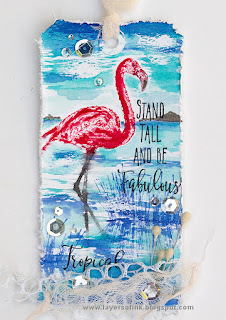 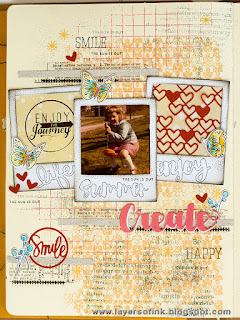 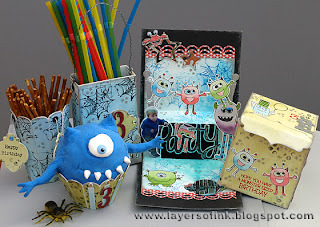 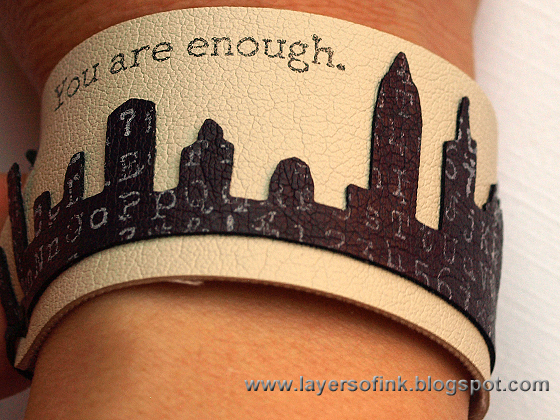 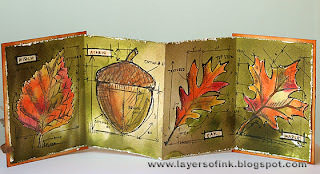 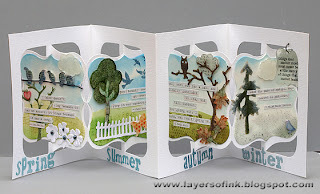 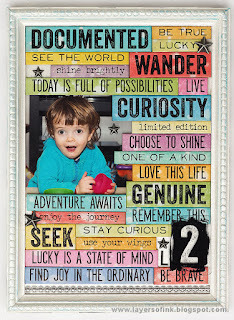 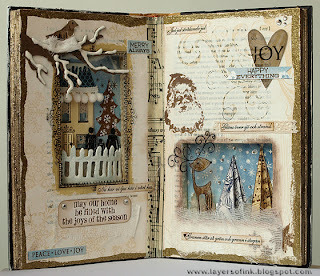 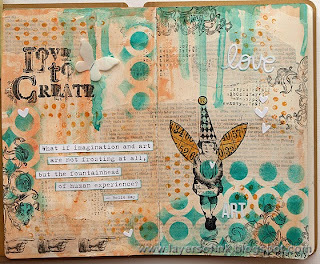 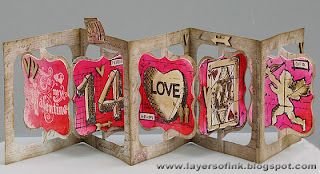 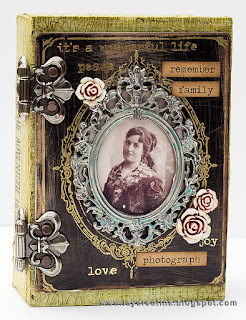 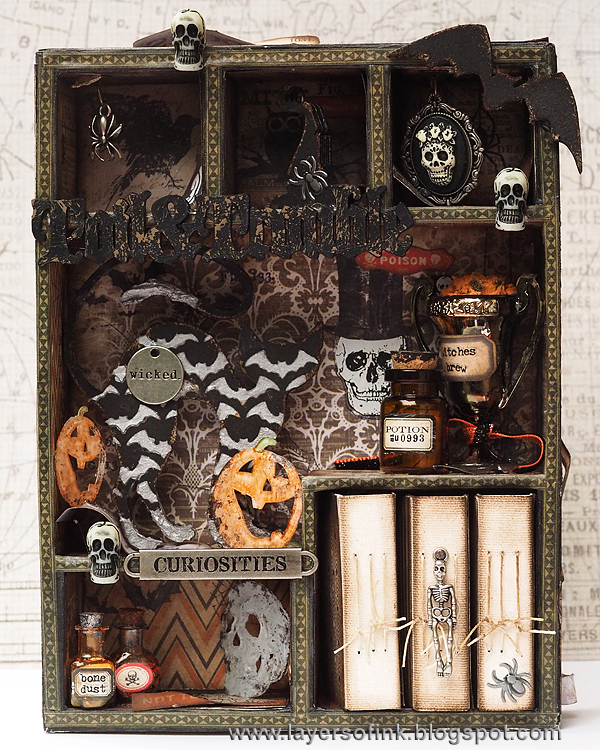 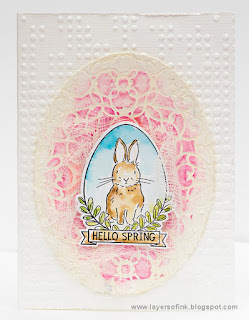 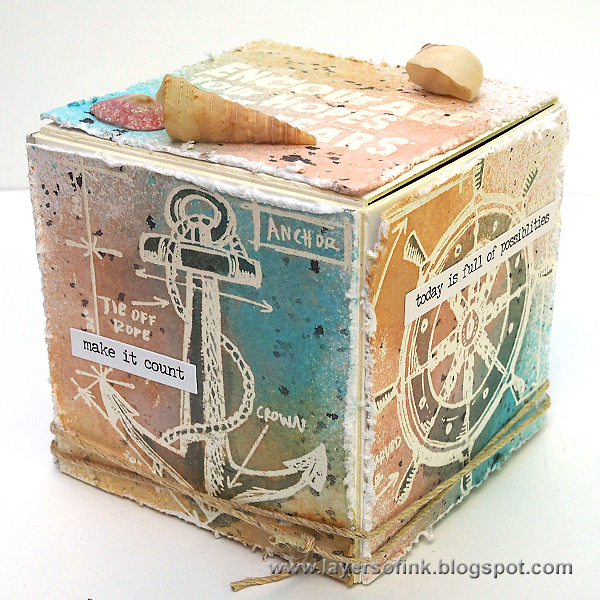 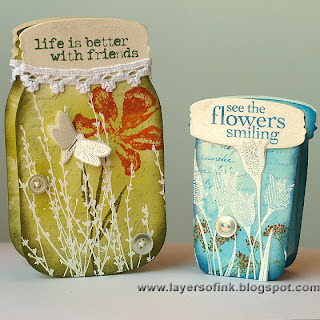 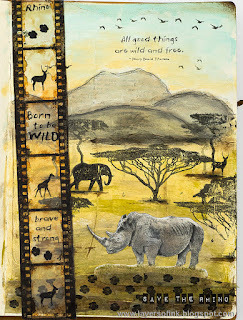 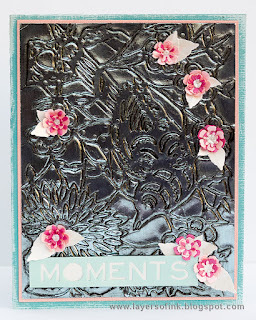 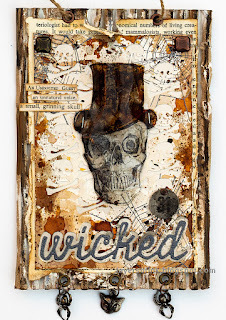 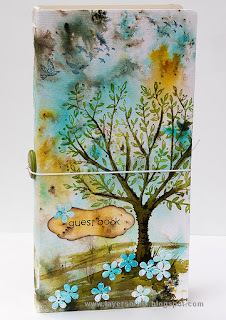 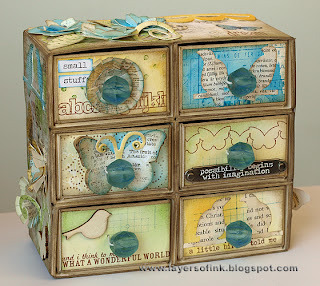 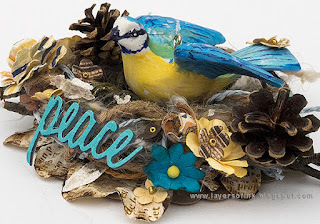 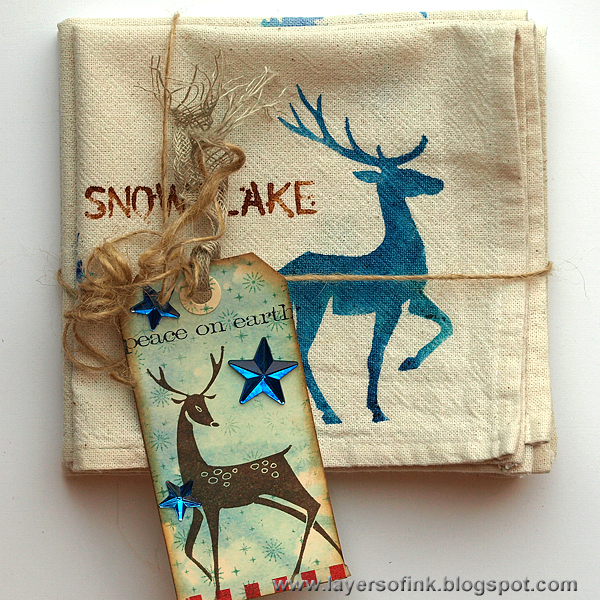 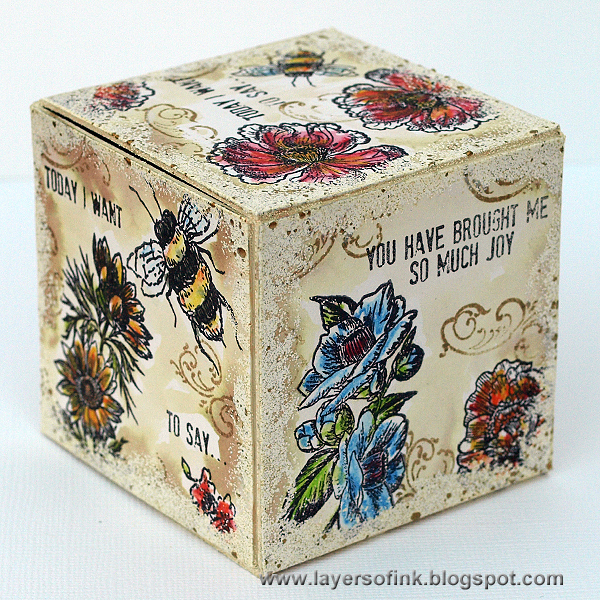 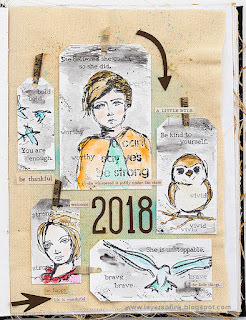 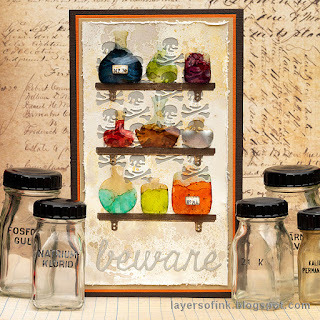 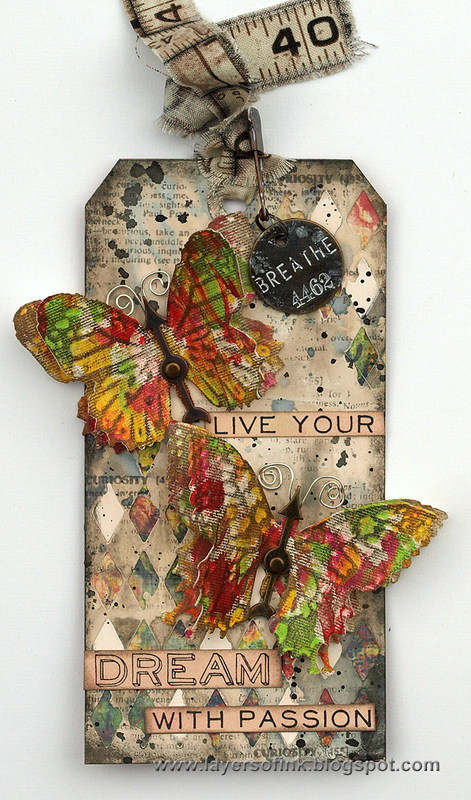 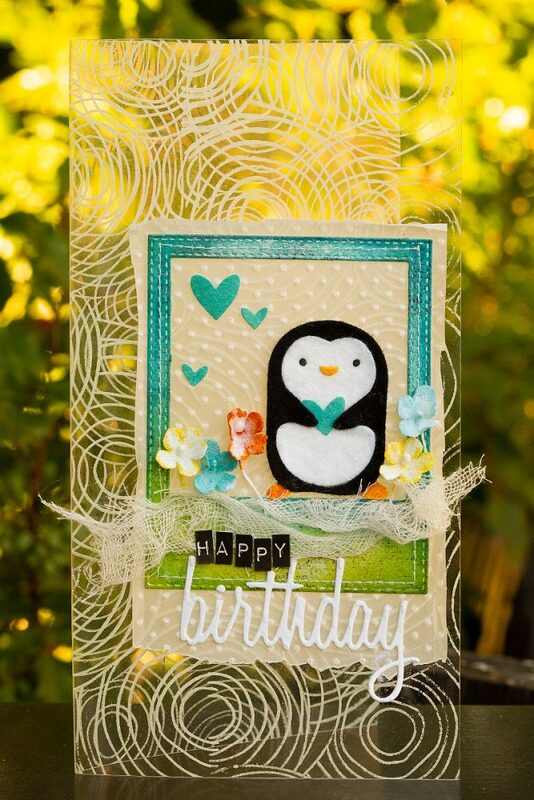 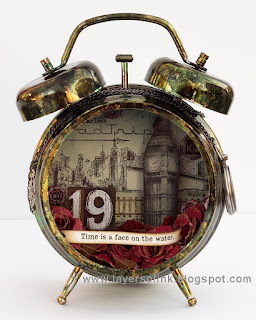 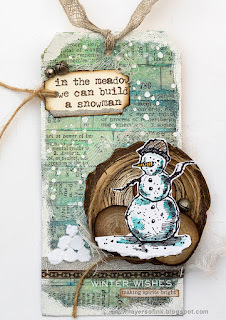 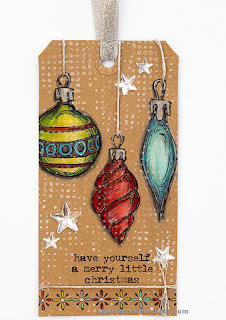 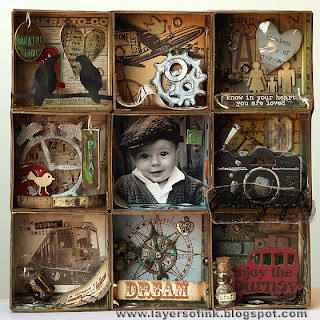 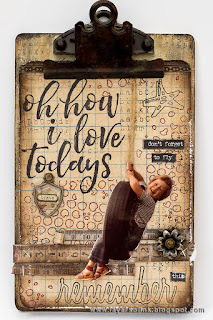 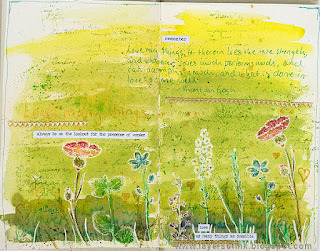 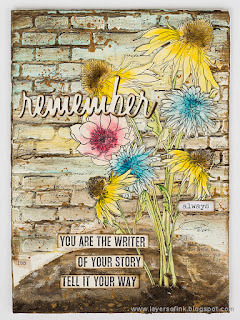 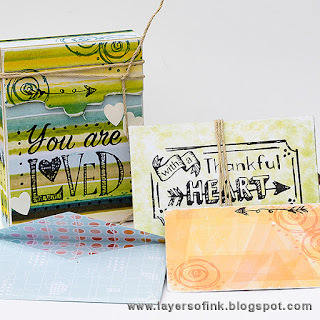 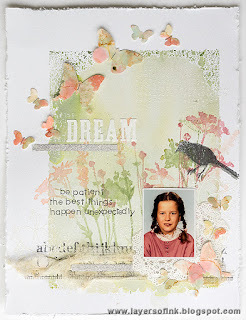 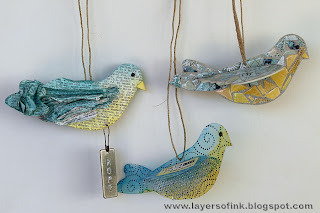 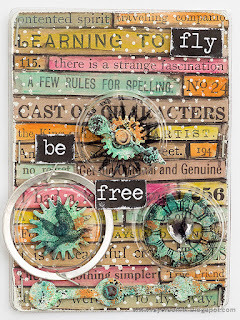 On this page you can find links to the step-by-step tutorials I have posted so far on the blog, or a link to those I have posted on the Tim Holtz blog, Sizzix blog, Ranger Ink or the Simon Says Stamp Monday Challenge Blog. 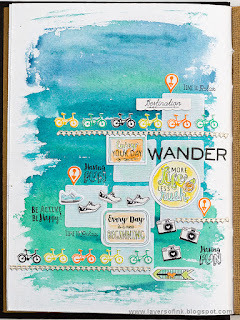 I thought this would make it easy to find the tutorials. 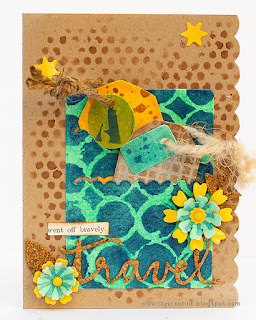 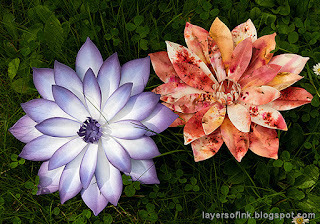 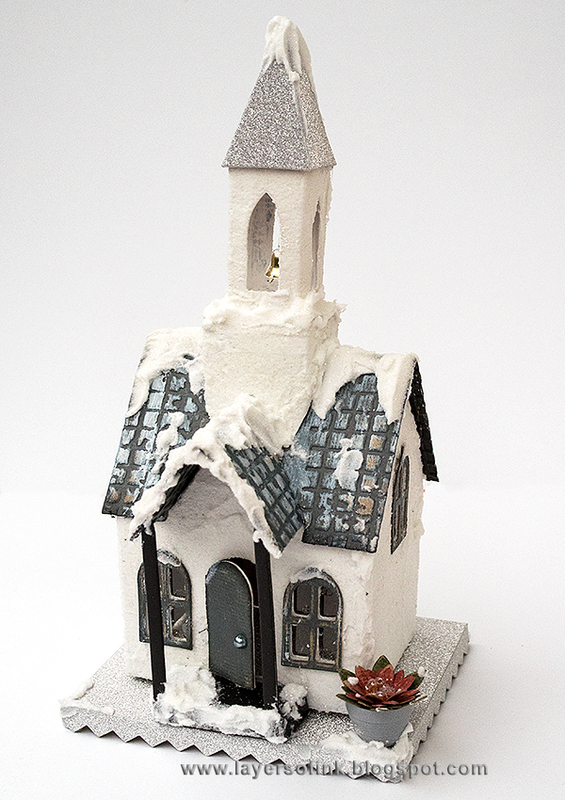 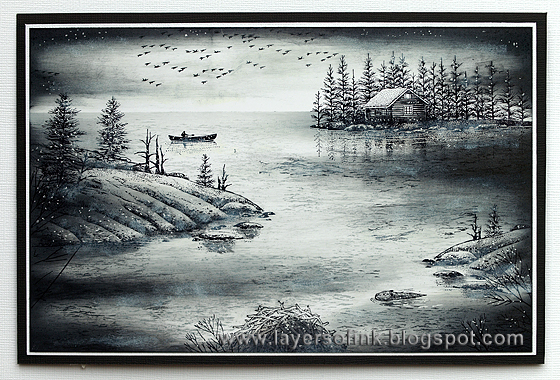 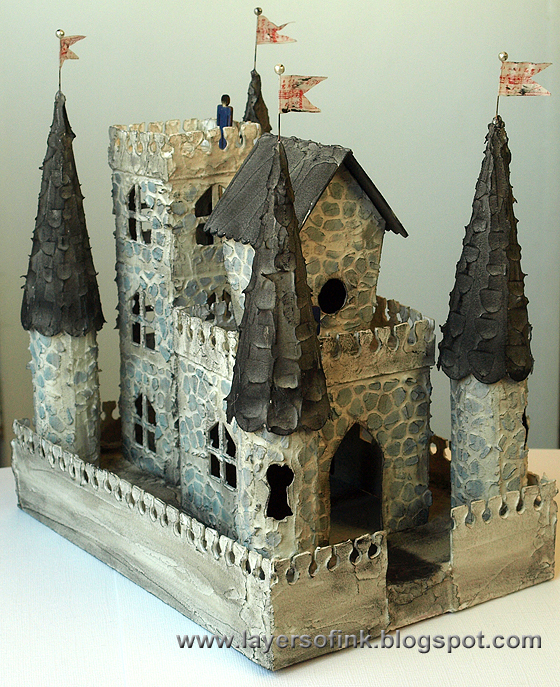 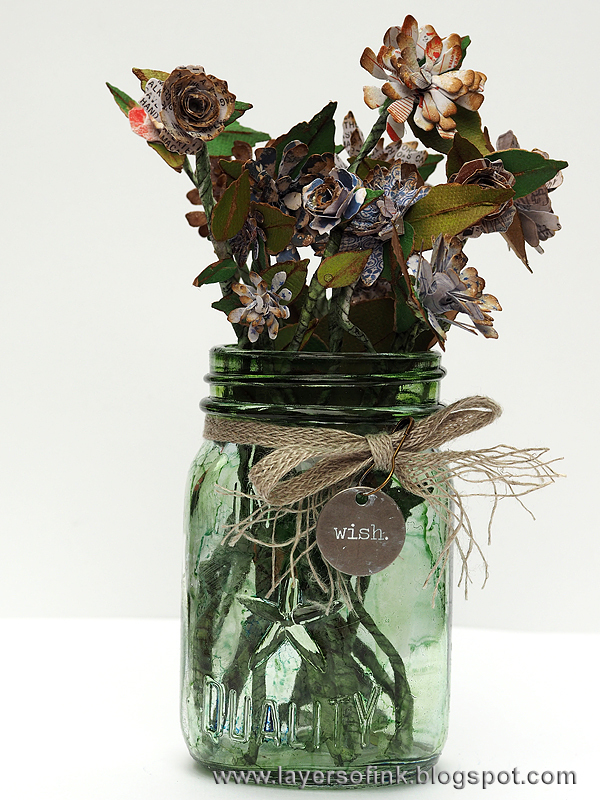 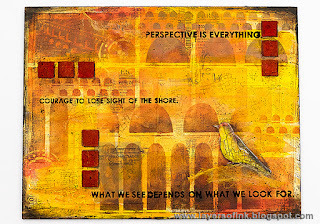 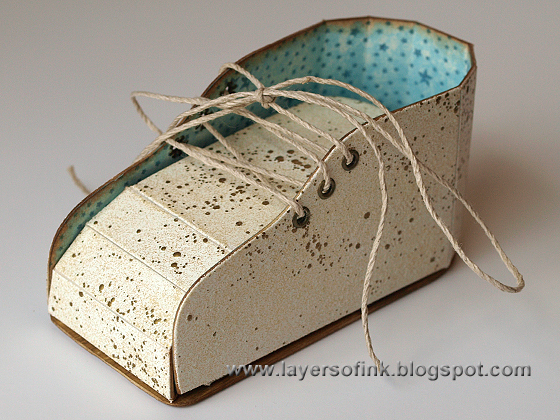 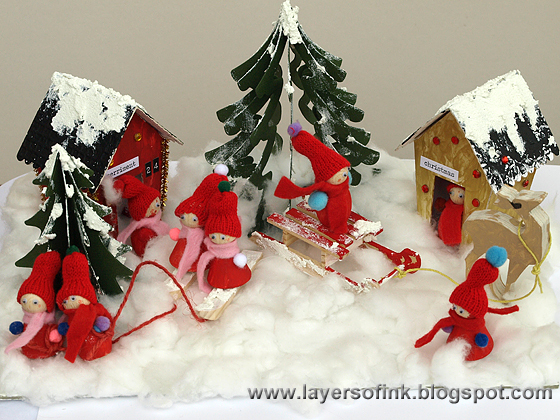 Click on the photo or title to see the tutorial. 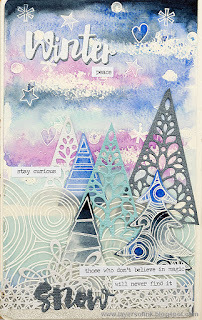 Note: I am busy rearranging the order of the tutorials, so that you will find the newest on top. 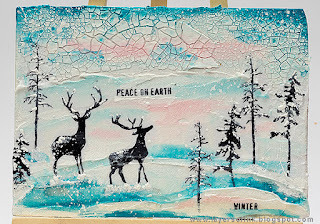 It will take a little while. 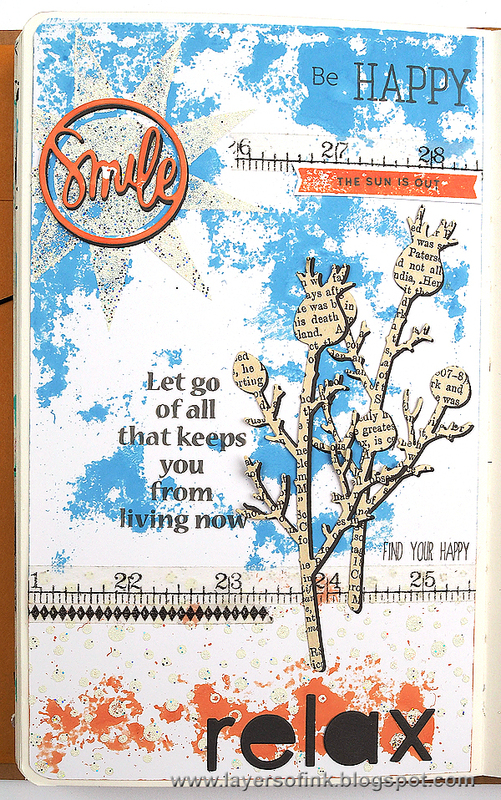 In the first section, the newest tutorials are on top, but I haven't moved all of them in the right order yet. 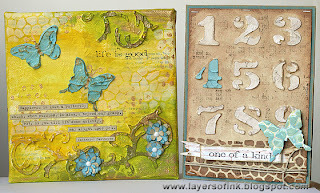 Below, the oldest tutorial is at the top, and the newer at the bottom.